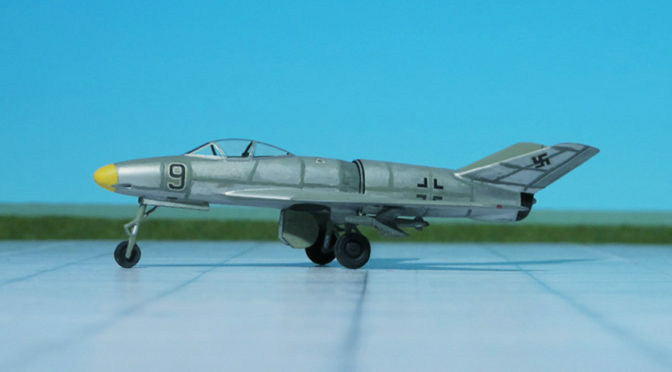 COMMENT: The Dornier Do 335 “Pfeil” (“Arrow”) was a WW II heavy fighter built by the Dornier Company. 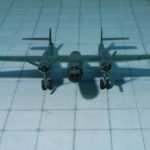 It’s performance was much better than any other twin-engine designs due to its unique push-pull configuration and the lower aerodynamic drag of the in-line alignment of the two engines. 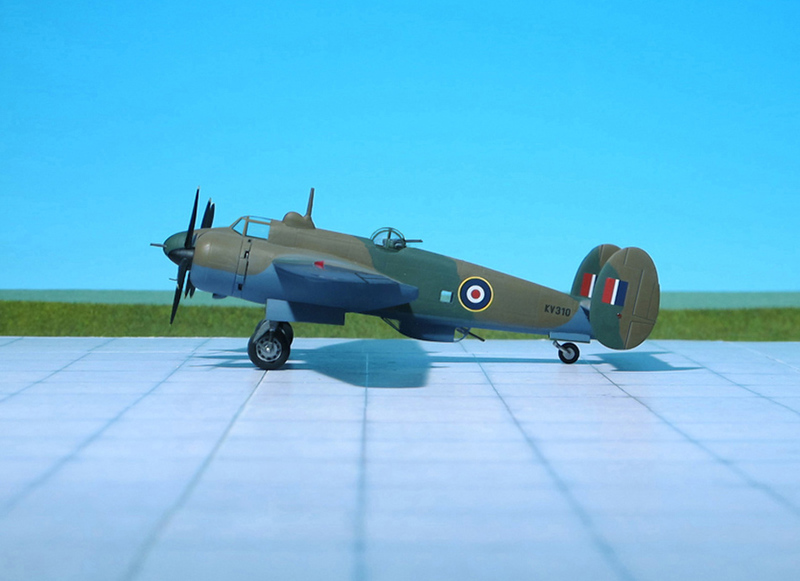 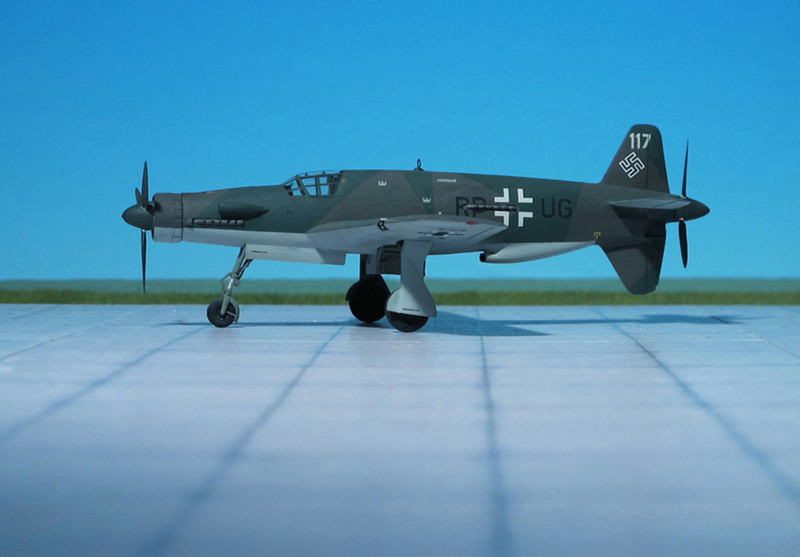 It was Luftwaffe’s fastest piston-engine aircraft of World War II. 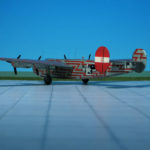 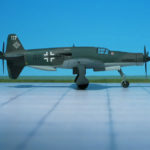 The Luftwaffe was desperate to get the design into operational use, but delays in engine deliveries meant that only a handful were delivered before the war ended. 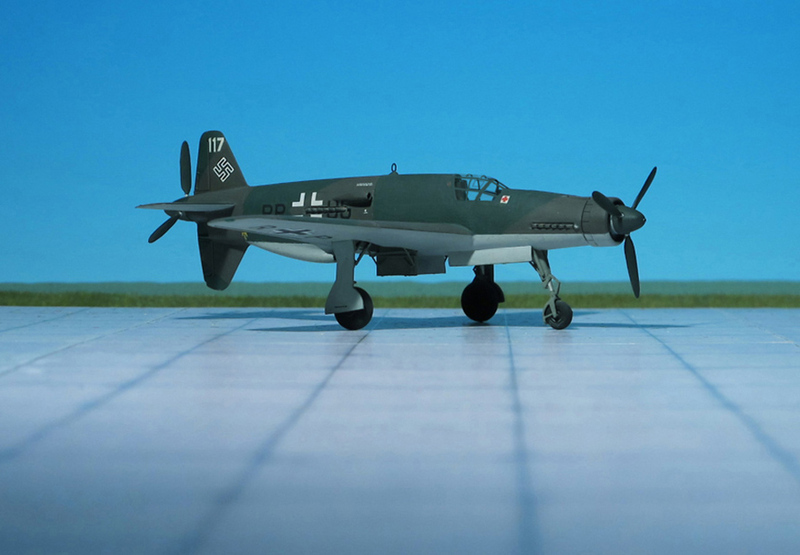 The origins of the Dornier Do 335 trace back to WW I when Claude Dornier designed a number of flying boats featuring remotely driven propellers and later, due to problems with the drive shafts, tandem engines. 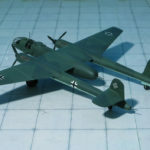 Tandem engines were used on most of the multi-engine Dornier flying boats that followed, including the highly successful Dornier Do J “Wal” (“Whale”) and the gigantic Donier Do X. 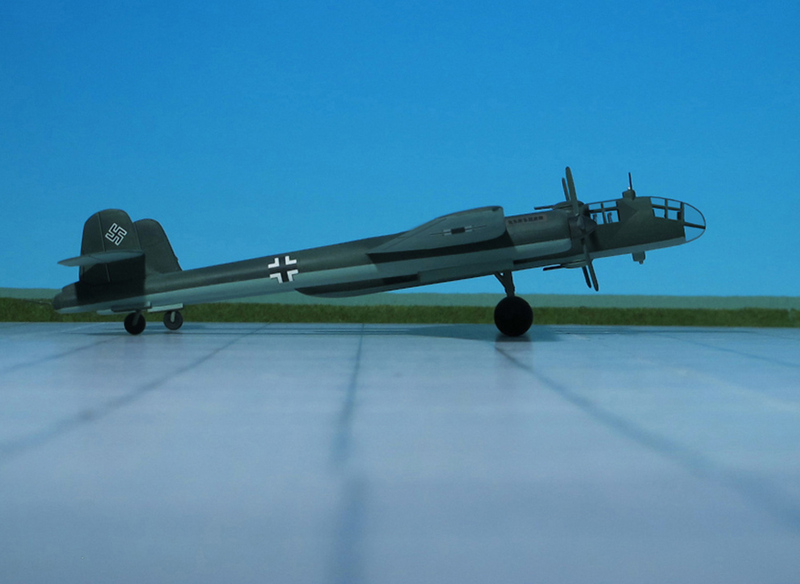 The remote propeller drive, intended to eliminate parasitic drag from the engine entirely, was tried in the innovative but unsuccessful Dornier Do 14, and elongated, tubular drive shafts as later used in the Do 335 saw use in the rear engines of the four-engine, twinned tandem-layout Dornier Do 26 flying boat. 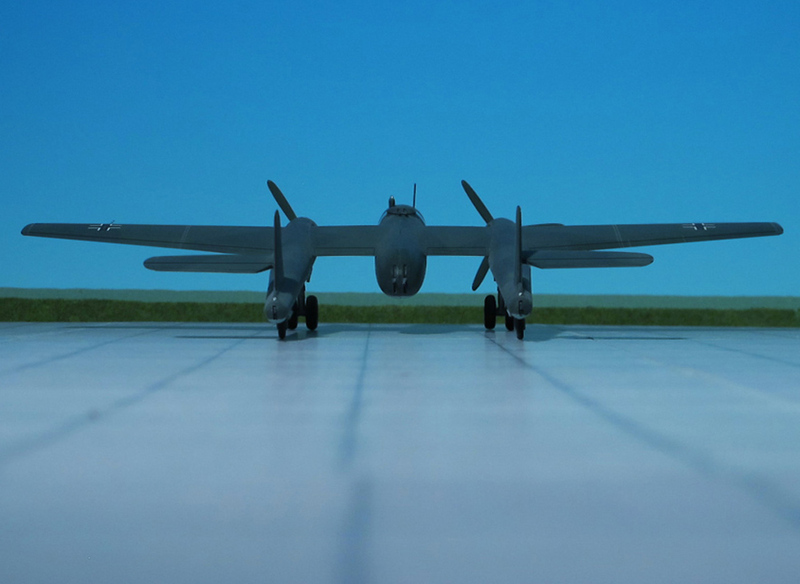 There are many advantages to this design over the more traditional system of placing one engine on each wing, the most important being power from two engines with the frontal area (and thus drag) of a single-engine design, allowing for higher performance. 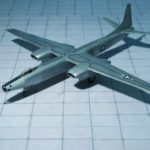 It also keeps the weight of the twin power plants near, or on, the aircraft centerline, increasing the roll rate compared to a traditional twin. 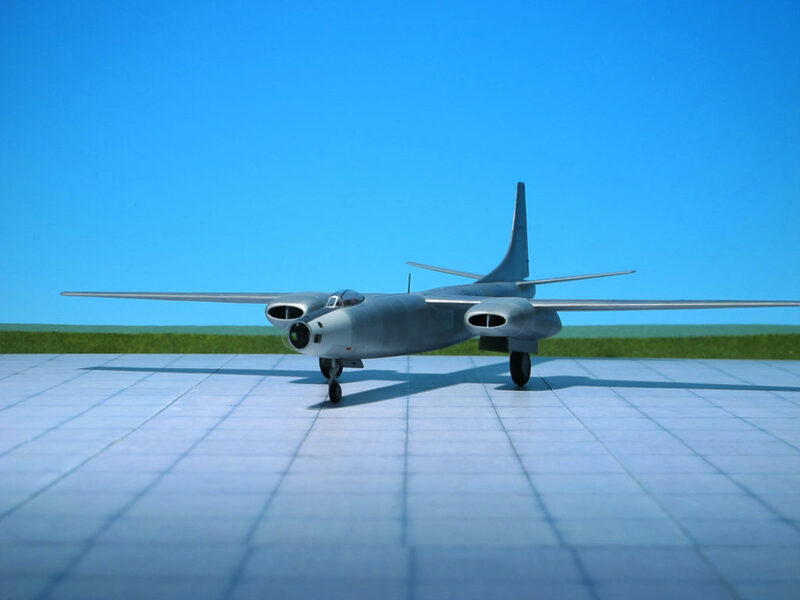 In addition, a single engine failure does not lead to asymmetric thrust, and in normal flight there is no net torque, so the plane is easy to handle. 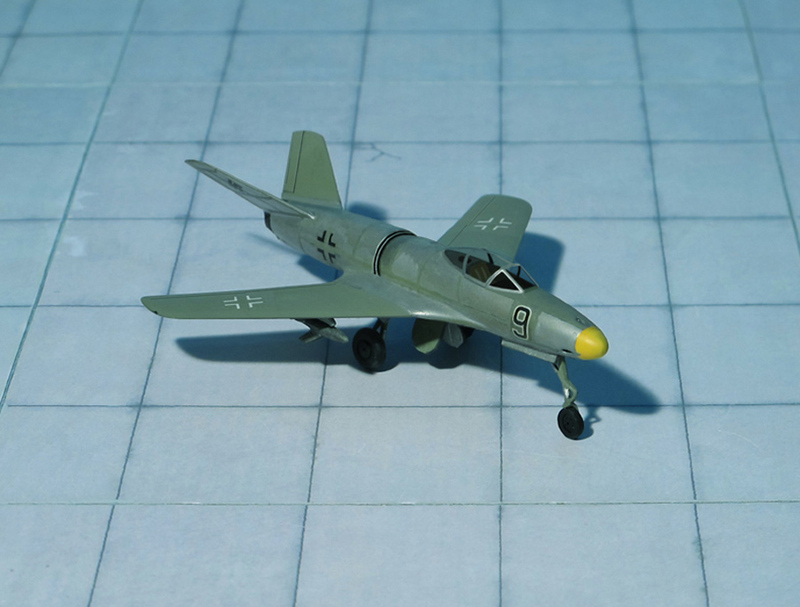 The choice of a full “four-surface” set of cruciformly tail surfaces in the Do 335’s rear fuselage design, included a ventral vertical fin-rudder assembly to project downwards from the extreme rear of the fuselage, in order to protect the rear propeller from an accidental ground strike on takeoff. 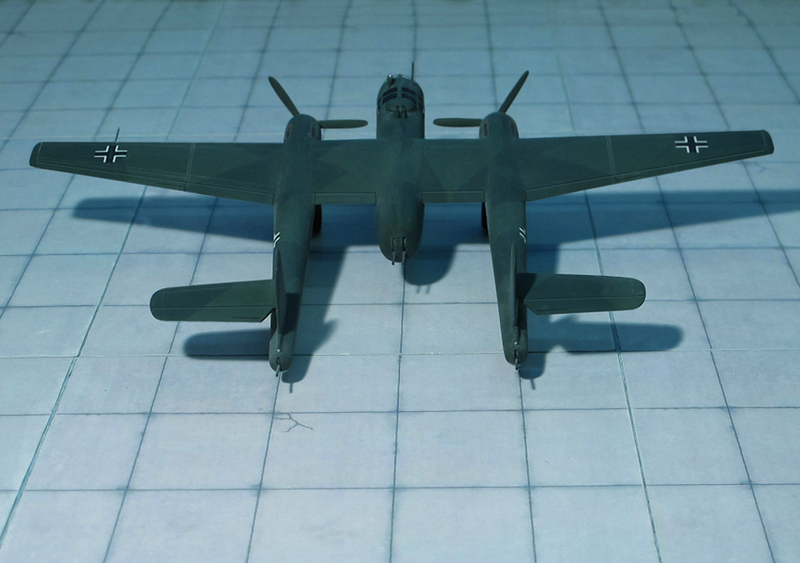 The presence of the rear pusher propeller also mandated the provision for an ejection seat for safe escape from a damaged aircraft, and designing the rear propeller and dorsal fin mounts to use explosive bolts to jettison them before an ejection was attempted — as well as twin canopy jettison levers, one per side located to either side of the forward cockpit interior just below the sills of the five-panel windscreen’s sides, to jettison the canopy from atop the cockpit before ejection. 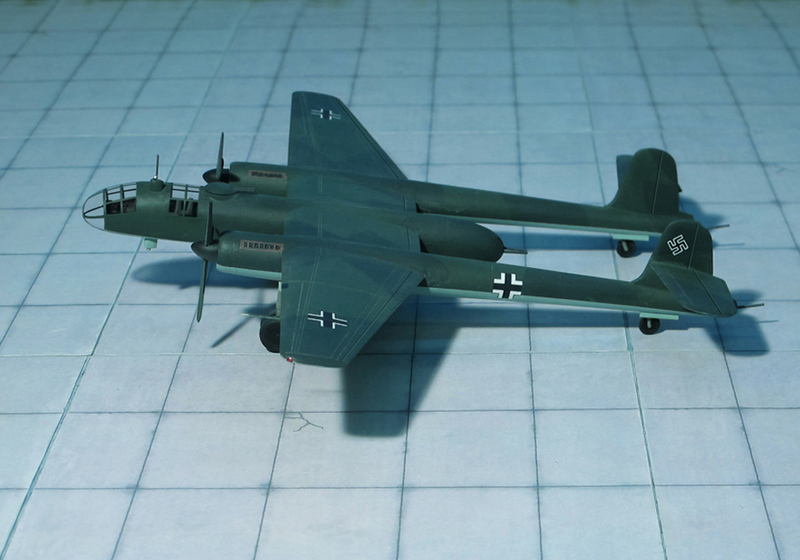 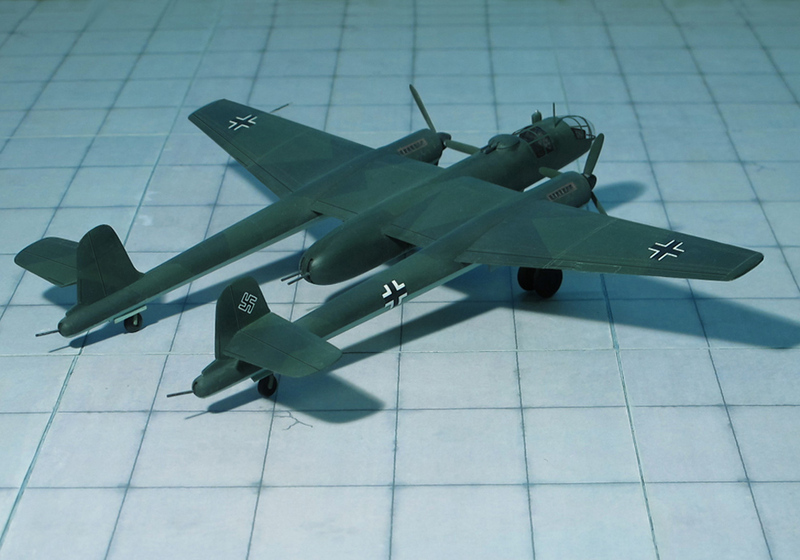 In 1939, Dornier was busy working on the P.59 high-speed bomber project, which featured the tandem engine layout. 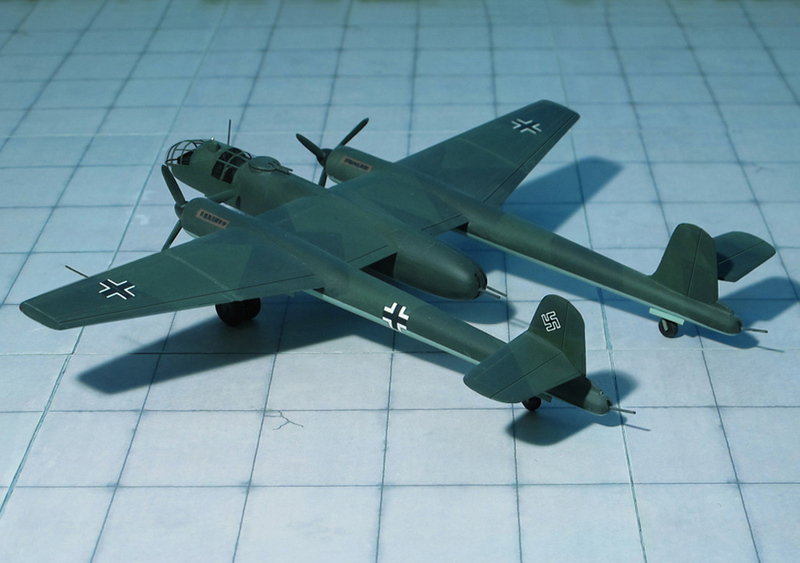 In 1940, he commissioned a flying test bed, closely modeled on the airframe of the early versions of the twin engine Dornier Do 17 bomber but only 40% of the size of the larger bomber, with no aerodynamic bodies of any sort on the wing panels and fitted with a retractable tricycle landing gear to validate his concept for turning the rear pusher propeller with an engine located far away from it and using a long tubular driveshaft. 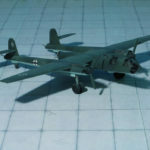 This aircraft, the Göppingen Gö 9, built by , Schrempp-Hirth, a small sailplane company, showed no unforeseen difficulties with this arrangement, but work on the Dornier P.59 was stopped in early 1940 when the RLM ordered the cancellation of all projects that would not be completed within a year or so. 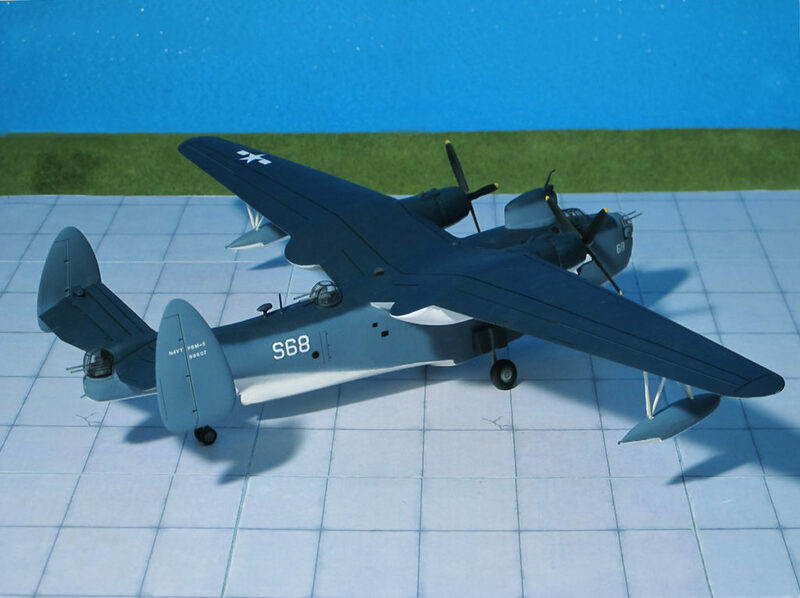 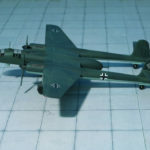 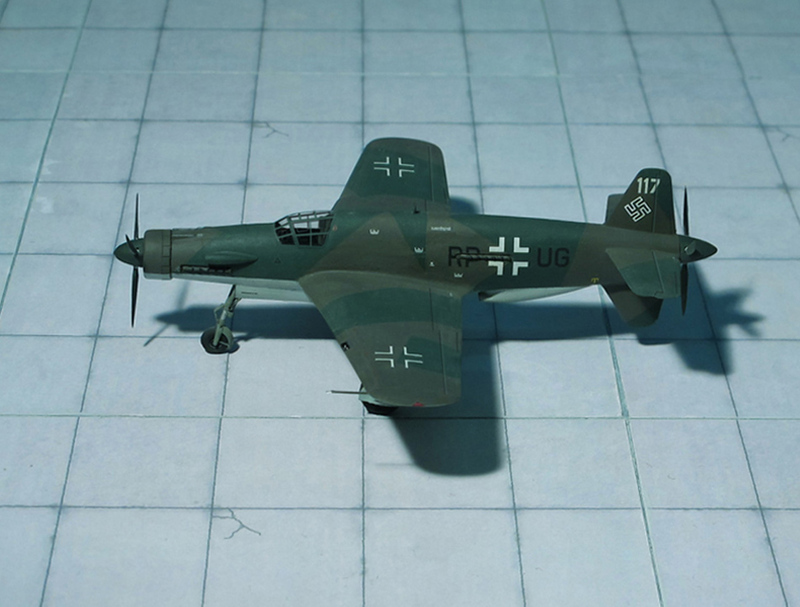 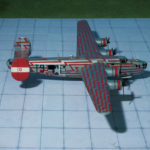 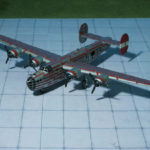 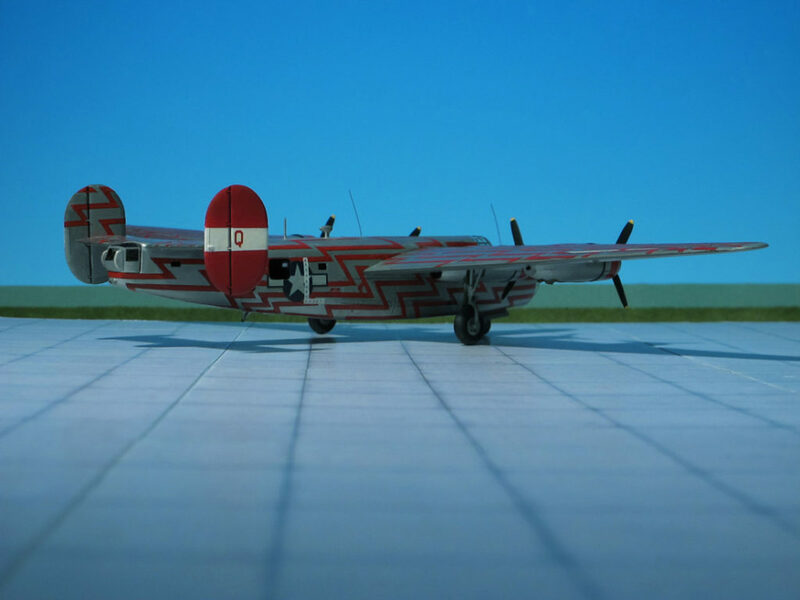 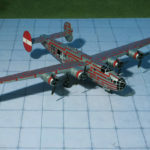 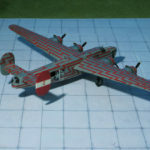 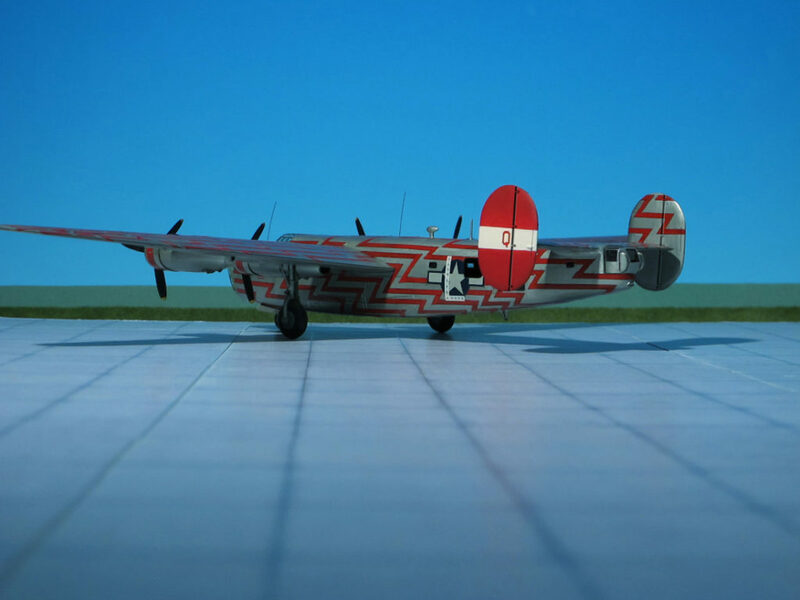 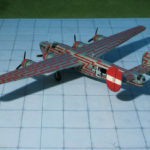 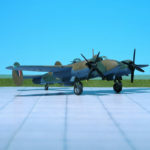 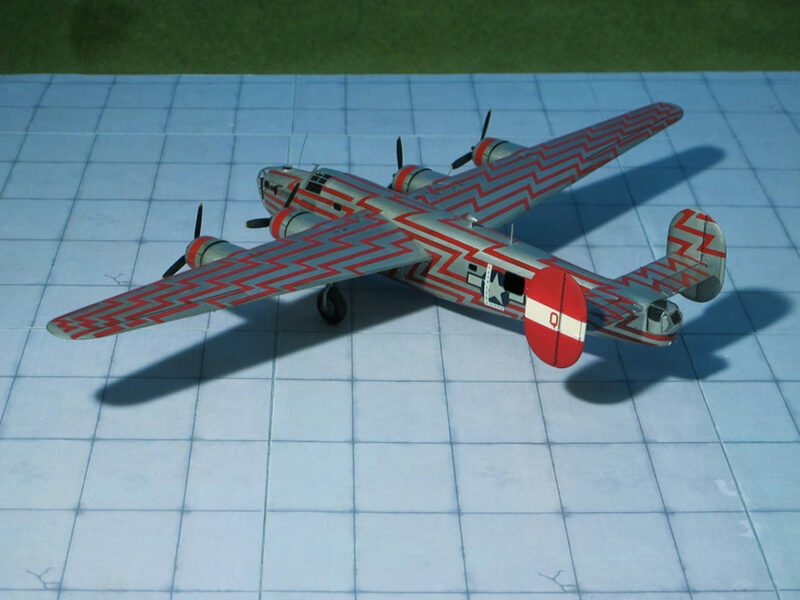 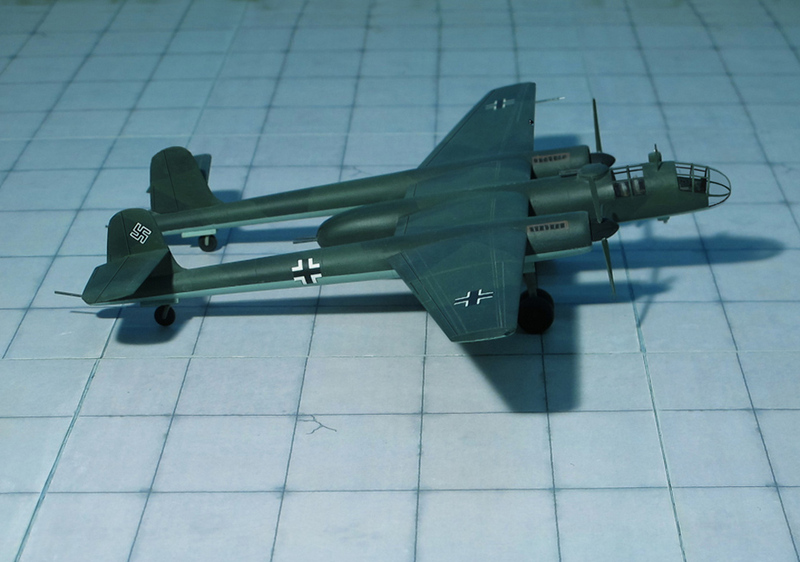 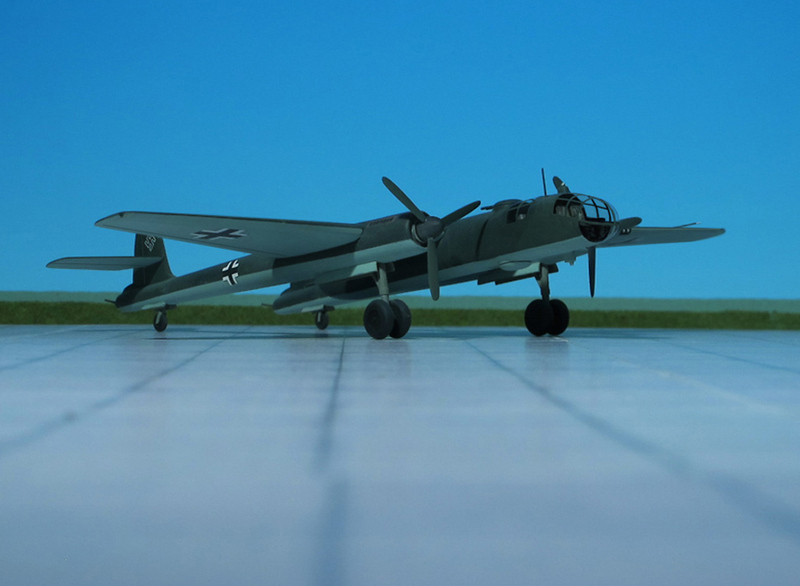 In May 1942, Dornier submitted an updated version his design as the Dornier P.231, in response to a requirement for a single seat, “Schnellbomber” -like high-speed bomber/intruder. 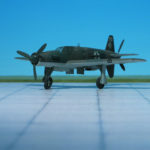 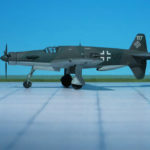 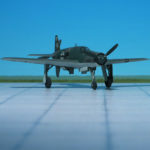 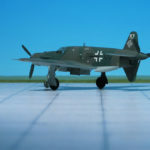 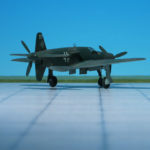 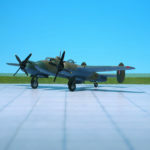 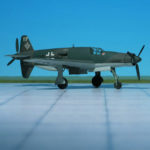 P.231 was selected as the winner after beating rival designs from Arado, Blohm & Voss and Junkers, development contract was awarded as the Dornier Do 335. 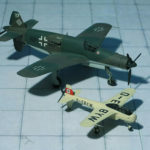 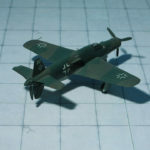 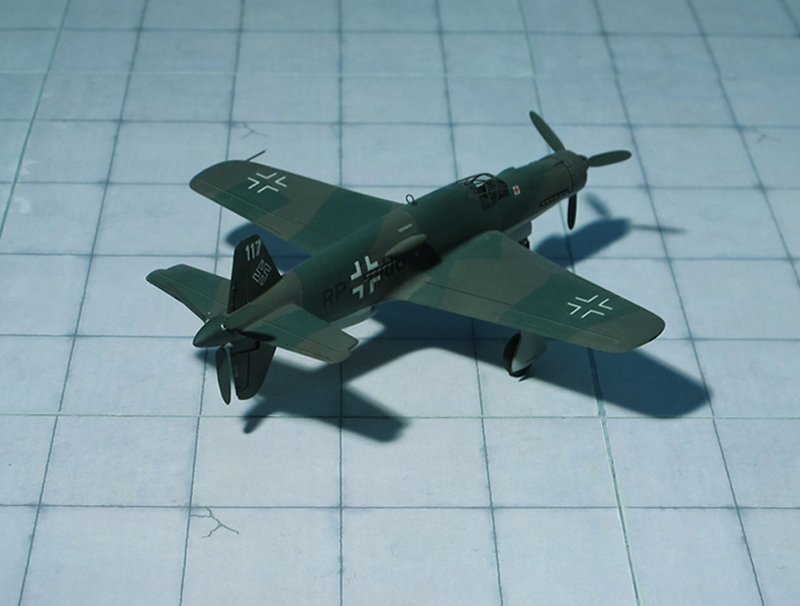 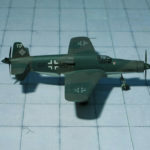 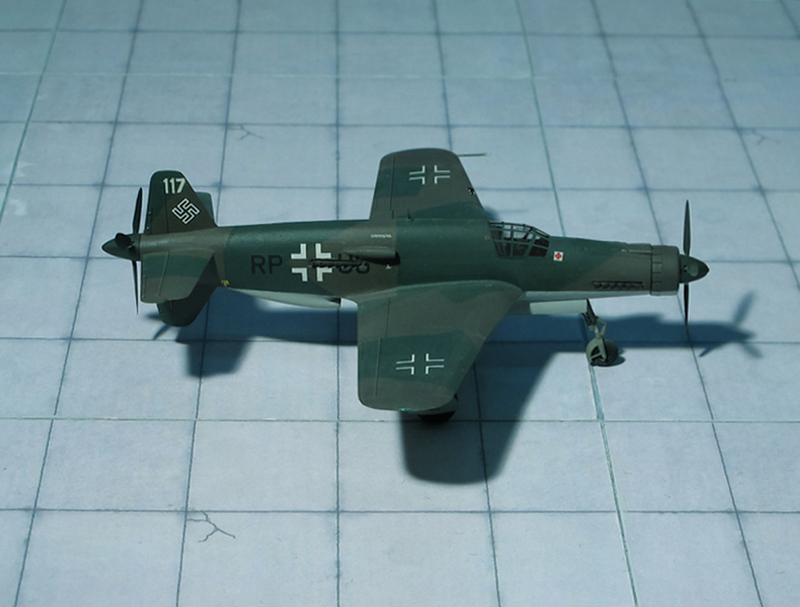 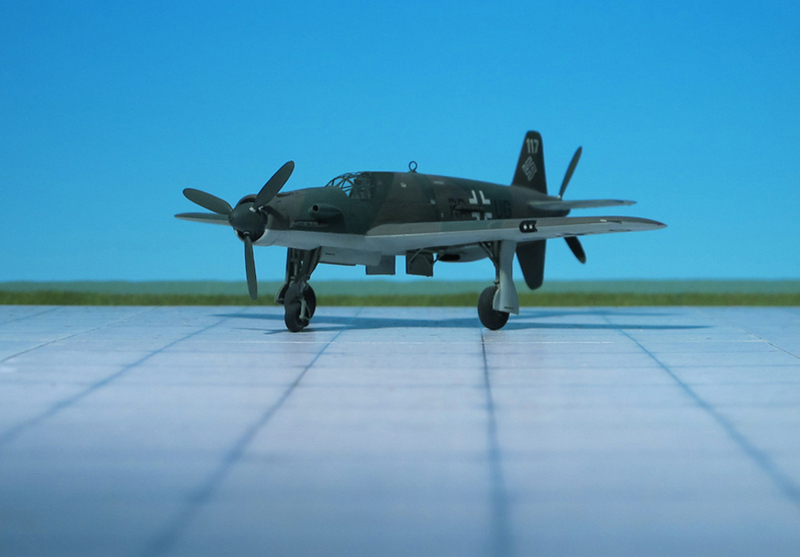 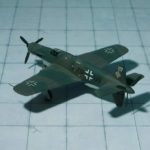 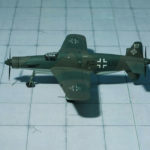 In autumn 1942, Dornier was told that the Do 335 was no longer required as a “Schnellbomber”, and instead a multi-role fighter based on the same general layout would be accepted. 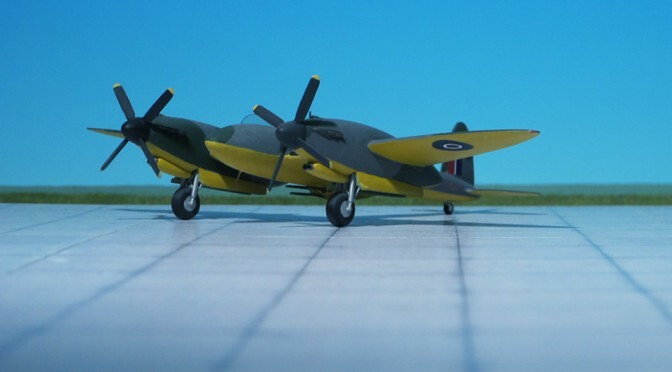 This delayed the prototype delivery as it was modified for the new role. 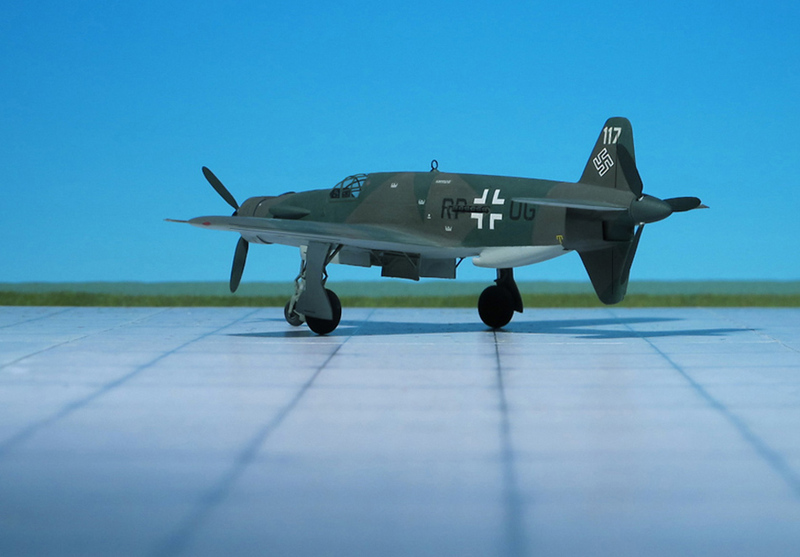 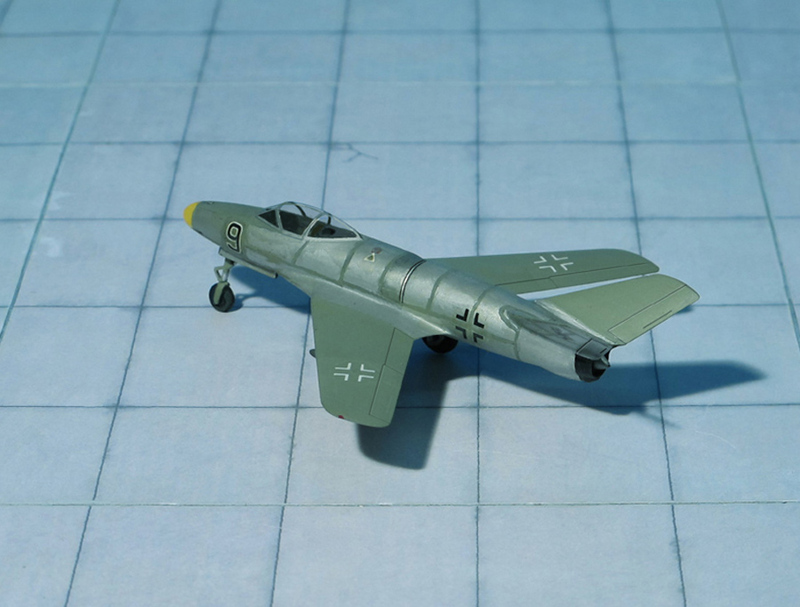 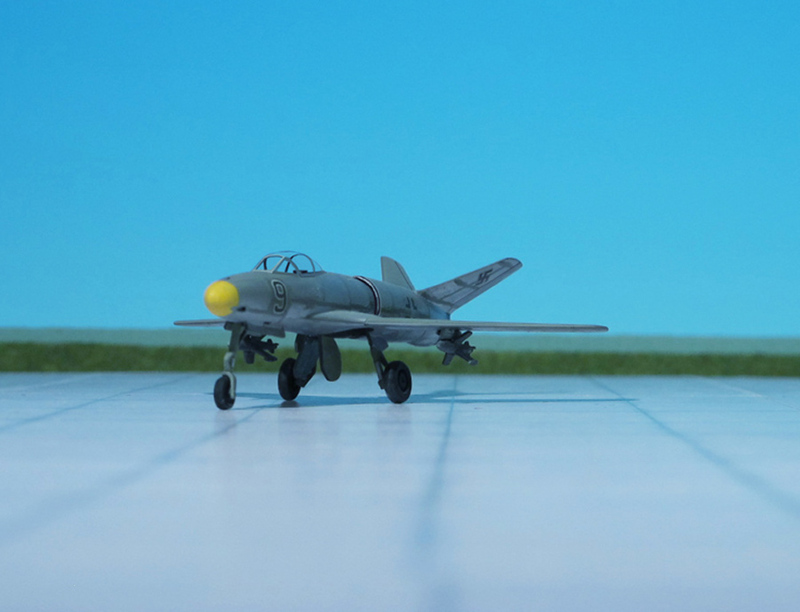 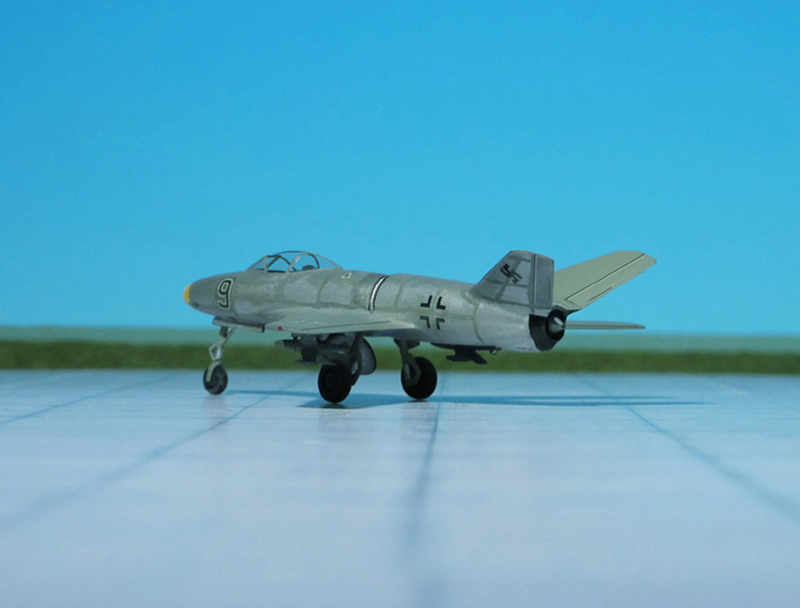 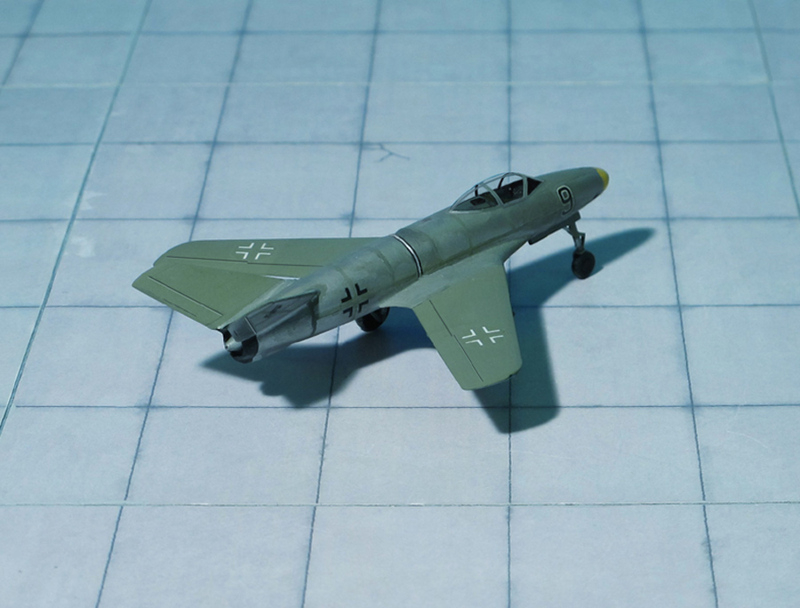 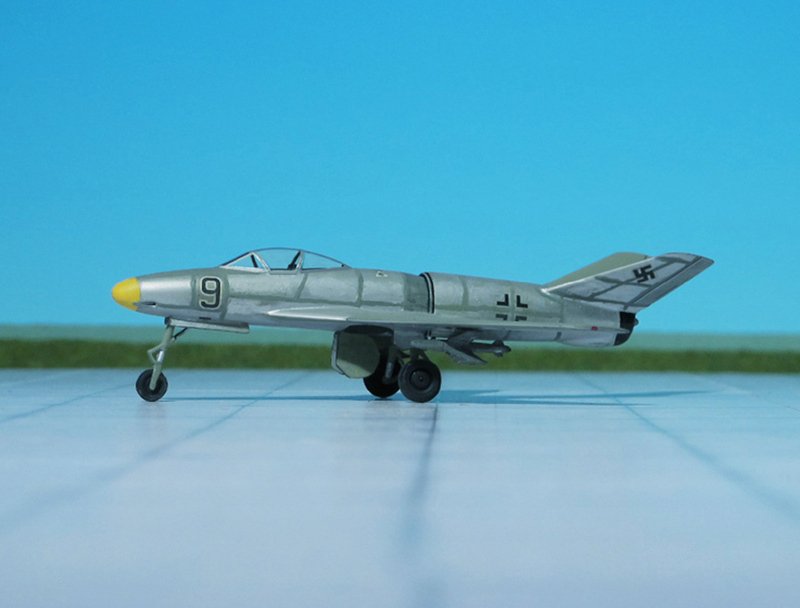 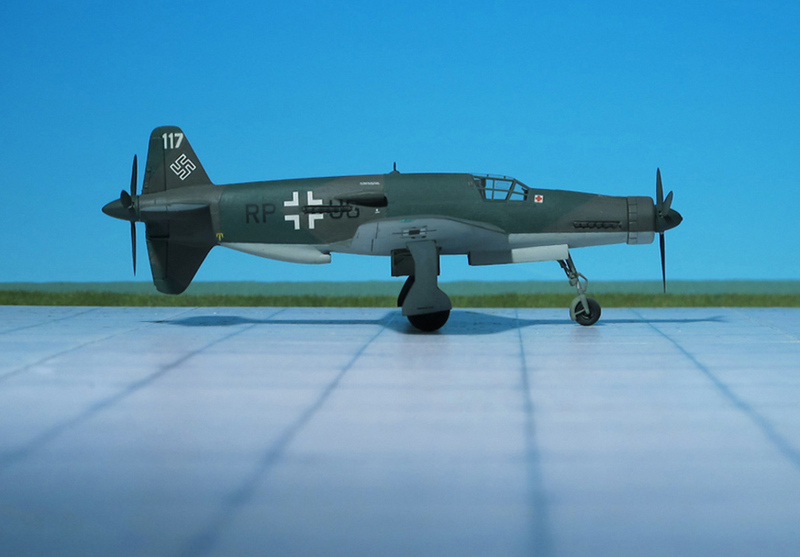 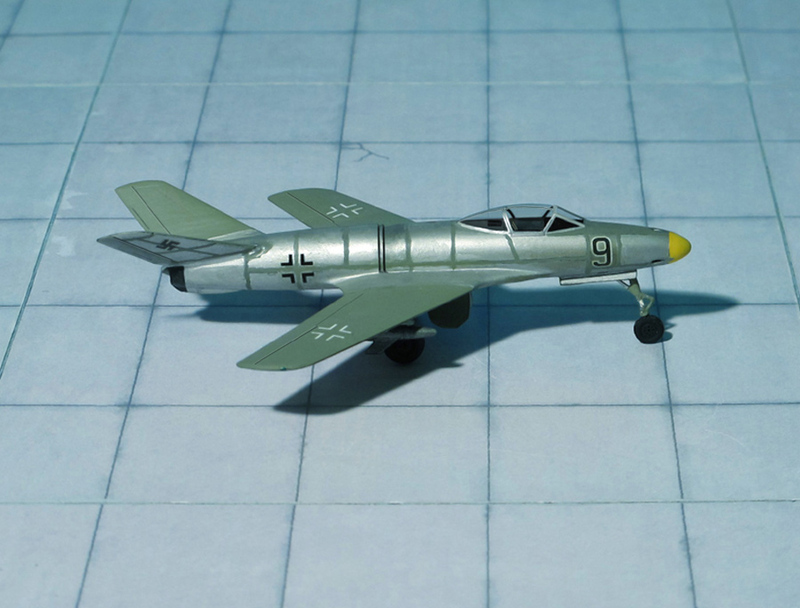 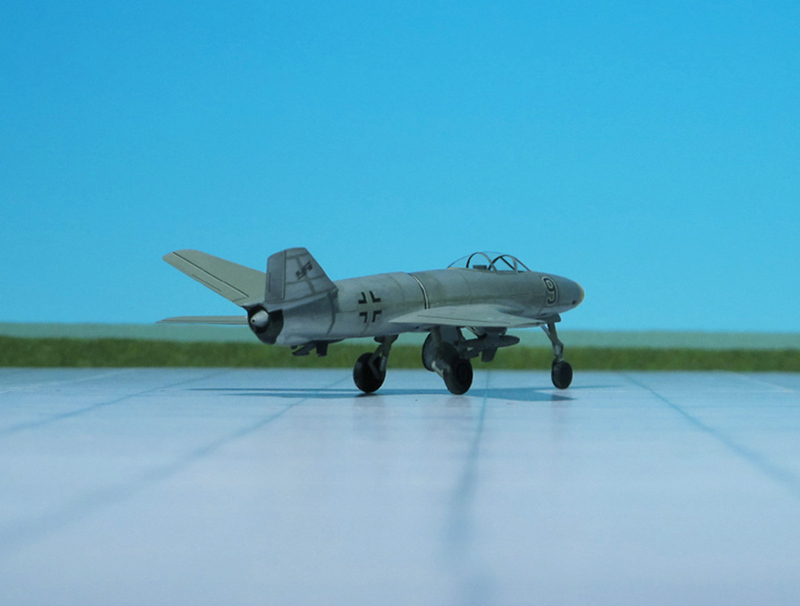 The Dornier Do 335 V1 first prototype flew in October 1943 and initial trials revealed essentially good handling characteristics. 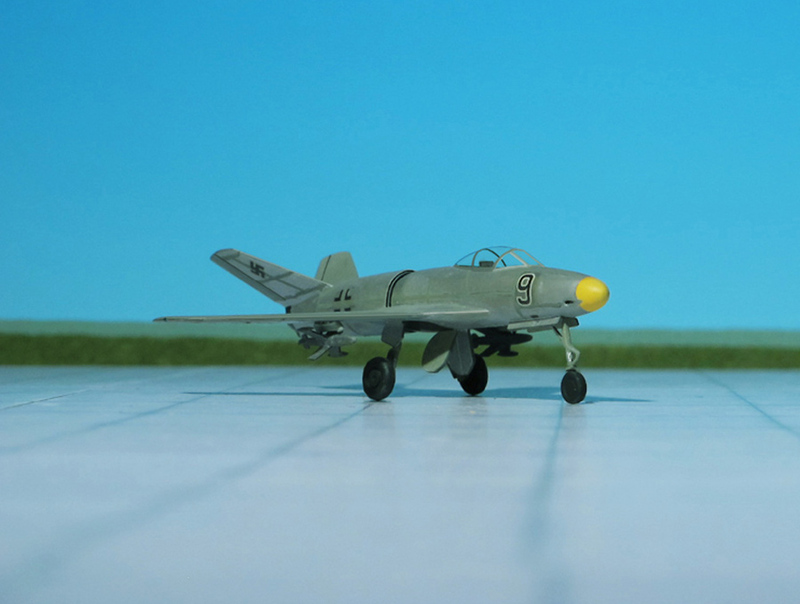 Acceleration was particularly favourable and the turning circle was rather better than had been anticipated. 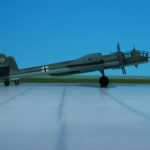 The use of a nose-mount annular radiator for the forward engine (much like a Junkers Jumo 211-powered Junkers Ju 88, or Jumo 213-powered Focke-Wulf Fw 190D-9) and a ventral-fuselage mount air-scooped radiator installation for cooling the rear engine (appearing like that on a North American P-51 “Mustang”) was distinctive. 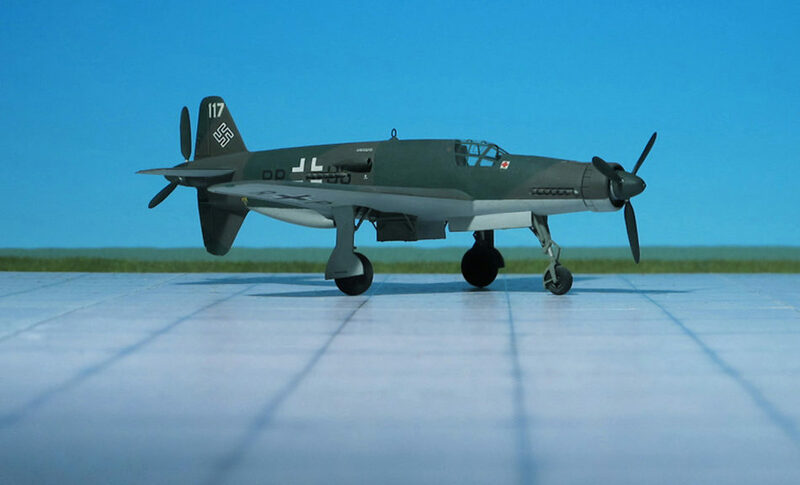 However, several problems during the initial flight of the Do 335 would continue to plague the aircraft through most of its short history. 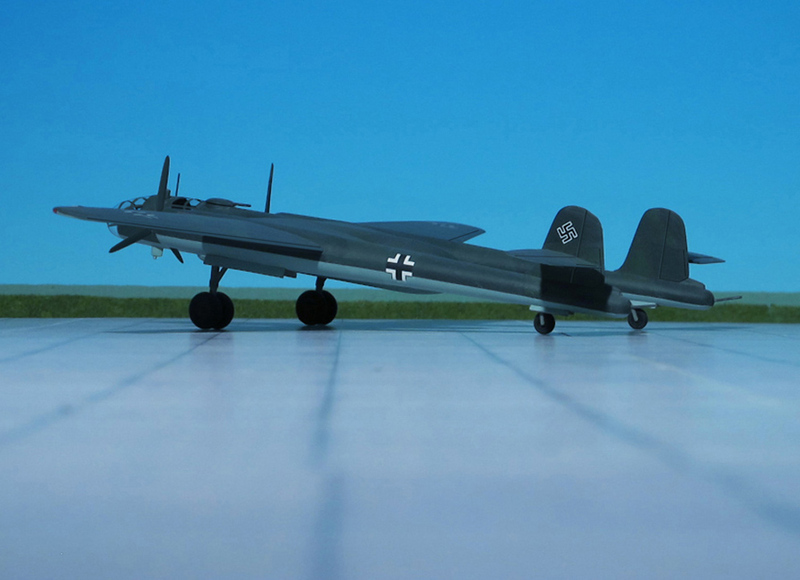 Issues were found with the weak landing gear and with the main gear’s wheel well doors, resulting in them being removed for the remainder of the V1’s test flights. 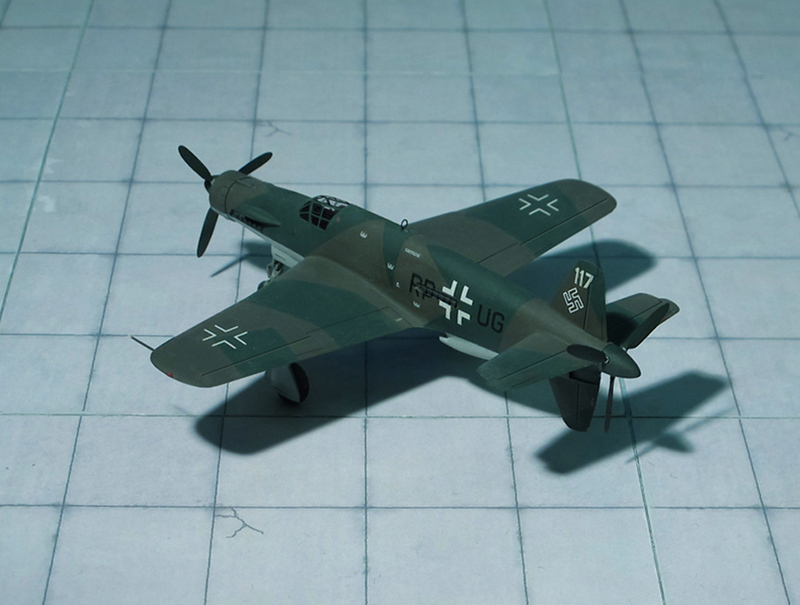 The Do 335 V1 made 27 flights, flown by three different pilots. 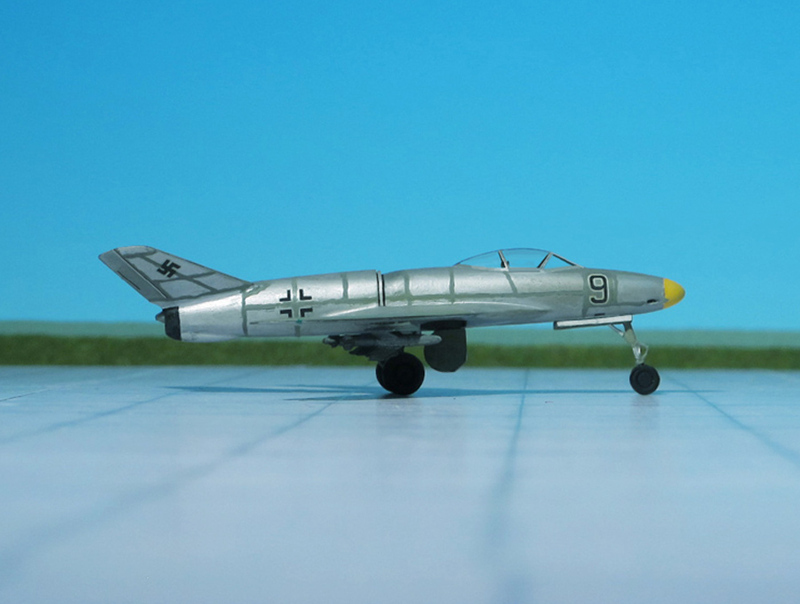 During these test flights the second Do 335 V2 was completed and made its first flight on December 1943, followed by the third Do 335 V3 on January 1944. 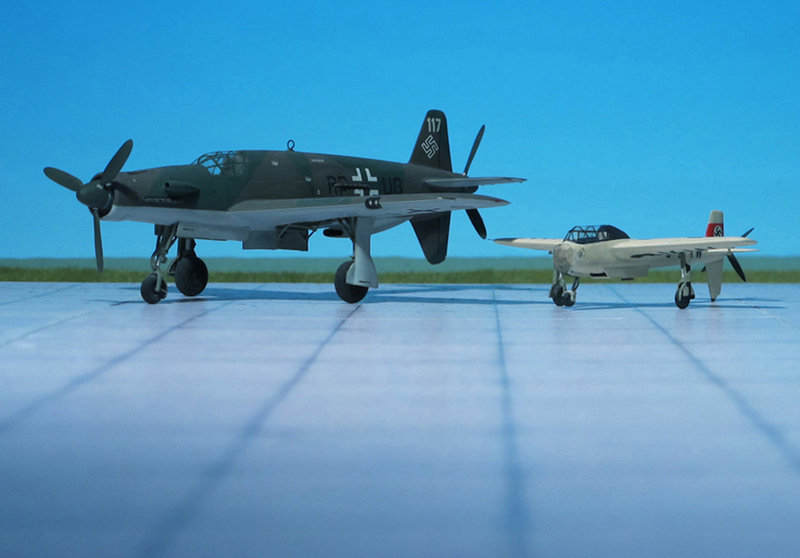 In mid January 1944, RLM ordered five more prototypes, one to be built as Do 335A-6 night fighter. 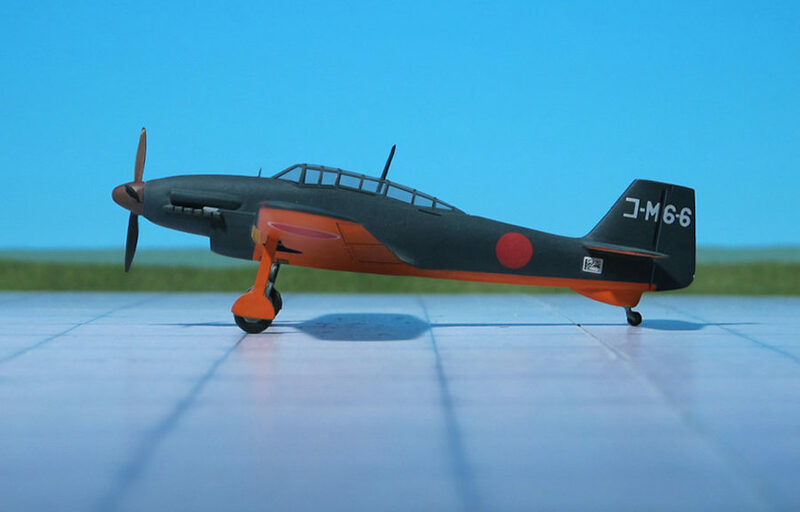 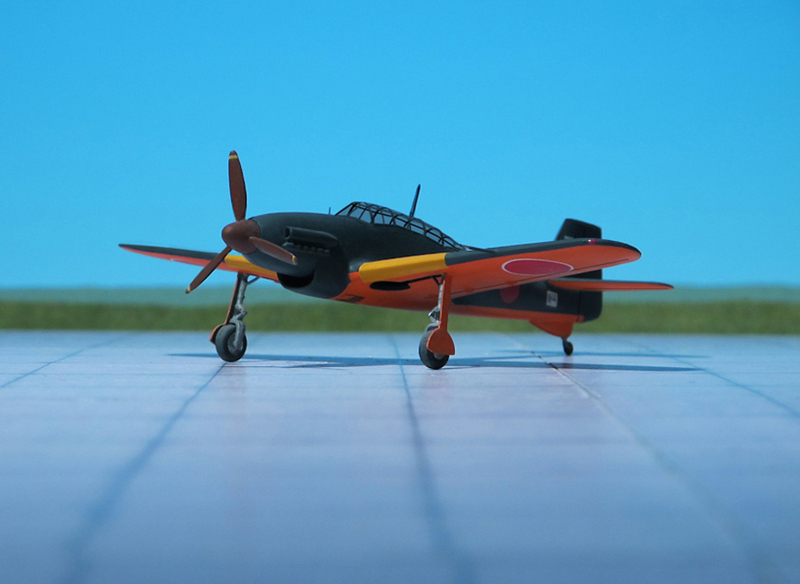 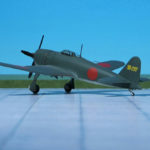 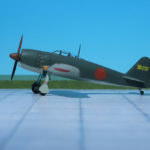 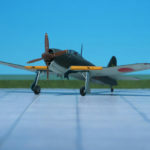 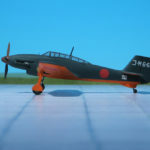 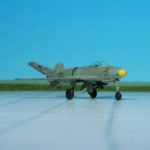 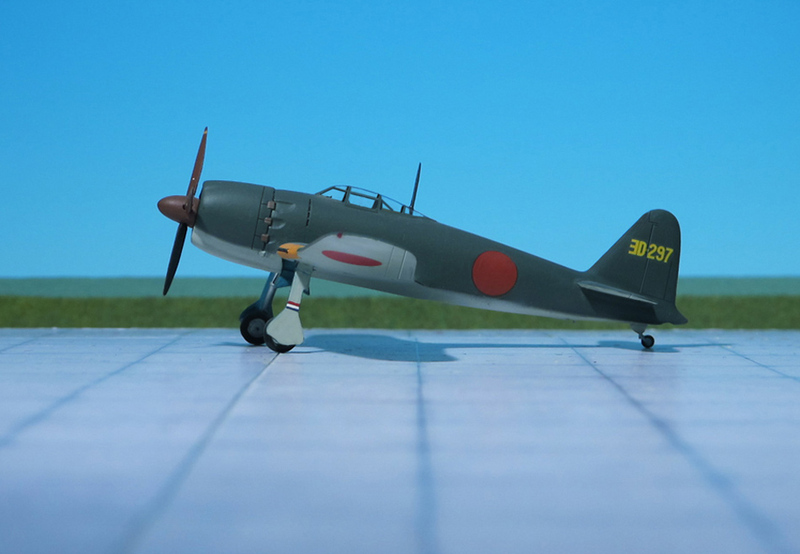 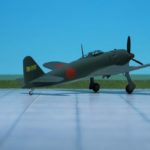 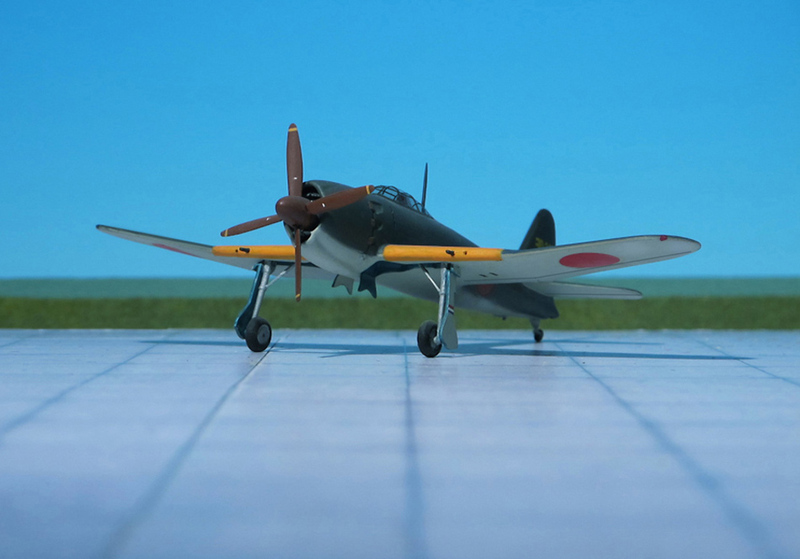 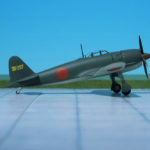 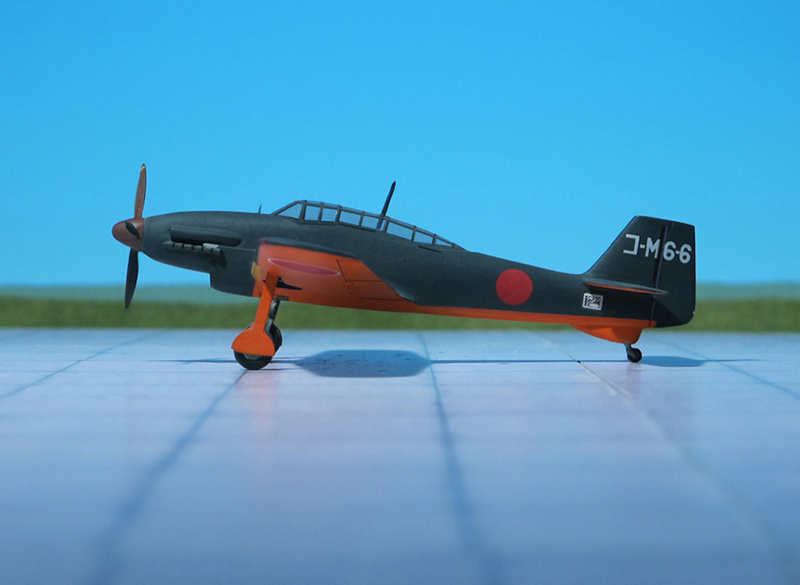 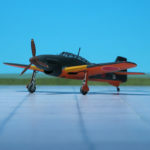 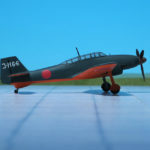 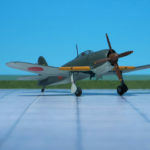 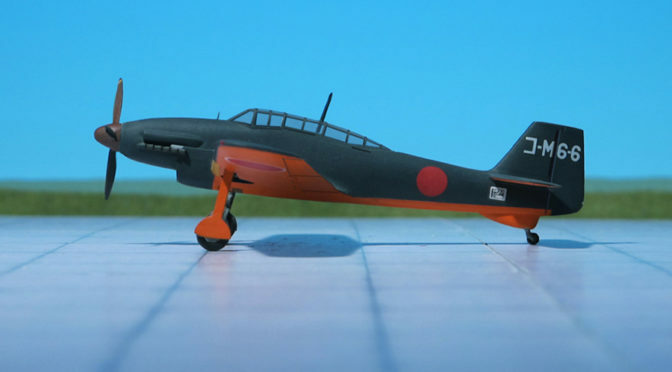 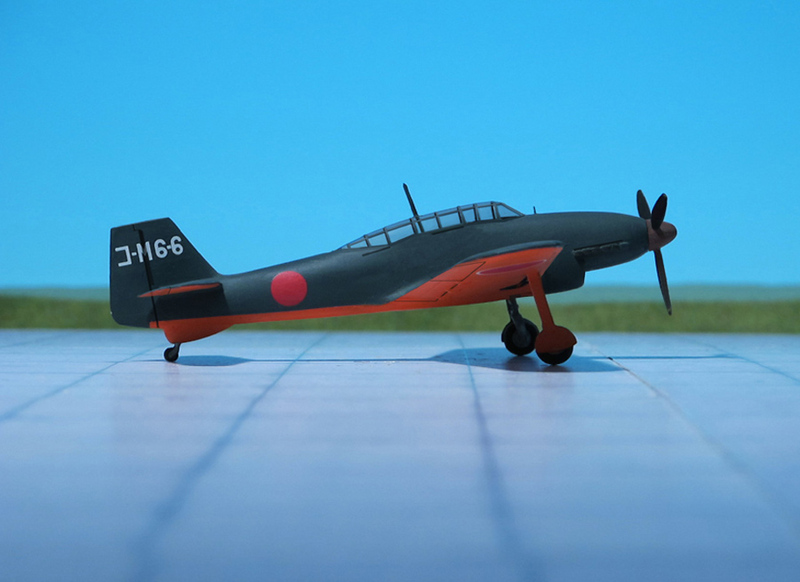 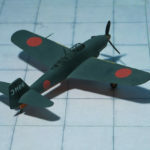 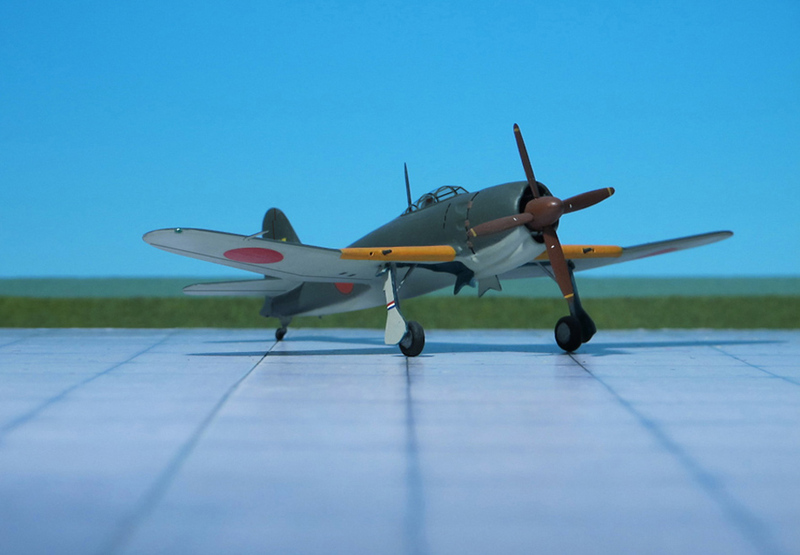 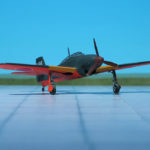 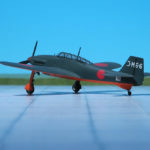 By this time, more than 60 hours of flight time had been put on the Do 335 and reports showed it to be good handling characteristics, but more importantly, it was a very fast aircraft. 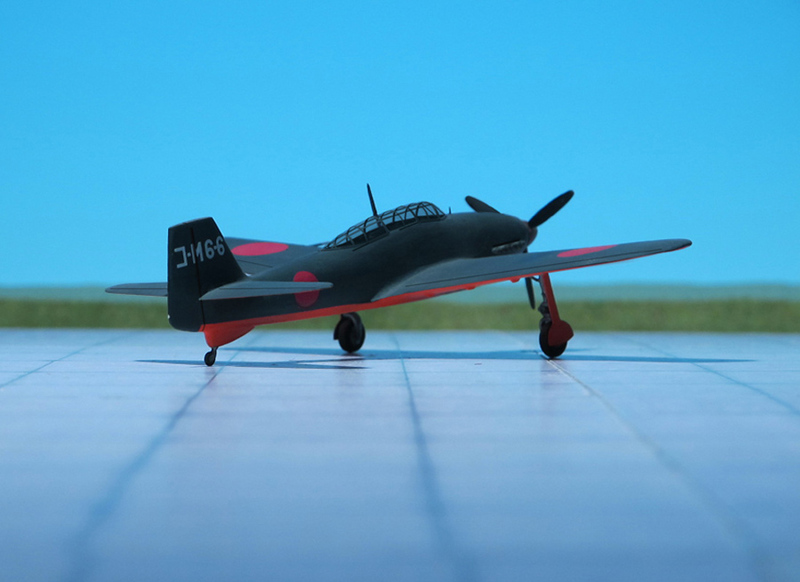 Even with one engine out, it reached about 350 mph. 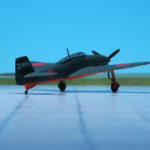 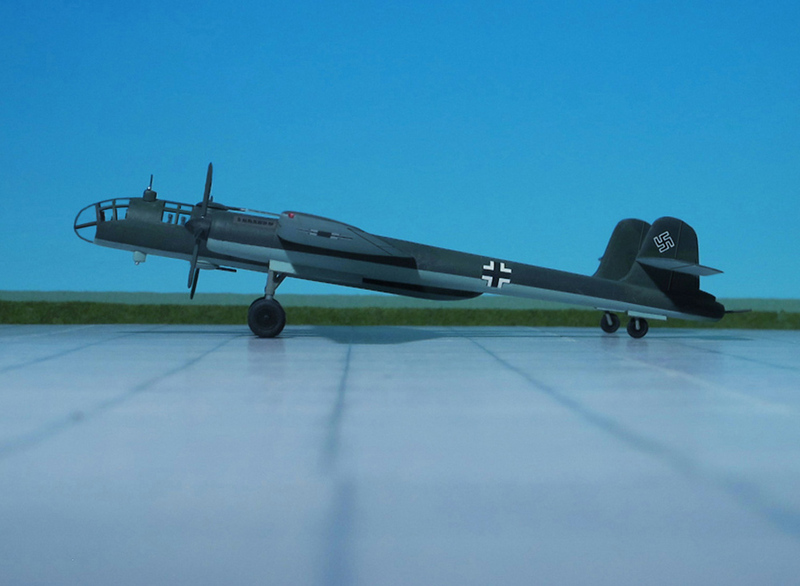 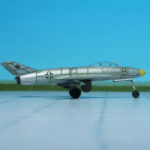 Thus the Do 335 was scheduled to begin mass construction, with the initial order of 120 preproduction aircraft to be manufactured by DWF (Dornier-Werke Friedrichshafen) to be completed no later than March 1946. 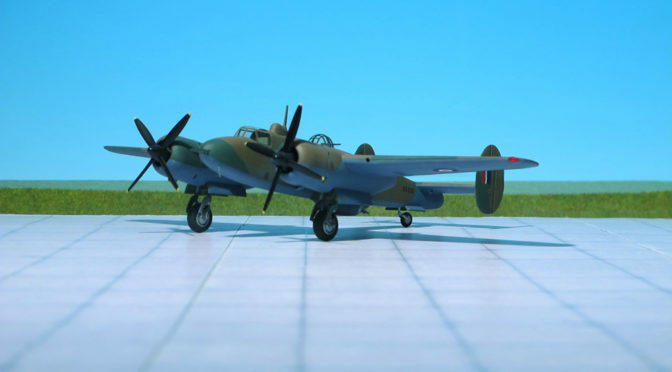 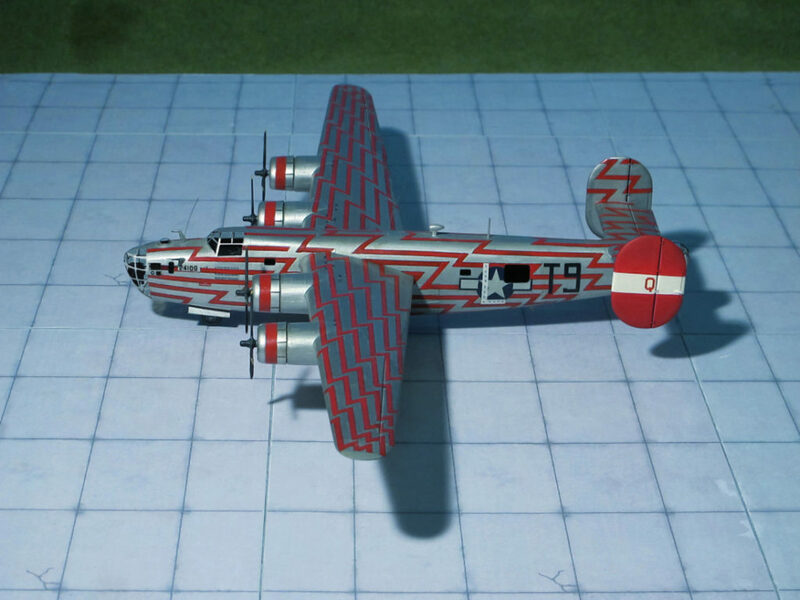 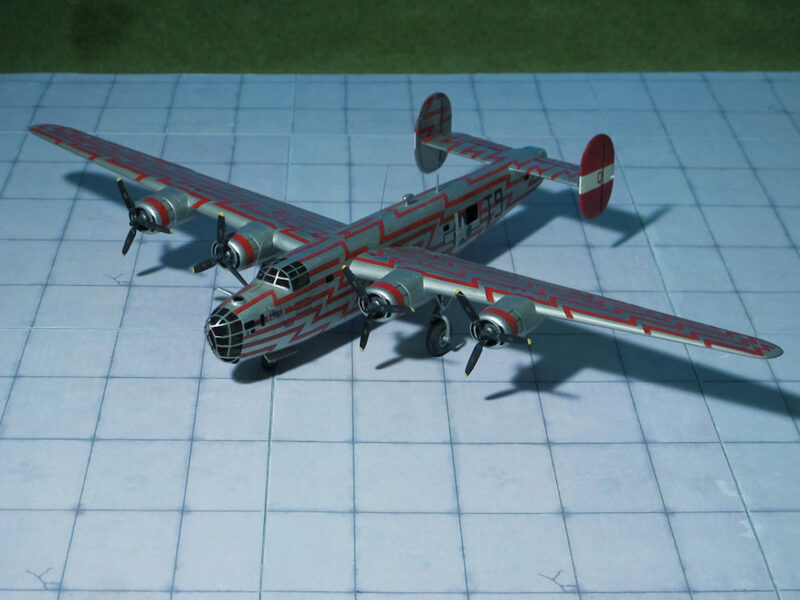 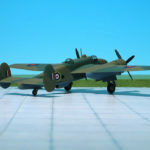 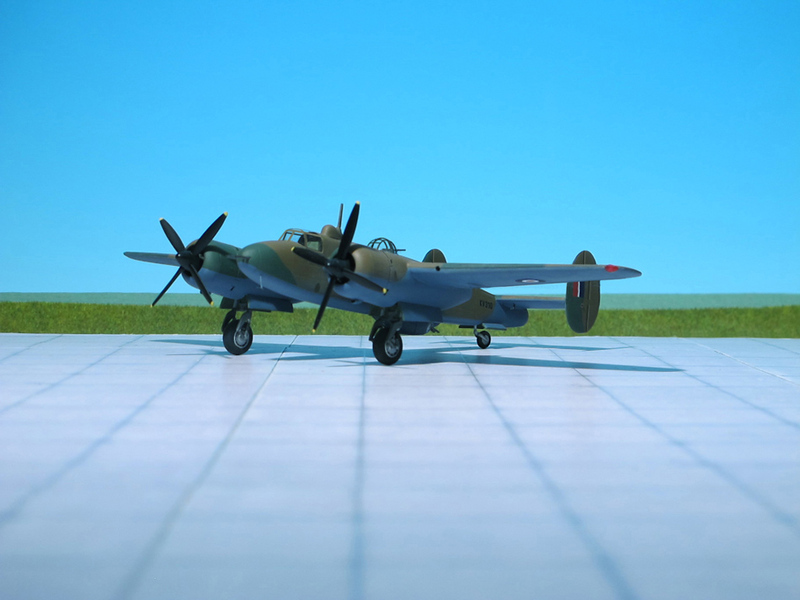 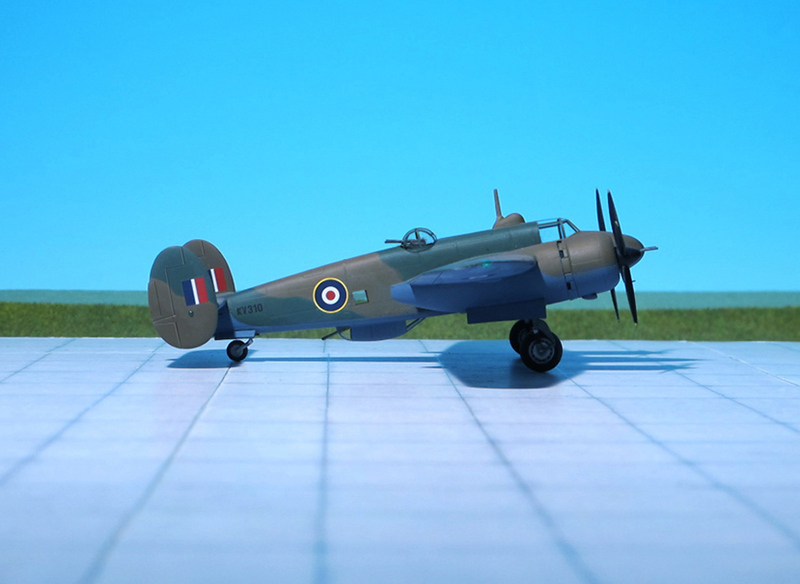 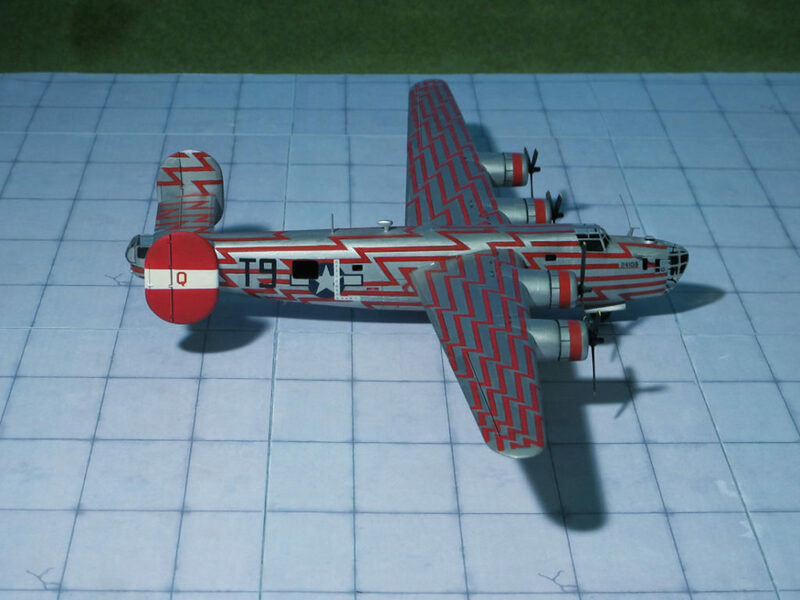 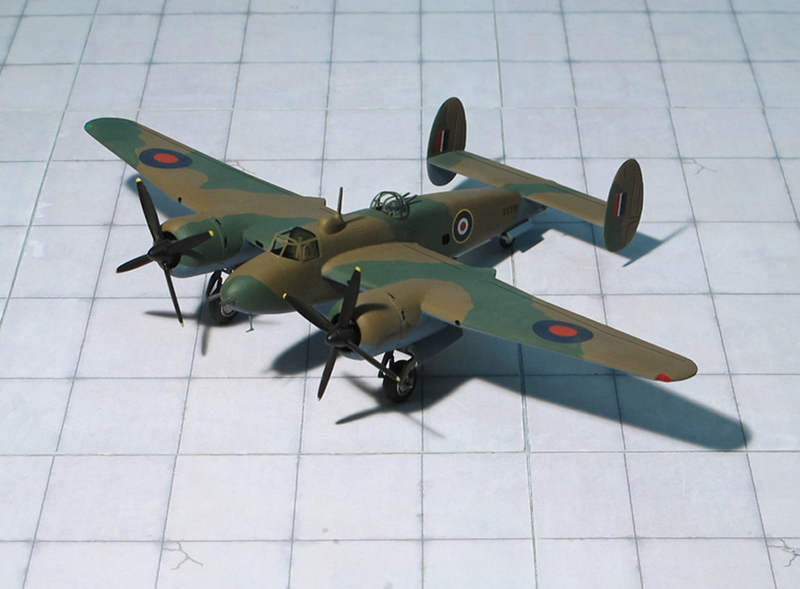 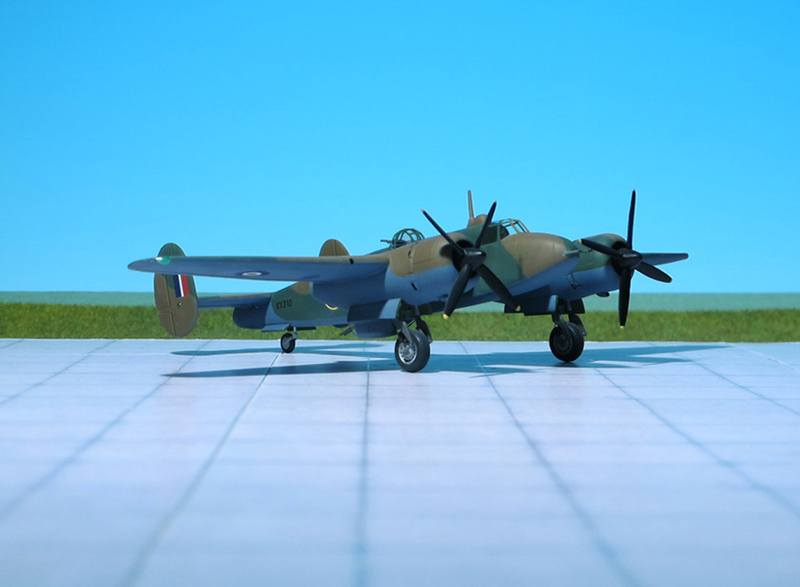 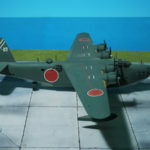 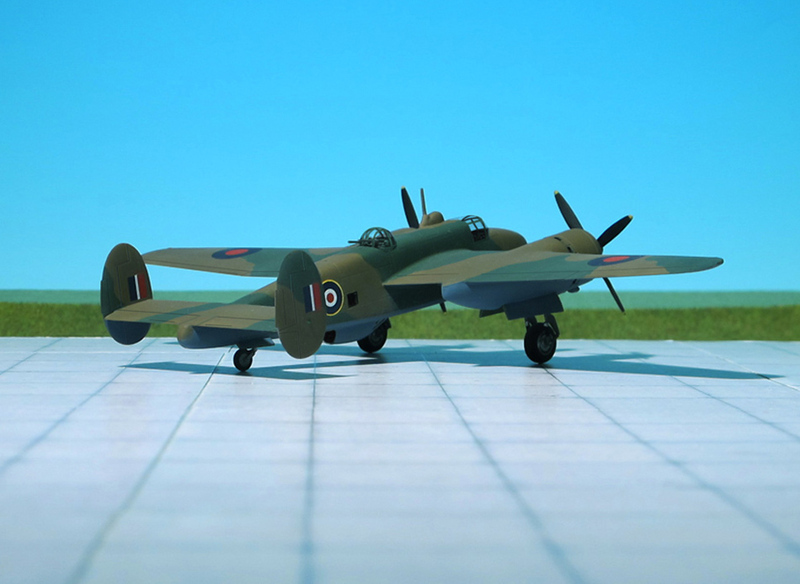 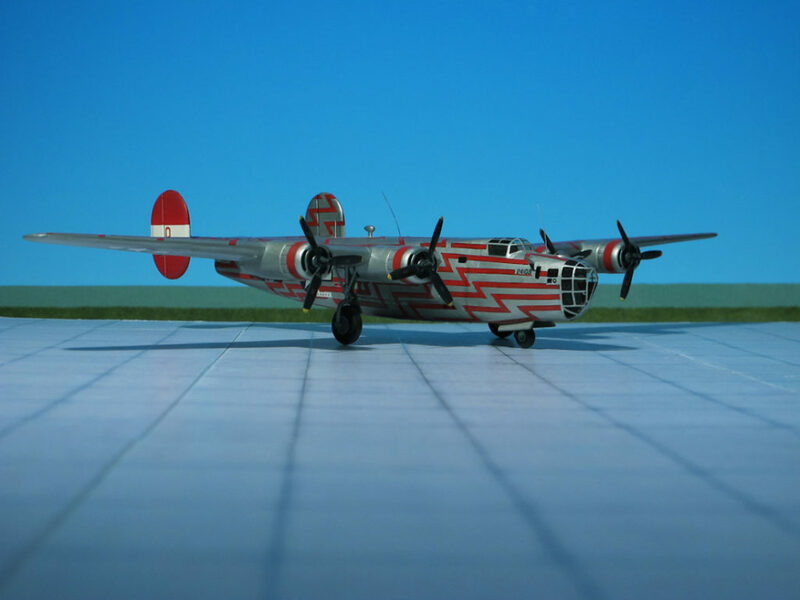 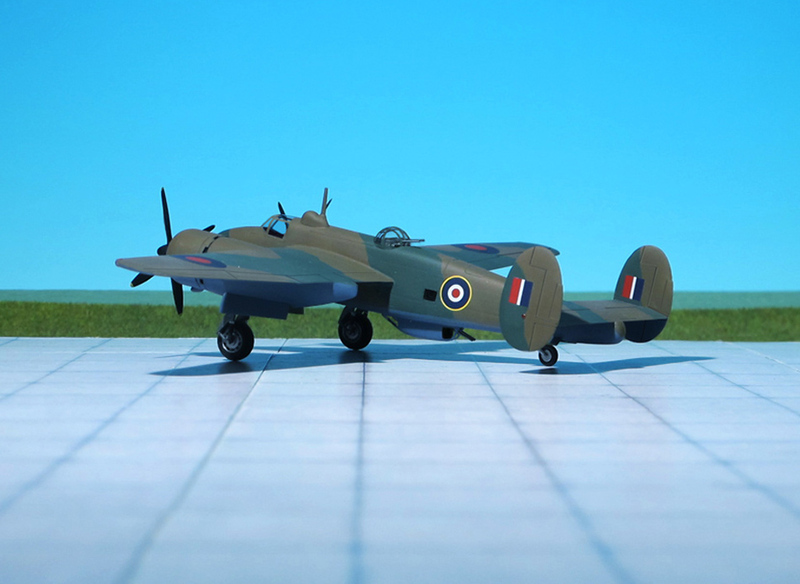 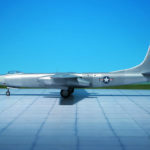 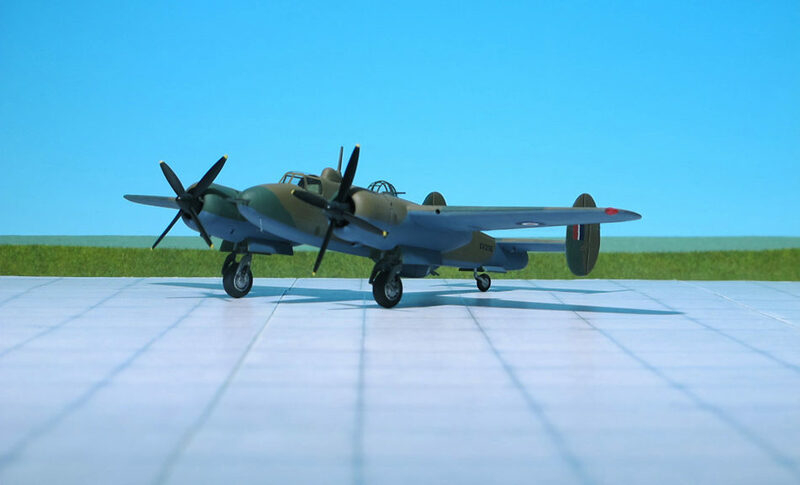 This number included a number of bombers, destroyers (heavy fighters), and several yet to be developed variants. 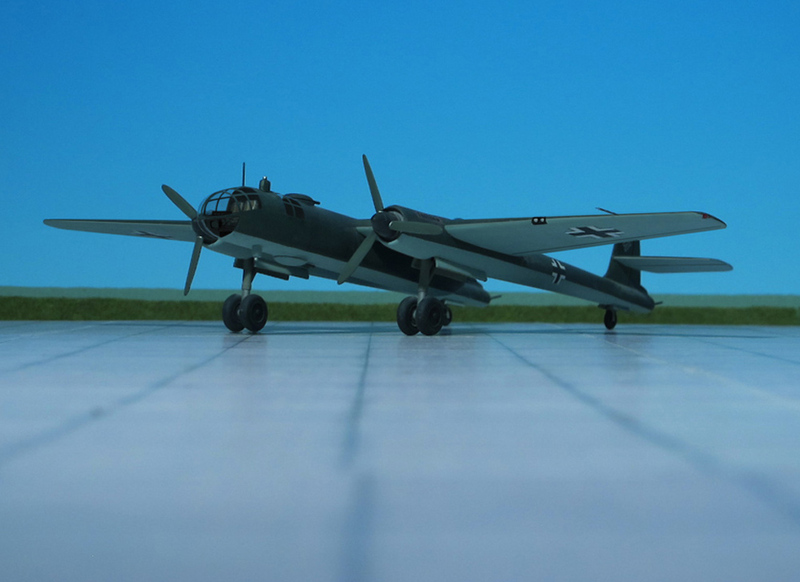 At the same time, DWM (Dornier-Werke München) was scheduled to build over 2000 Do 335s in various models, due for delivery in March 1946 as well. 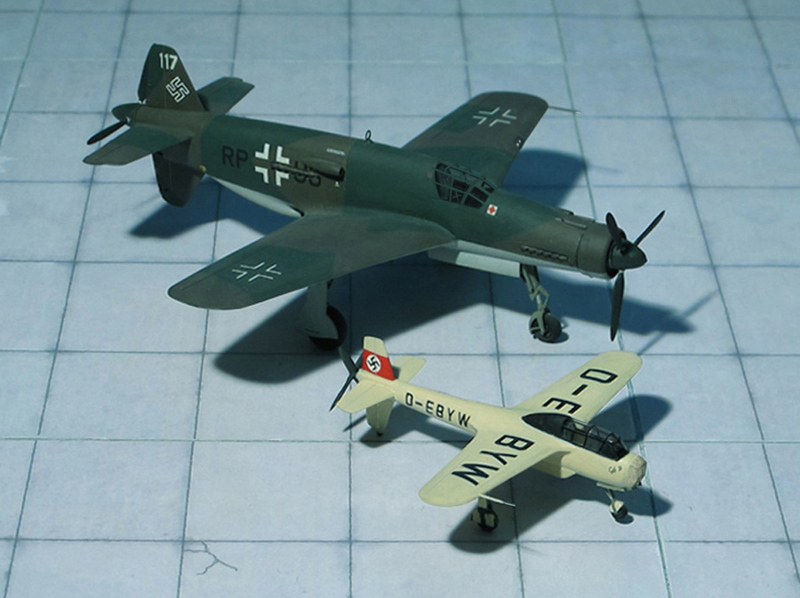 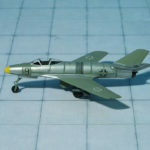 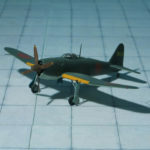 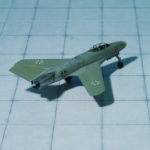 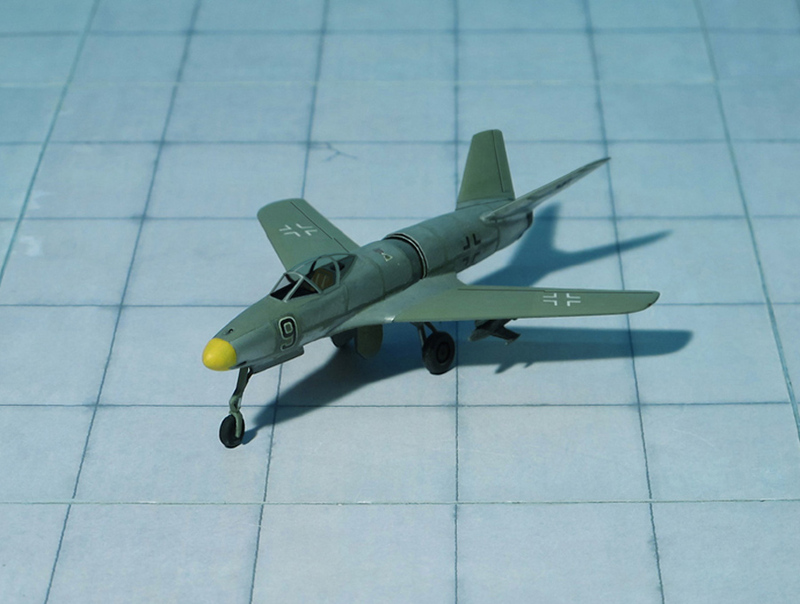 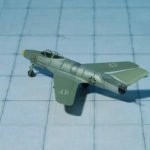 On 23 May 1944, as part of the developing “Jägernotprogramm” (“Emergency Fighter Program”) directive, maximum priority was given to Do 335 production. 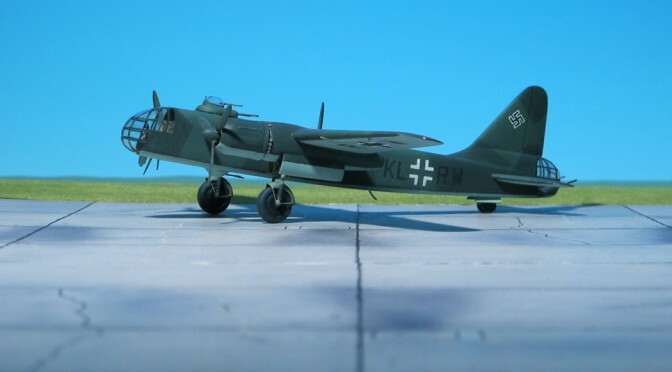 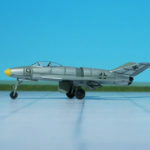 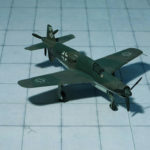 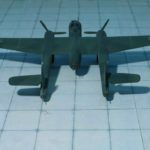 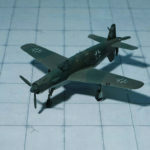 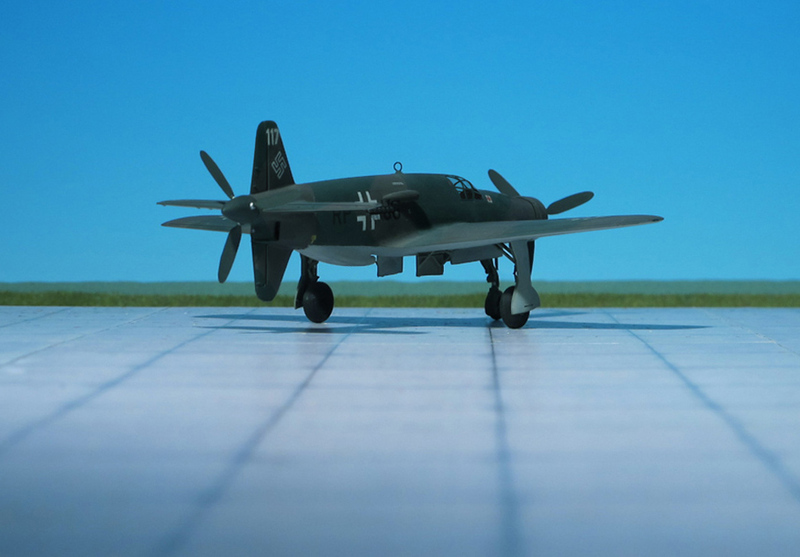 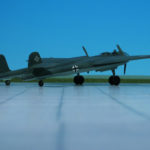 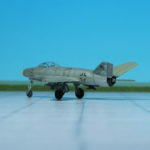 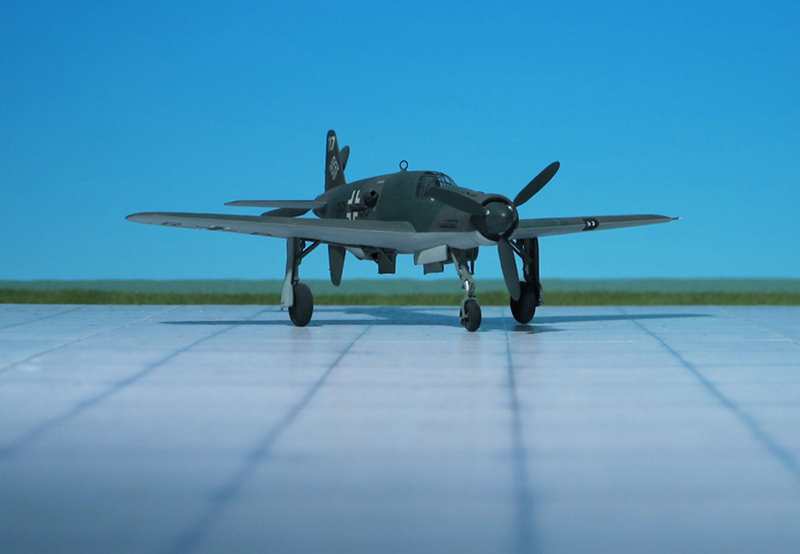 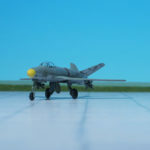 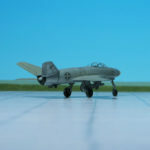 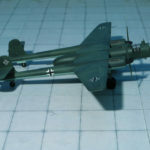 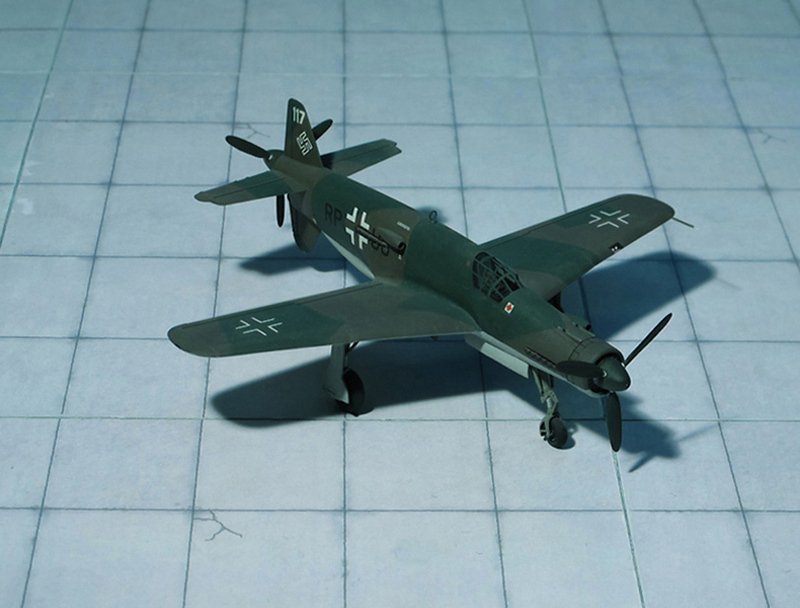 Furthermore, the decision was made, along with the rapid shut-down of many other military aircraft development programs, to cancel the Heinkel He 219 night fighter, which also used the DB 603 engines, and use its production facilities for the Do 335 as well. 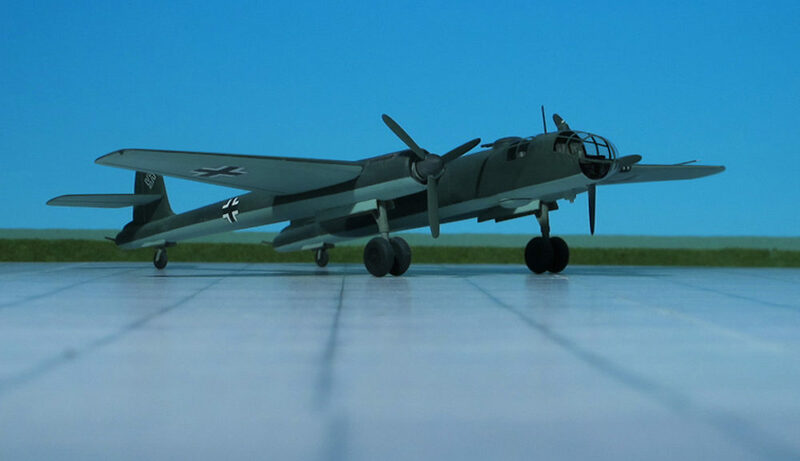 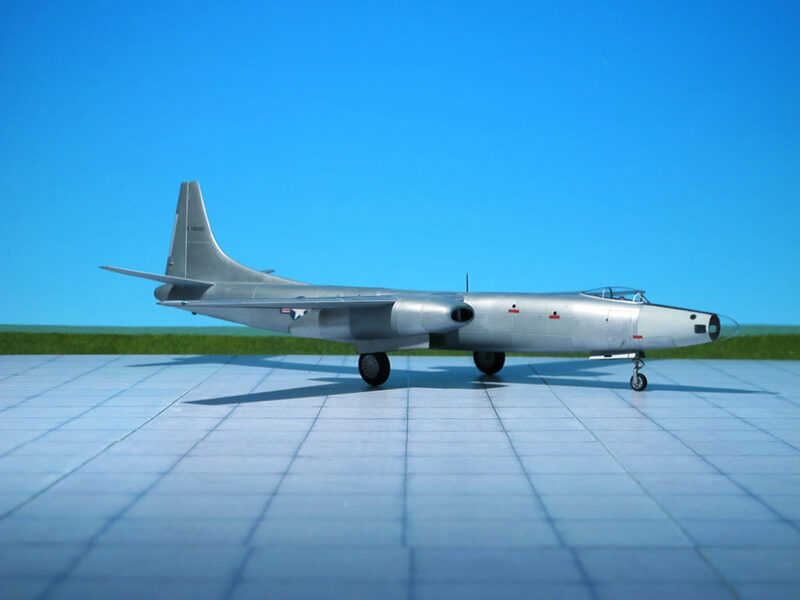 However, Ernst Heinkel managed to delay, and eventually ignore, its implementation, continuing to produce examples of the He 219A. 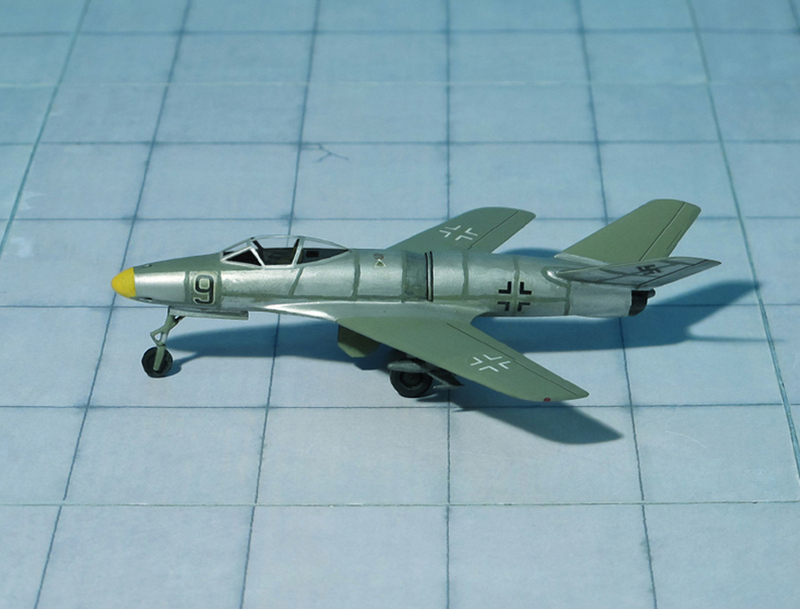 At least 16 prototype Do 335s were known to have flown as well as Muster-series prototypes on a number of DB603 engine subtypes. 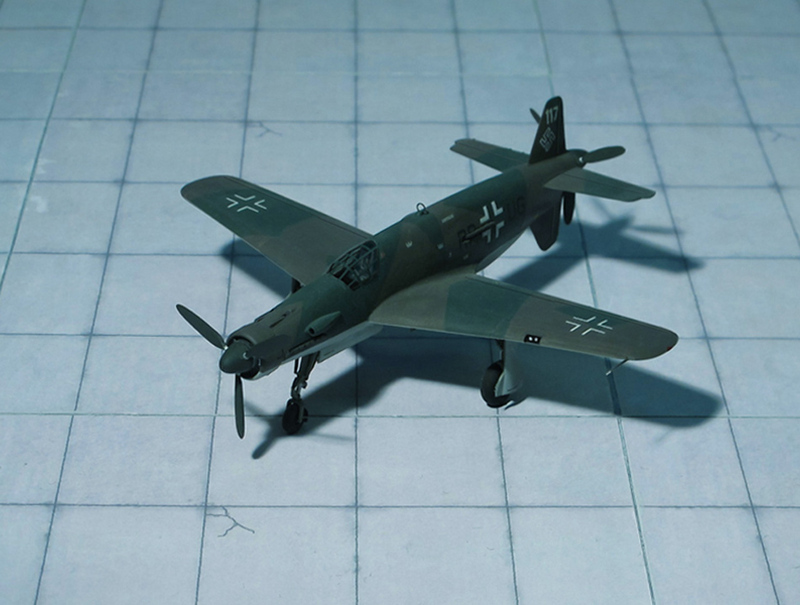 The first preproduction Do 335A-0s were delivered in July 1944 to the “Erprobungskommando 335” (“Proving detachment 335”) formed for service evaluation purposes. 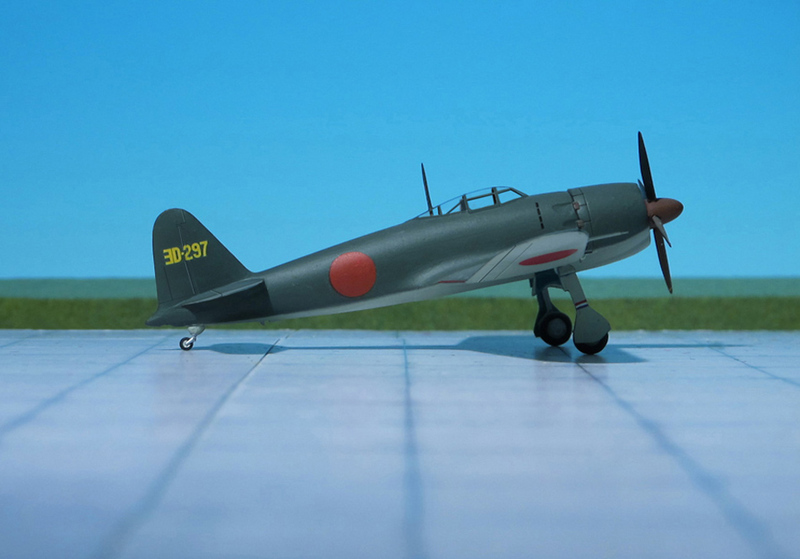 Approximately 22 preproduction aircraft were thought to have been completed and flown before the end of WW II including approximately 11 Do 335A-1 single-seat fighters of which two examples had been converted to a trainer version Do 335A-12 for training purposes (Ref. 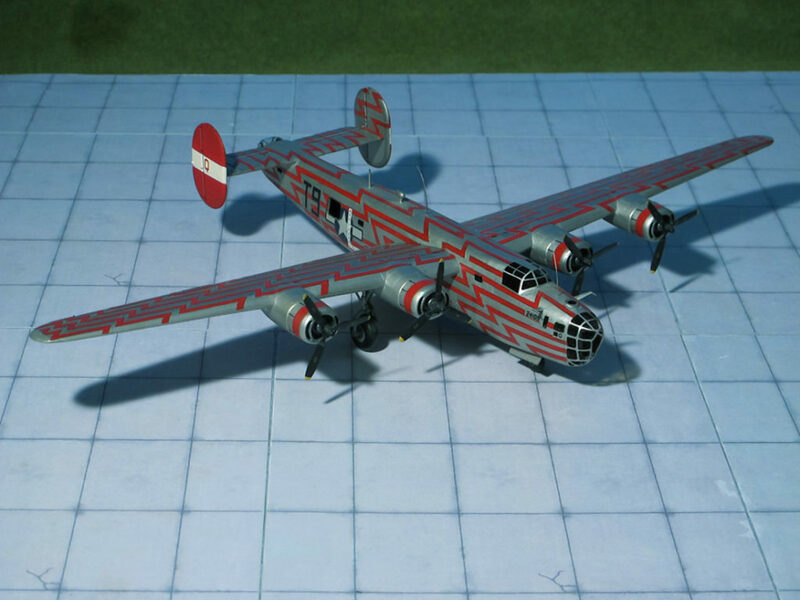 : 7., 24). 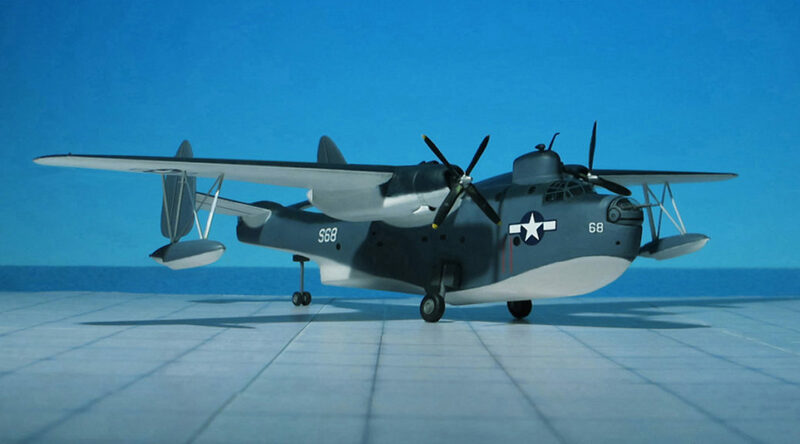 COMMENT: The Martin PBM-5 “Mariner” was an American patrol bomber flying boat of WW II. 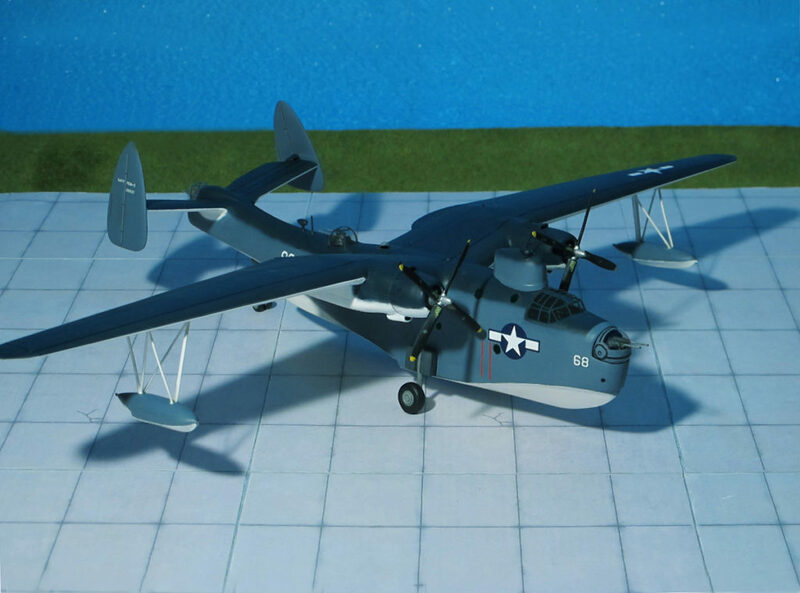 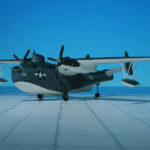 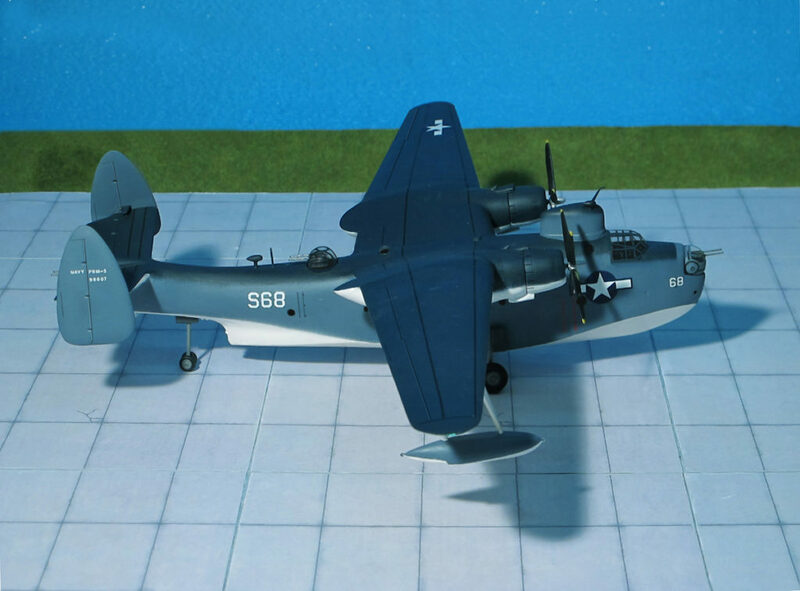 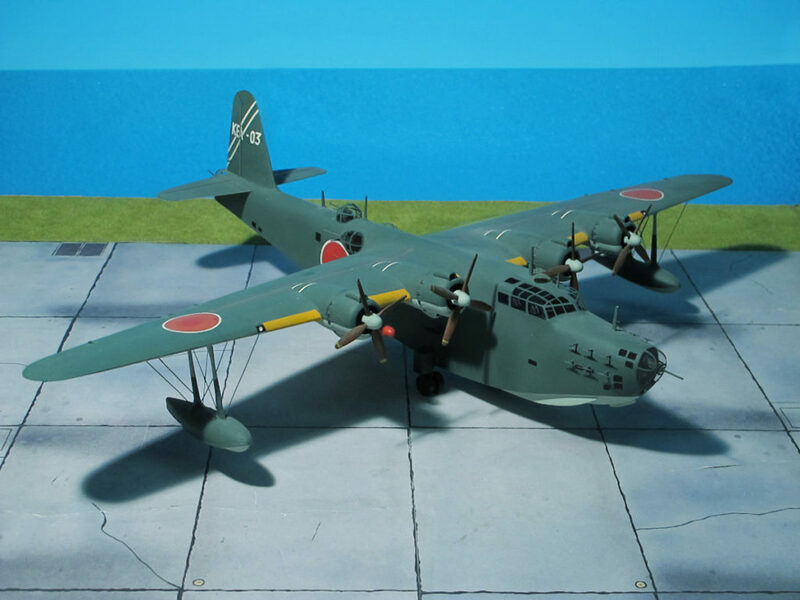 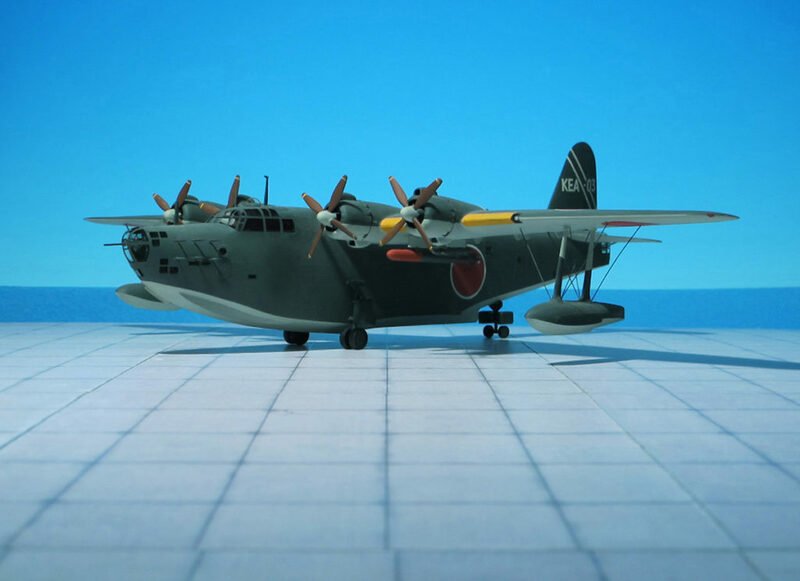 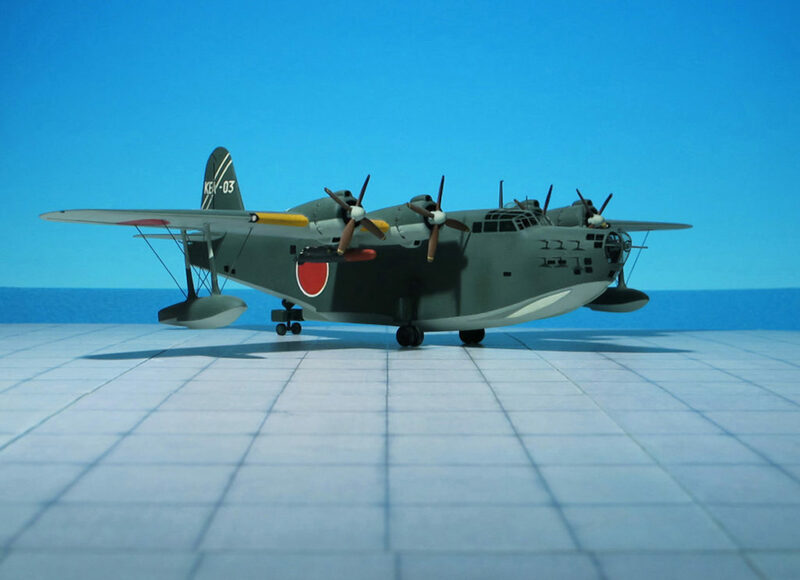 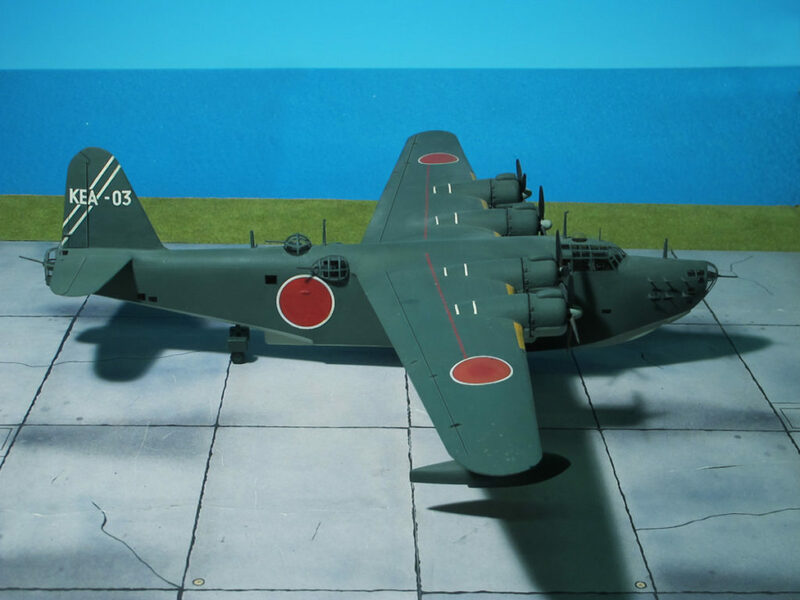 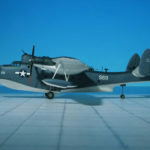 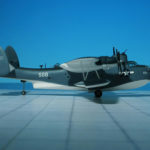 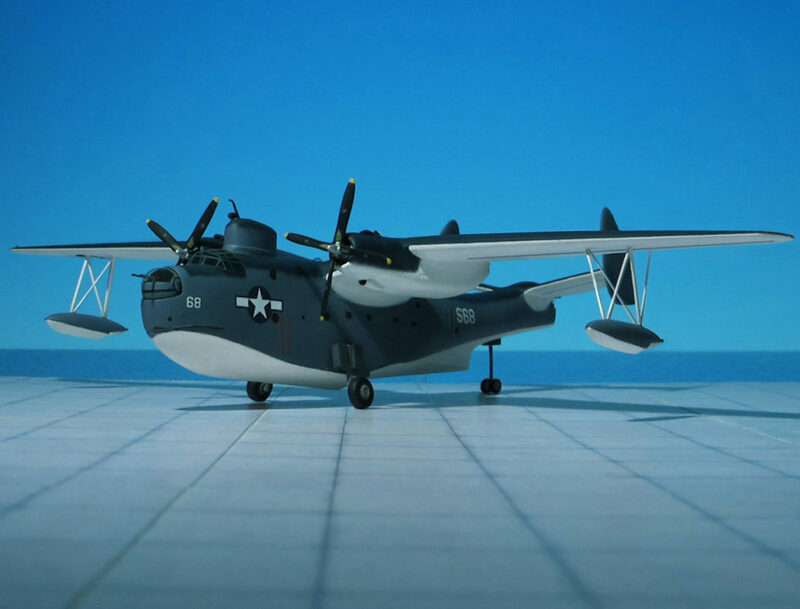 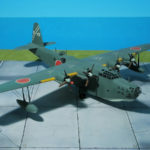 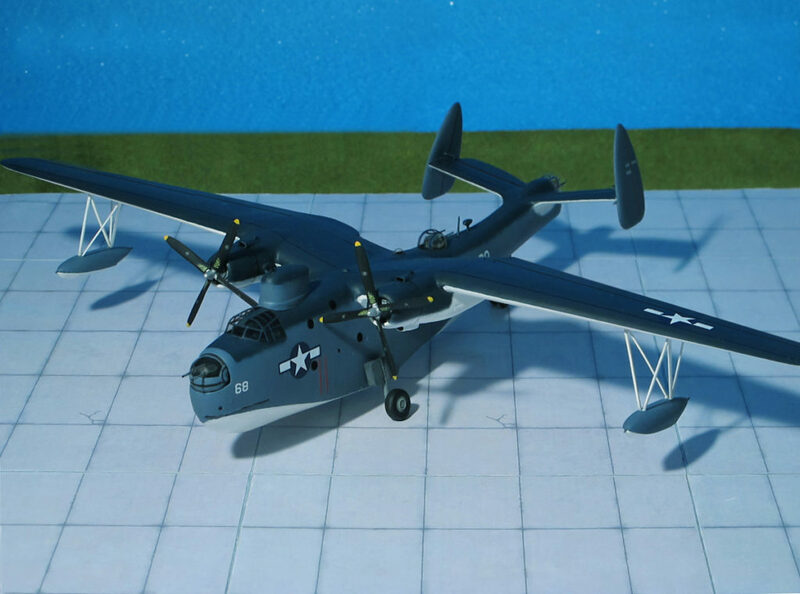 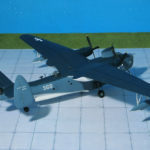 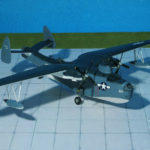 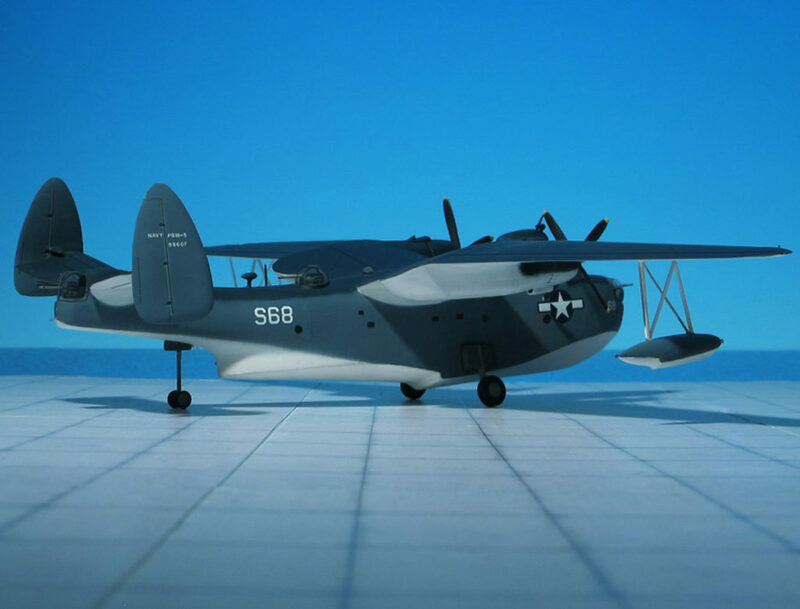 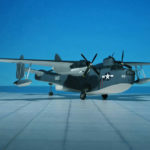 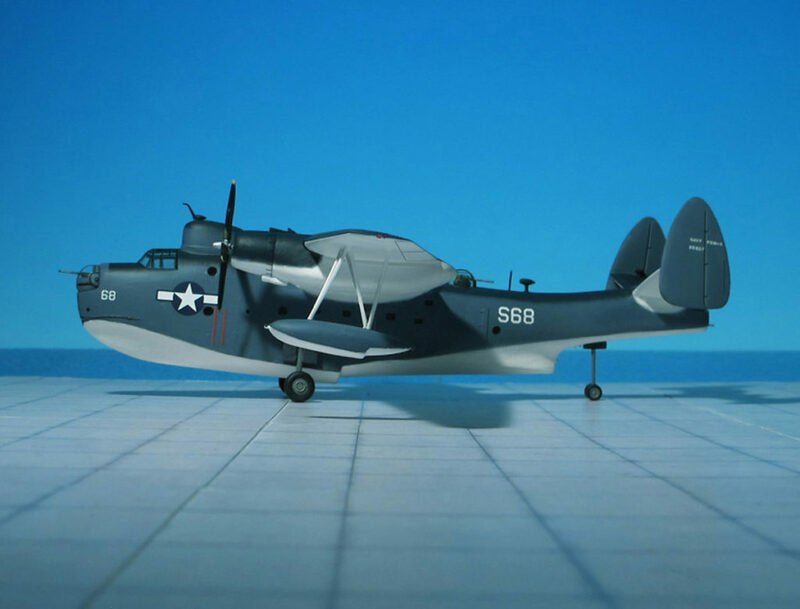 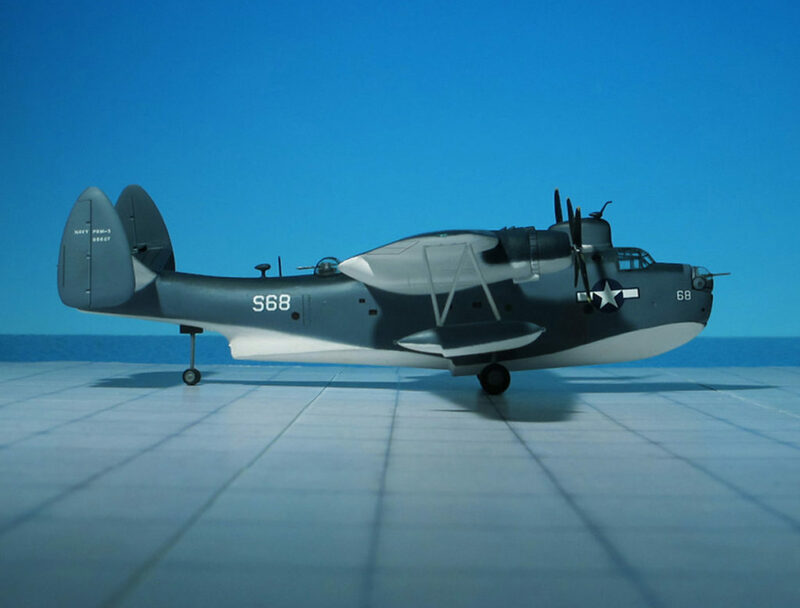 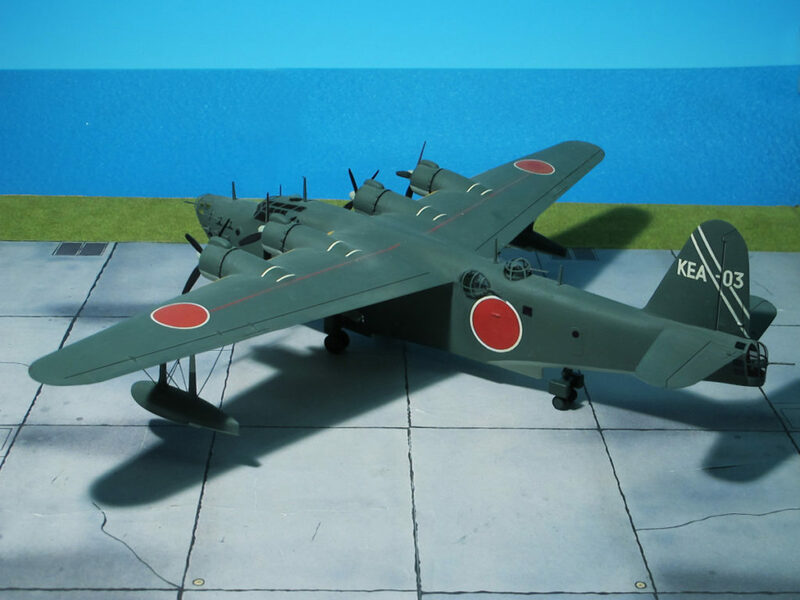 It was designed to complement the Consolidated PBY “Catalina” in service with the US Navy. 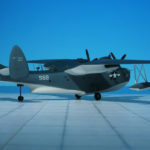 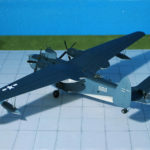 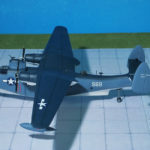 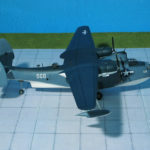 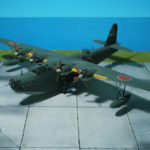 Designed in 1937, the Model 162 continued the rivalry which had sprung up between Martin and Consolidated by challenging the latter company’s PBY “Catalina”. 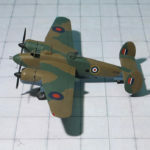 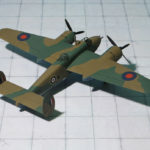 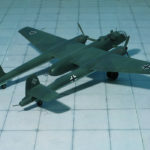 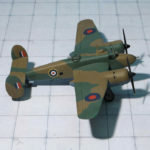 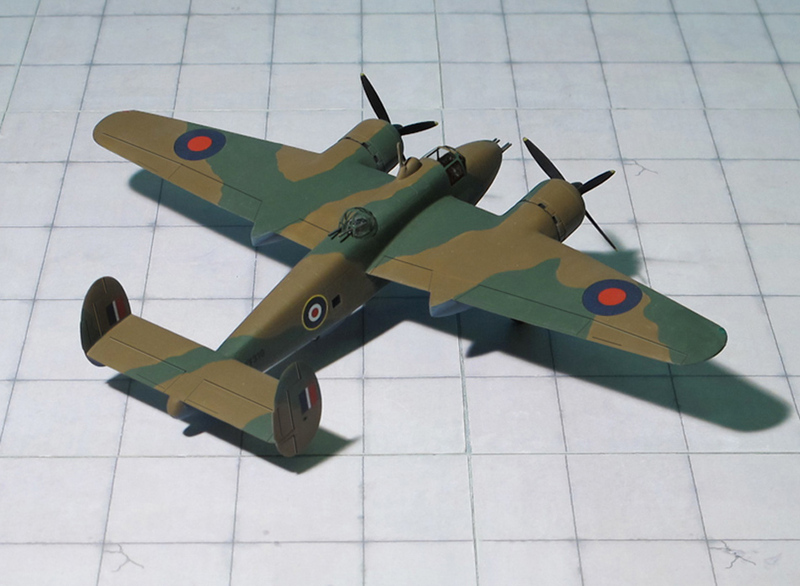 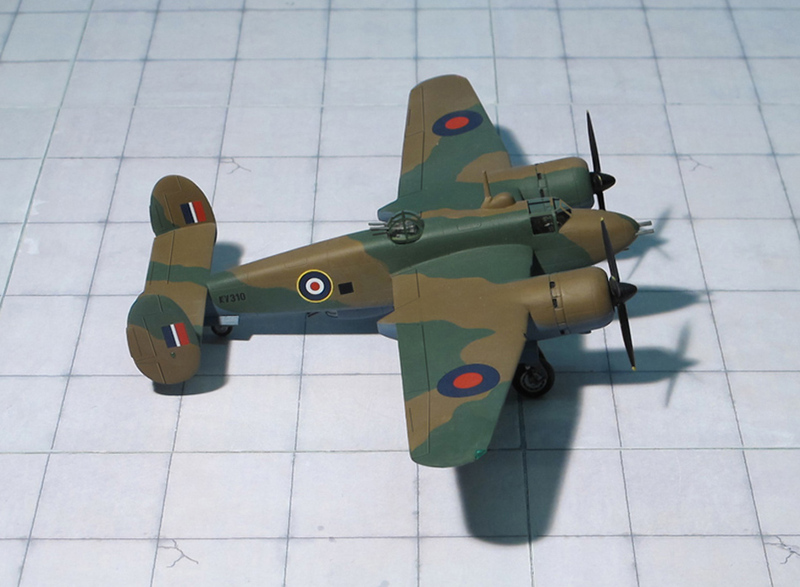 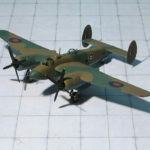 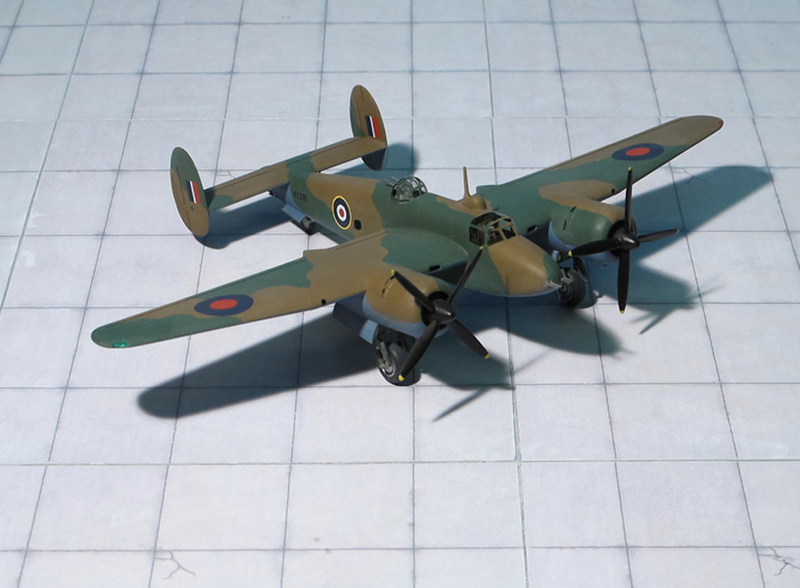 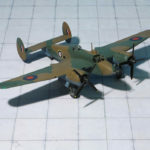 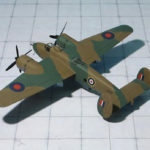 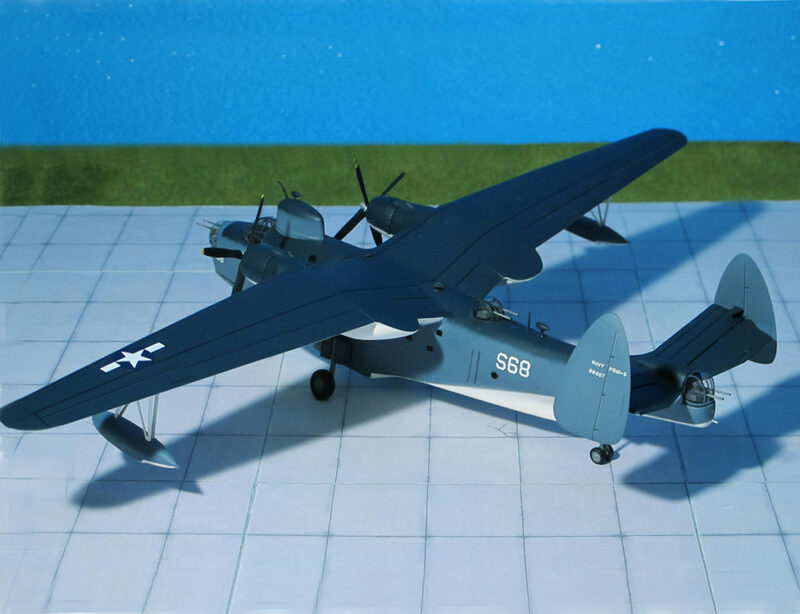 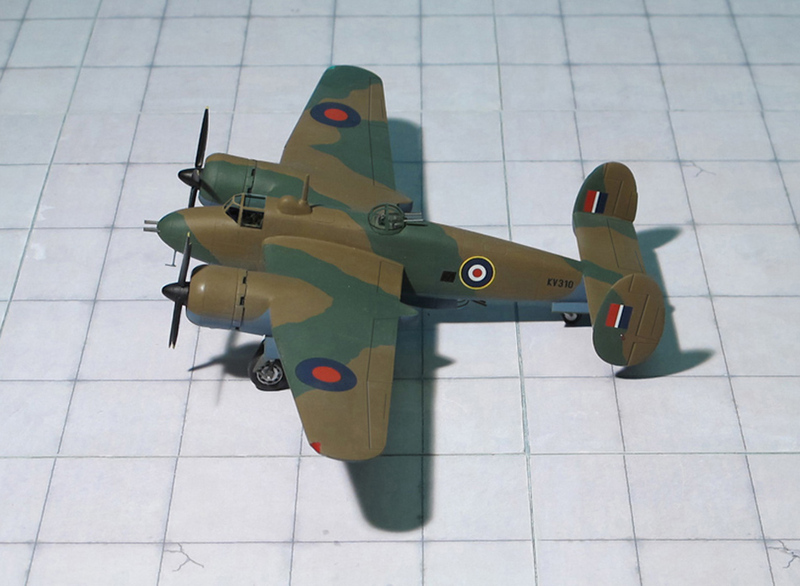 A somewhat later design than the PBY, the Martin 162 was in due course to demonstrate a marked superiority of performance, an although it served in smaller quantities than the PBY during WW II, it continued to give important service for many years after 1945. 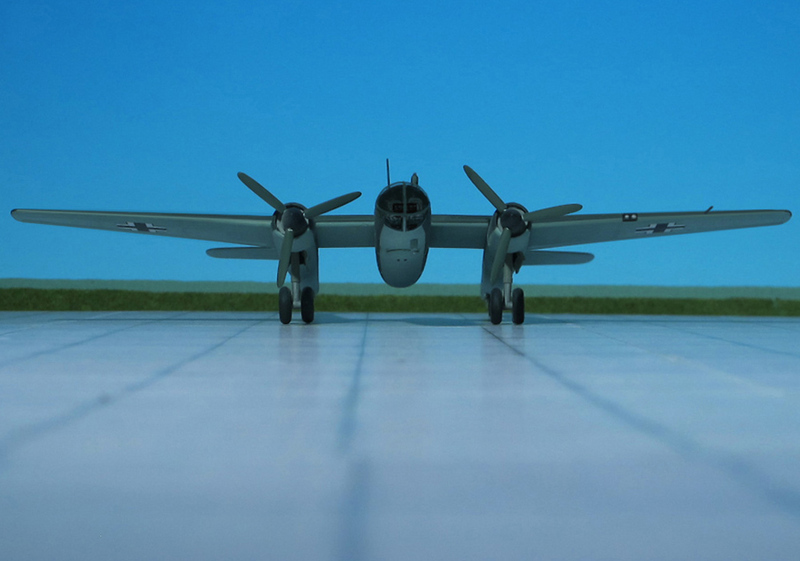 The Model 162 design featured a deep hull with a gull wing and two Wright “Cyclone” engines. 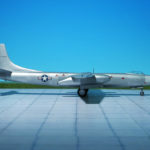 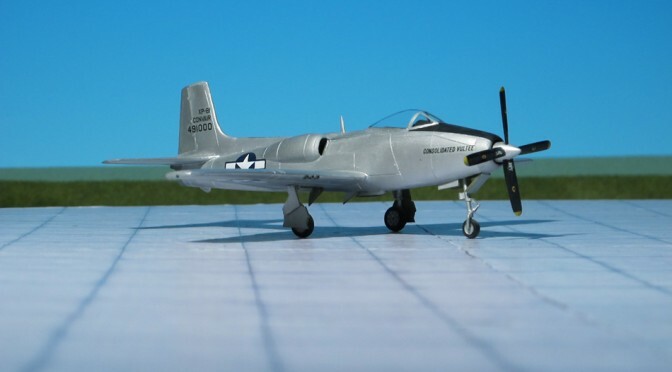 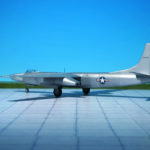 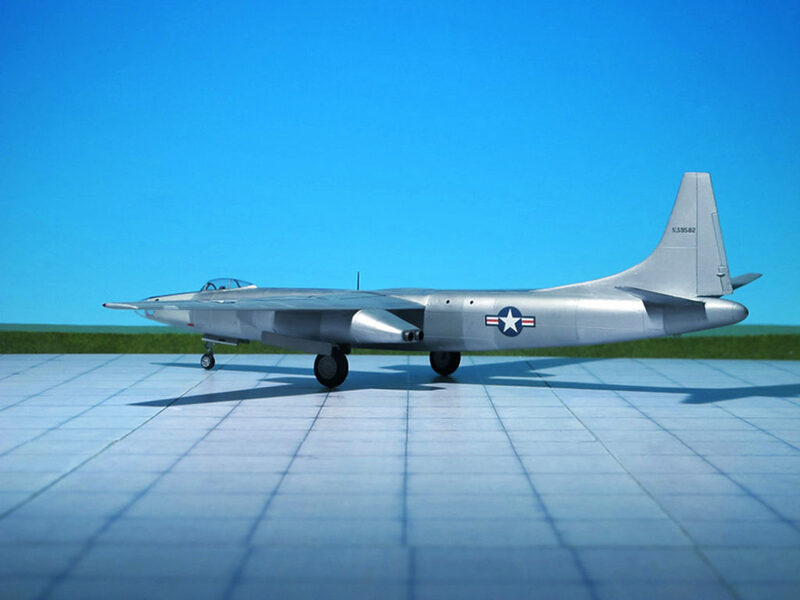 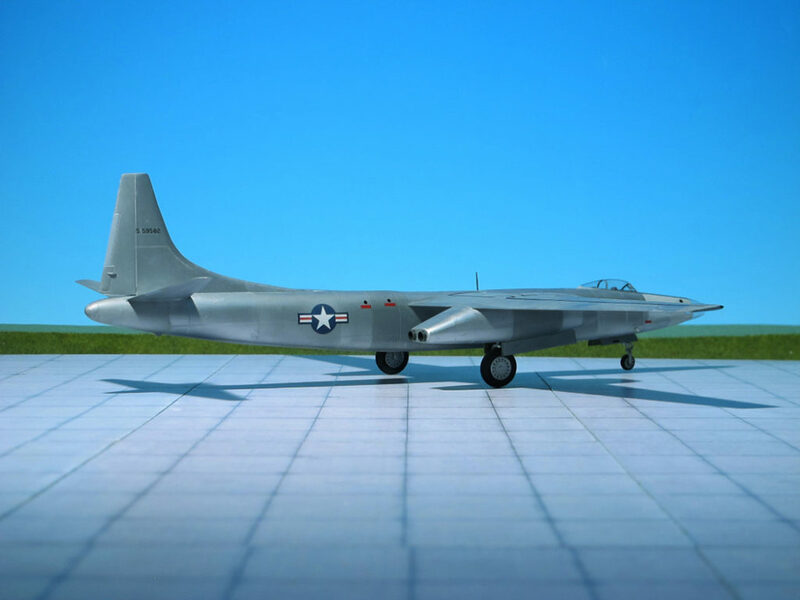 To test the handling qualities of the design, Martin built a single-seat, quarter-scale model known as the Model 162A, an on June 1937, the US Navy places a contract for a single full-scale prototype, to be designated XPBM-1. 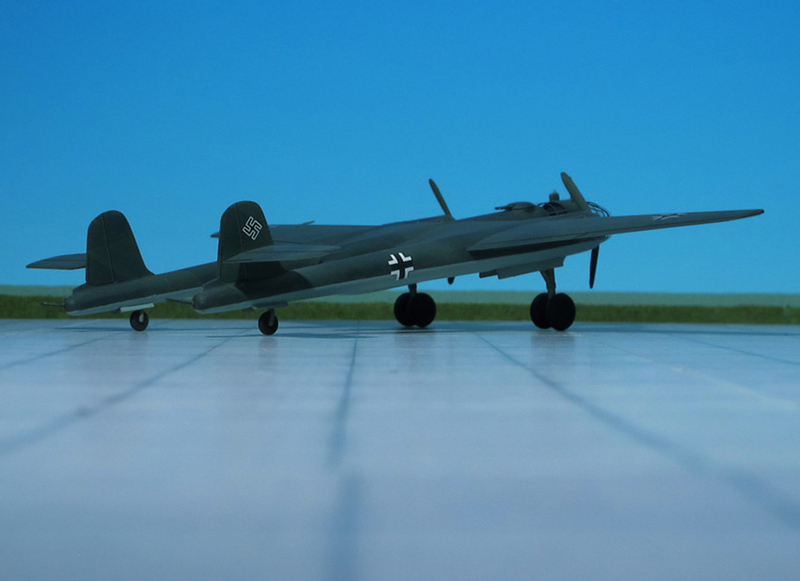 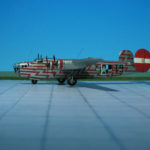 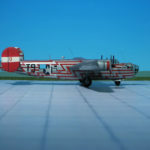 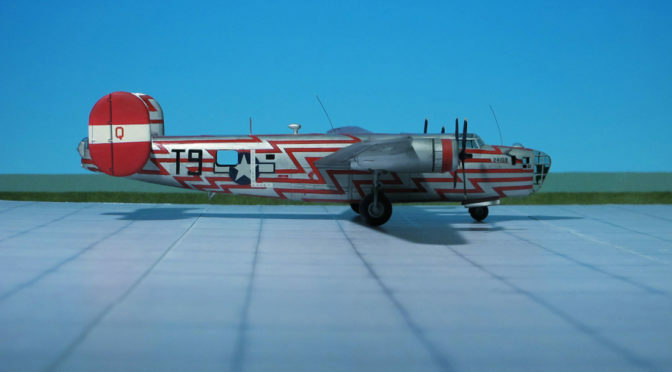 First flown on February 1939, the XPBM-1 had 1,600 hp Wright R-2600-6 engines an provision for nose and dorsal turrets plus additional gun positions at the waist and tail position. 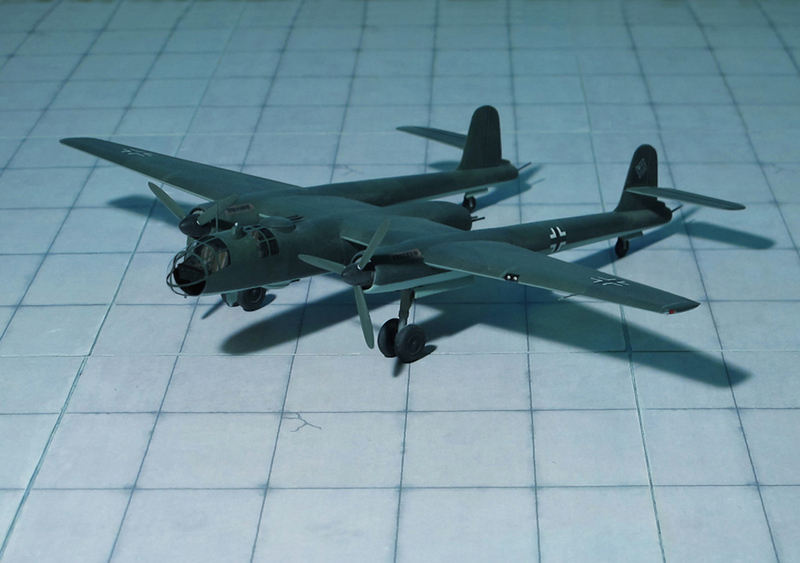 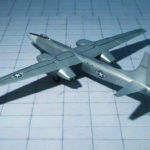 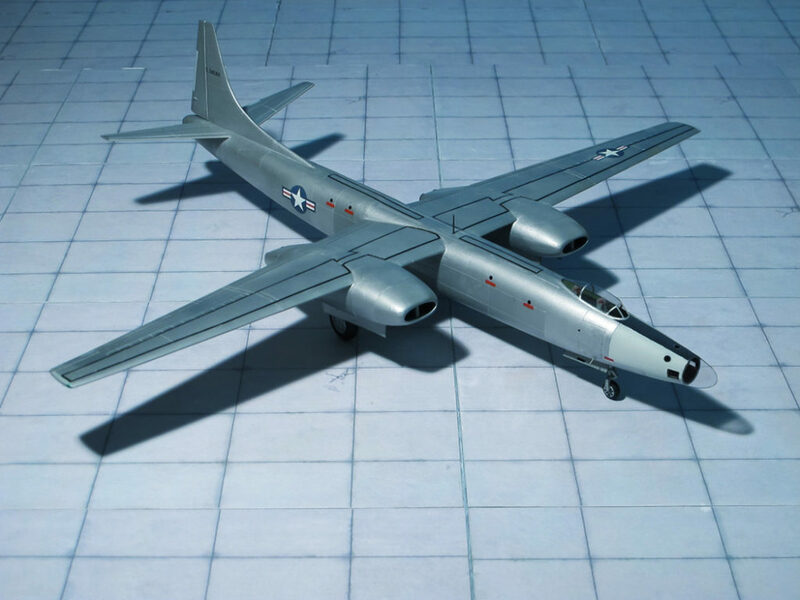 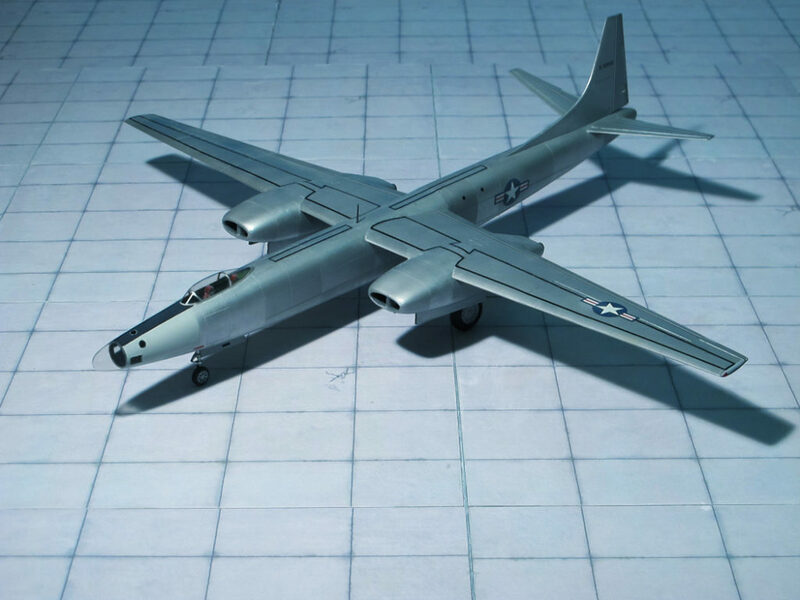 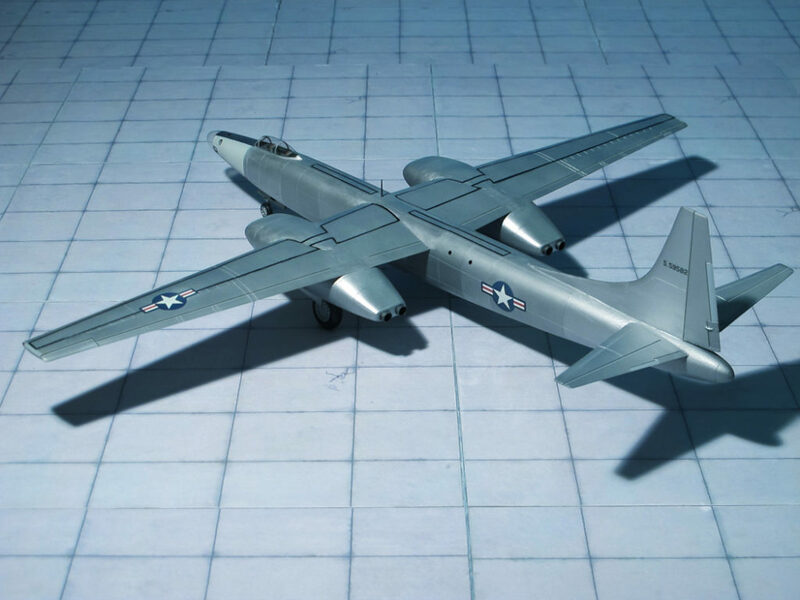 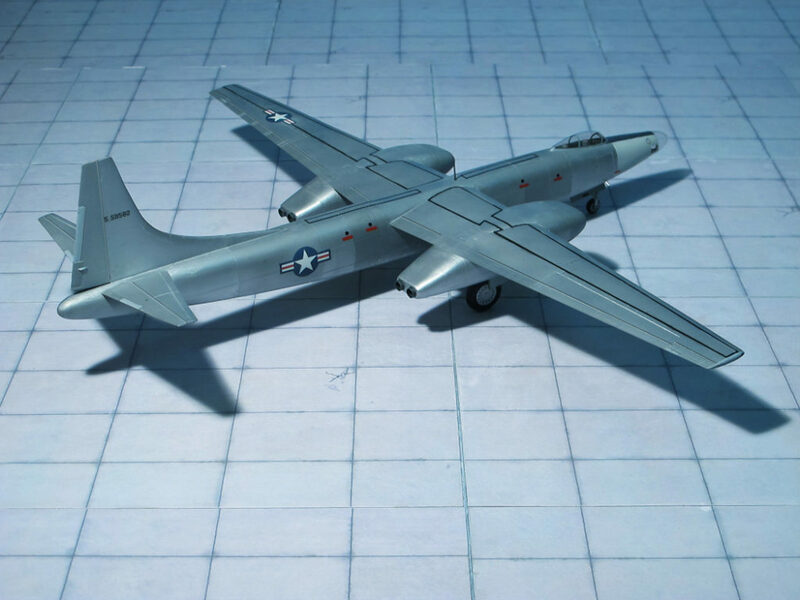 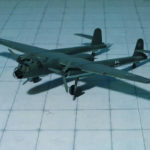 The XPBM-1 was designed to carry 2,000 lb bombs or depth-charges. 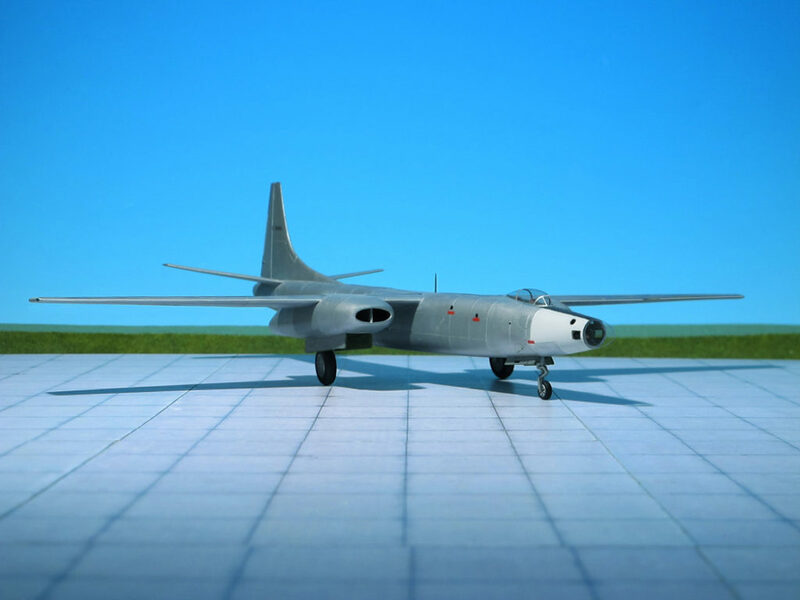 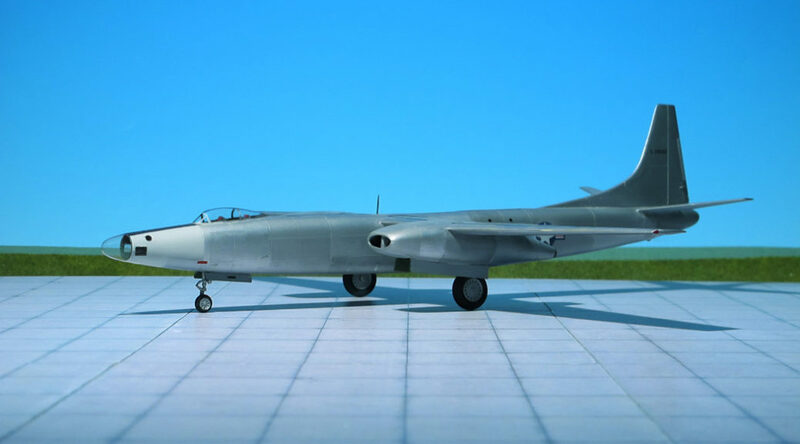 It had retractable stabilizing floats under the wing and a flat tailplane with outrigged fins. 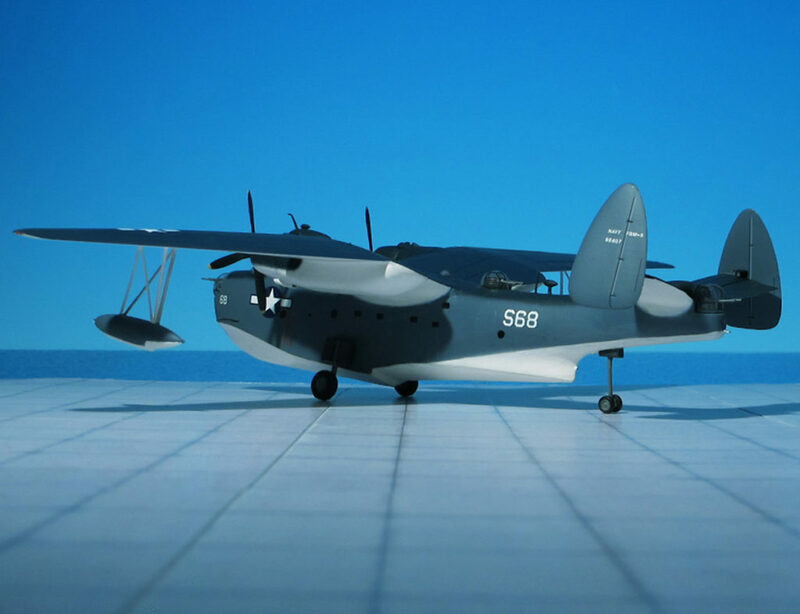 Later, dihedral was added to the tailplane, canting the fins inward to give the Martin flying boat one of its most striking characteristics. 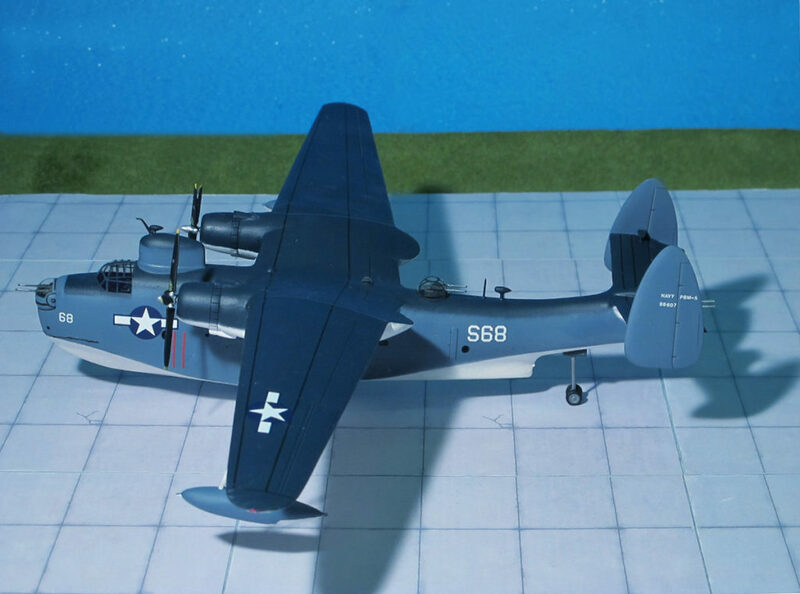 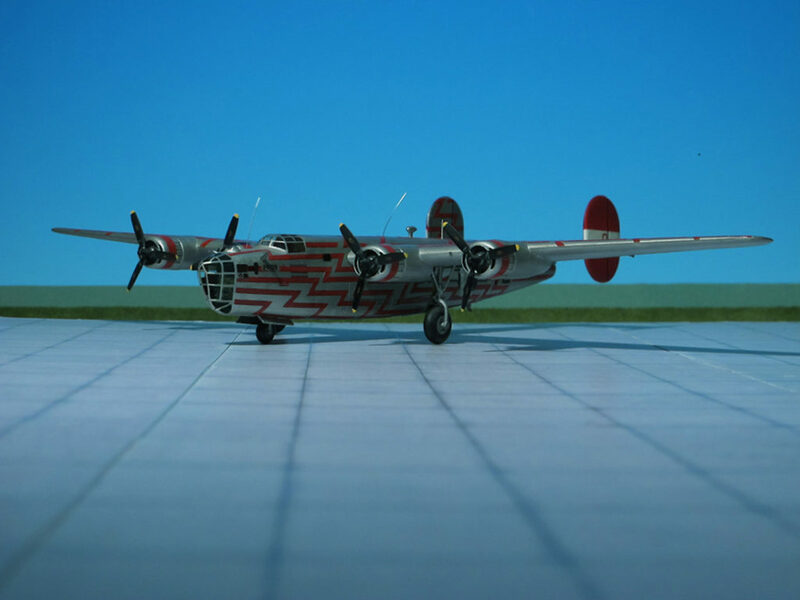 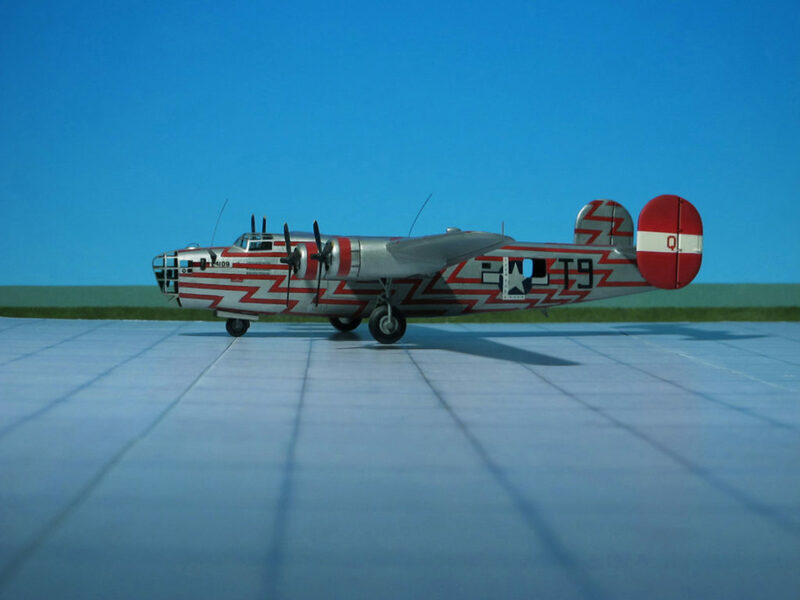 At the end of 1937 the Navy ordered 20 production model PBM-1s, for which the name “Mariner” was eventually chosen. 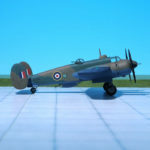 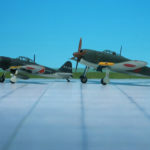 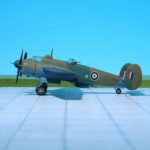 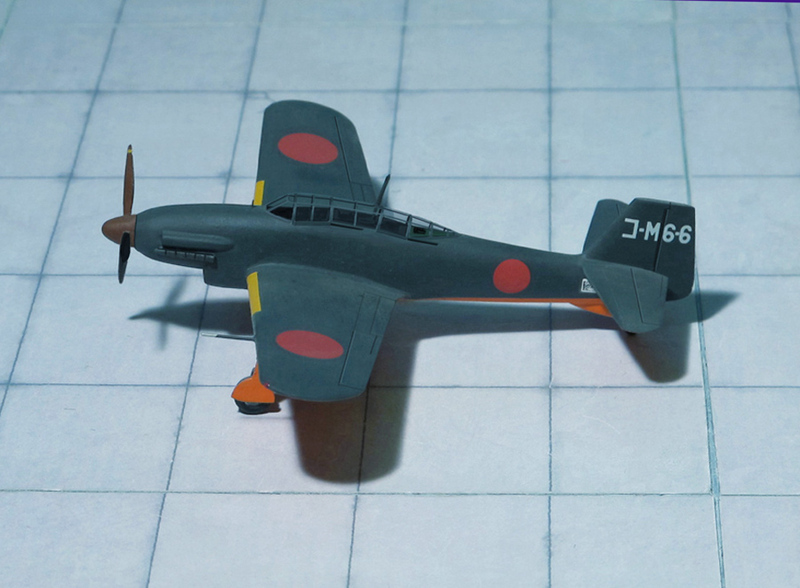 All aircraft were completed by April 1941 and went into service during 1941. 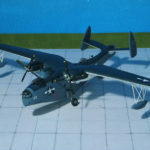 On November 1941, orders were placed with Martin for 379 PBM-3 “Mariners” and these appeared, from 1942 onwards, in several different versions. 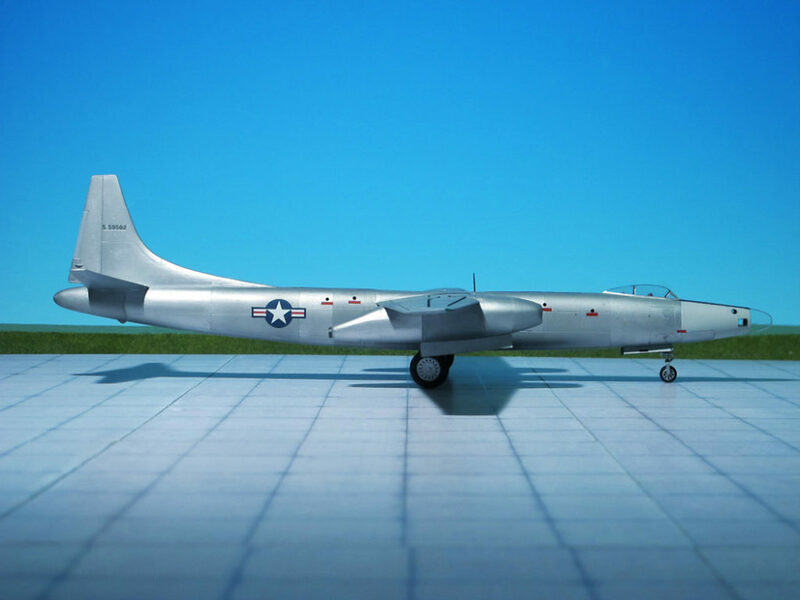 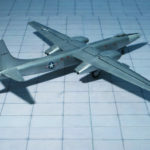 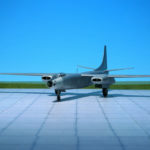 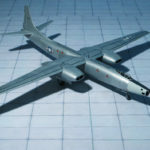 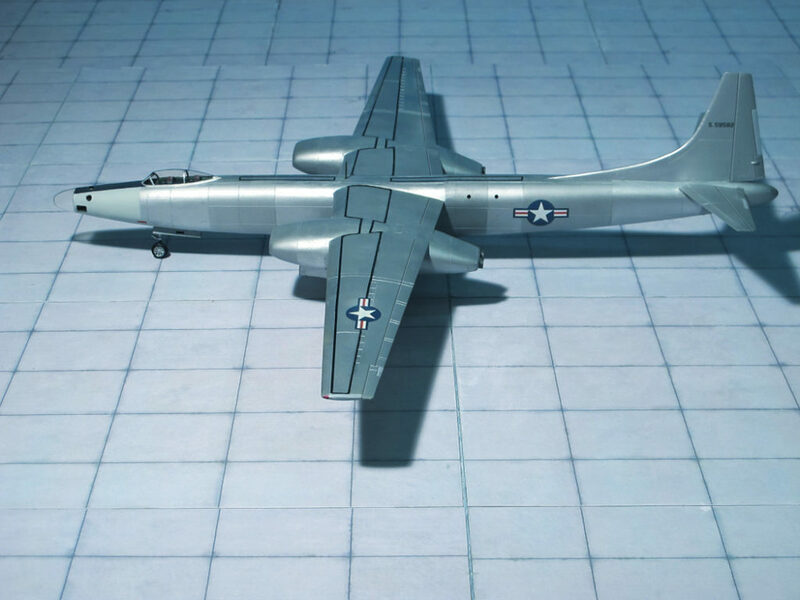 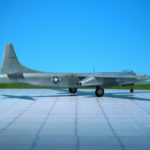 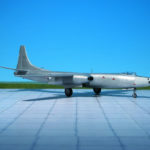 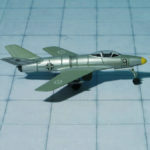 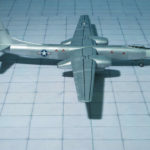 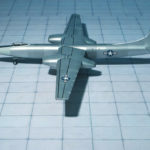 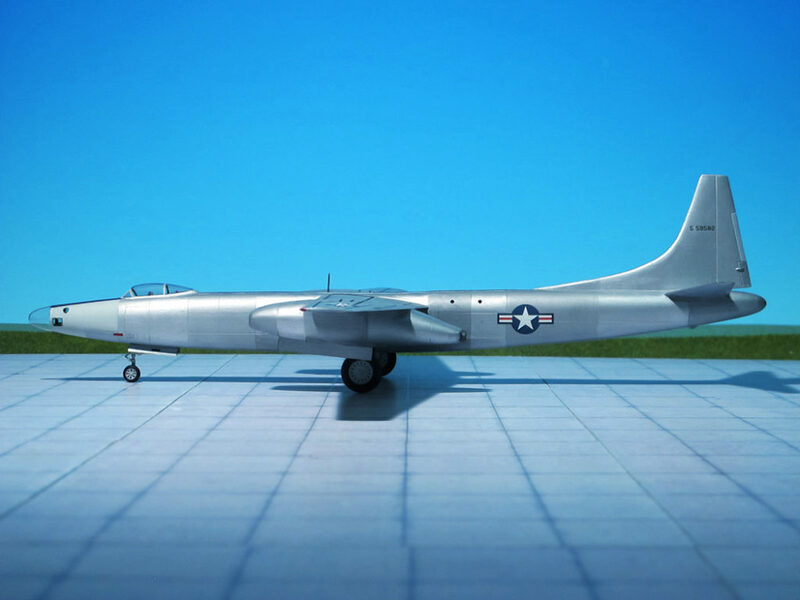 All “Mariners” from the -3 model onward had fixed, strut-braced wing floats and lengthened engine nacelles, the latter providing stowage for bombs or depth-charges. 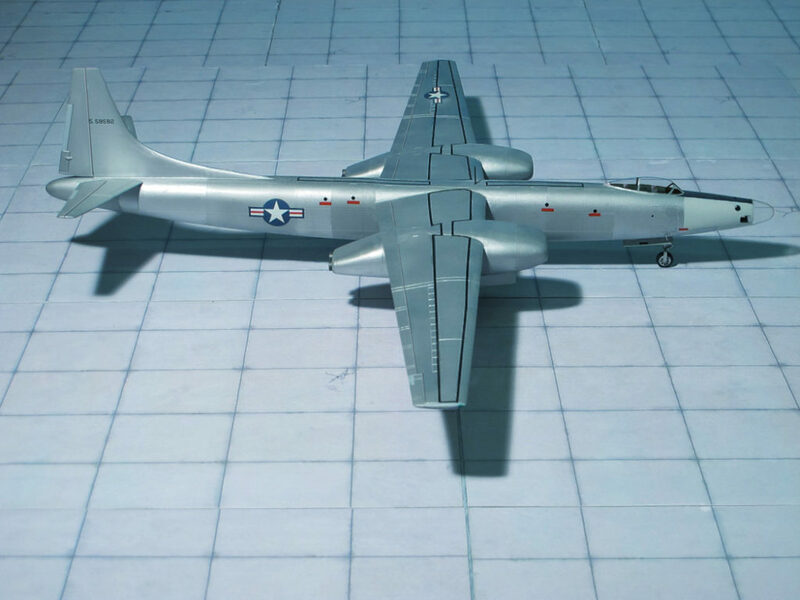 The basic PBM-3 had Wright R-2600-12 engines, and variants includes 50 unarmed PBM-3R transports with seats for 20 passengers, 274 PBM3Cs with standardized US/British equipment and 201 PBM-3Dswith Wright R-2600-22 engines and improved armament and armor protection. 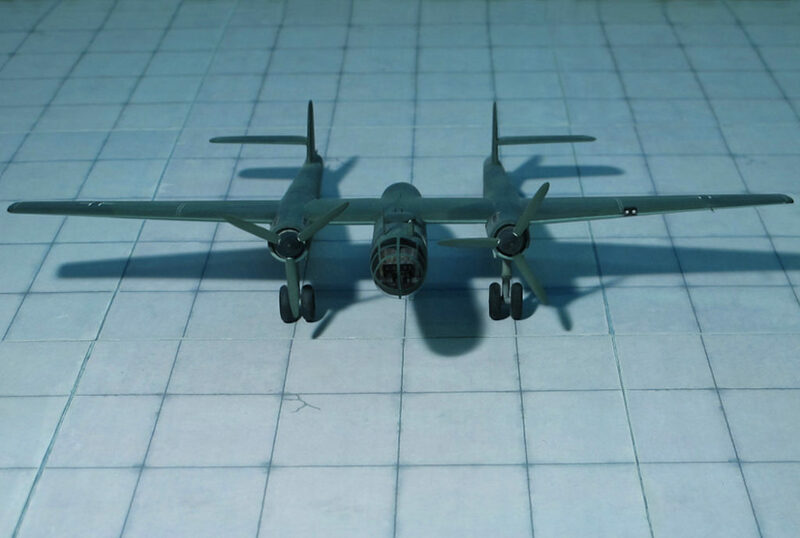 Many of the PBM-3Cs and -3Ds carried search radar in a large housing above and behind the cockpit, and experience with the use of this radar led to development in 1944 of a long-range anti-submarine version, the Martin PBM-3S. 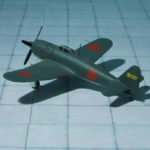 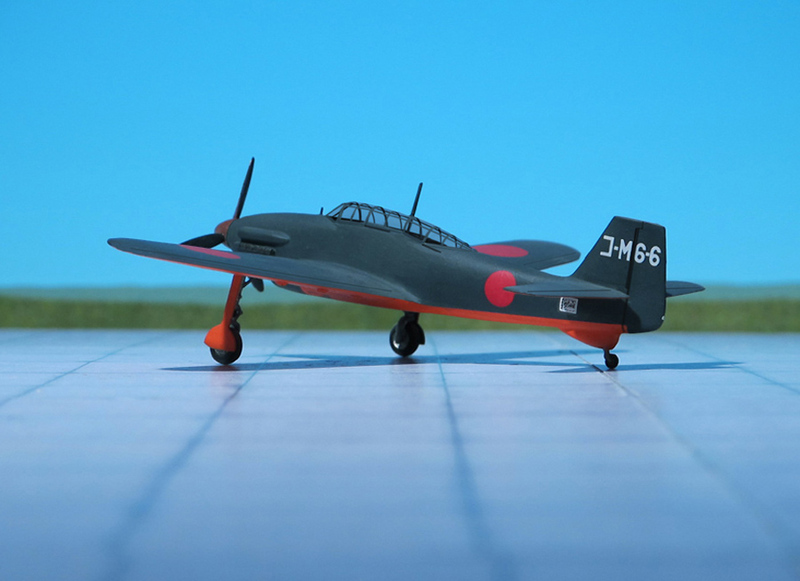 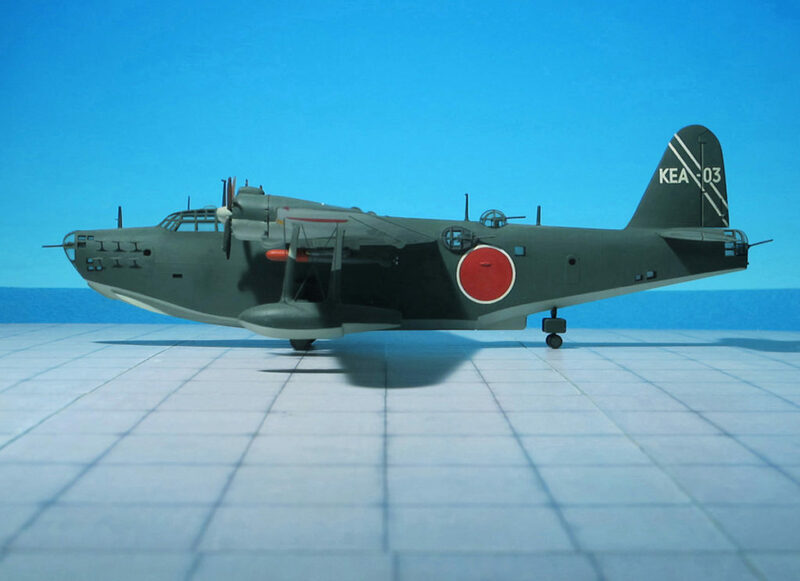 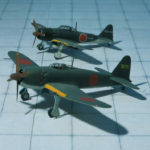 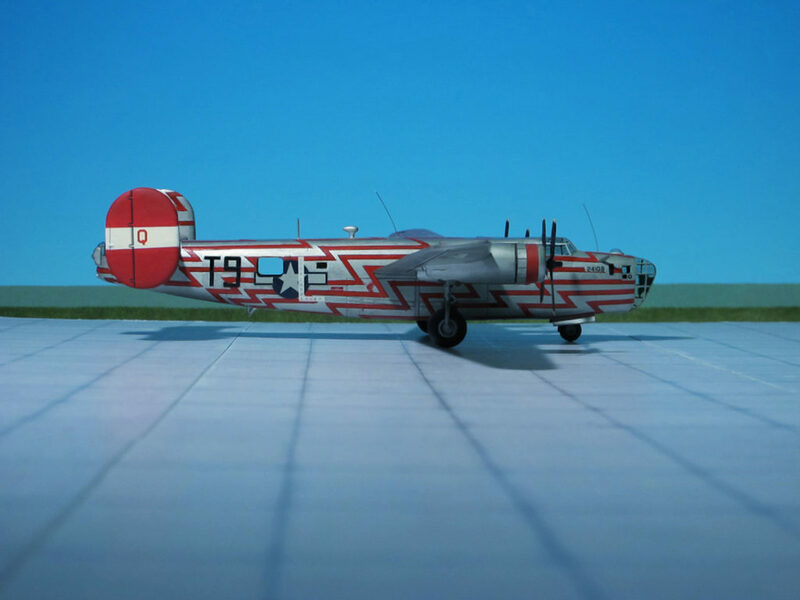 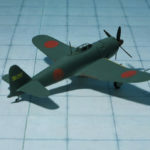 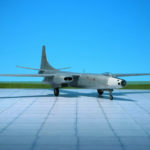 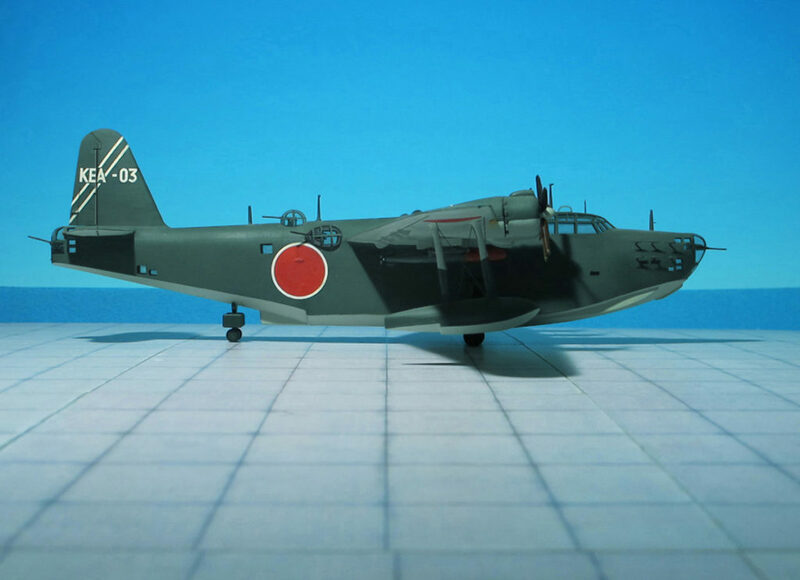 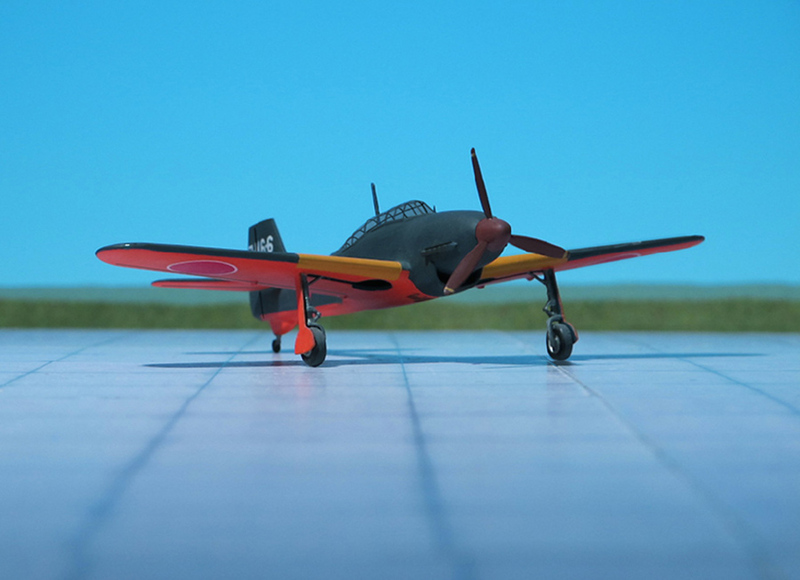 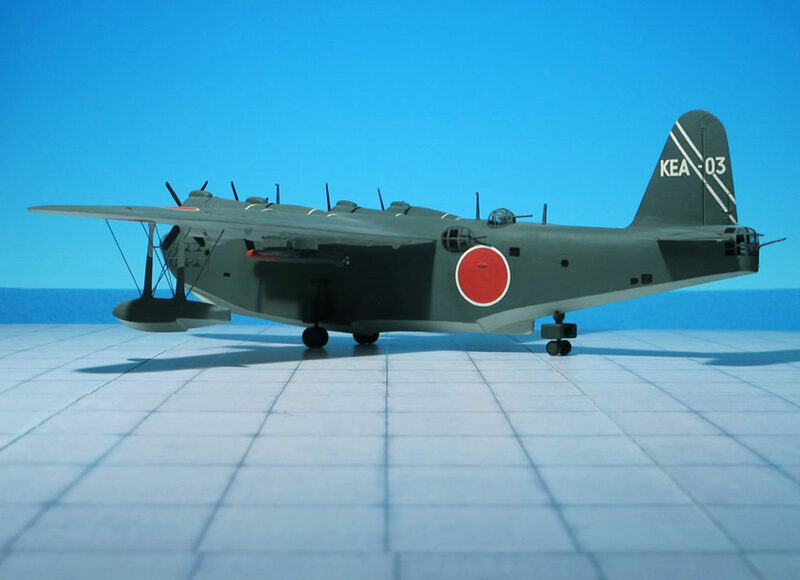 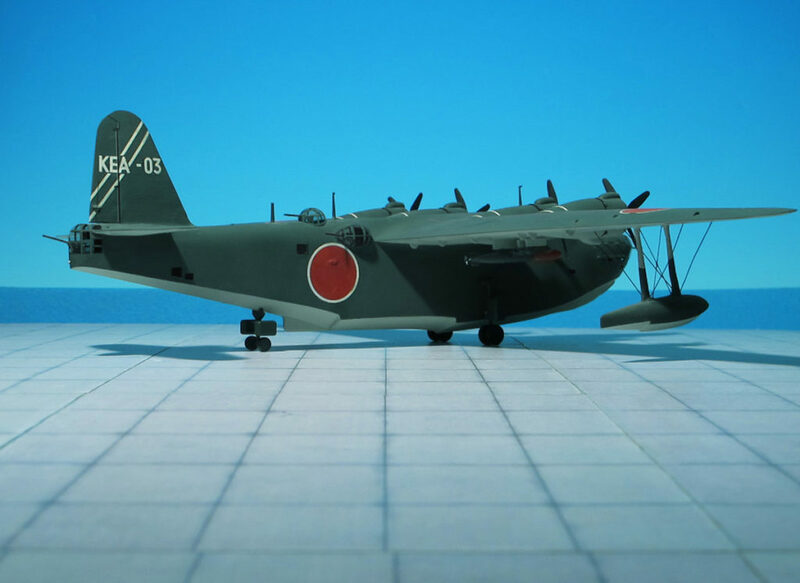 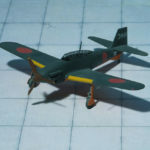 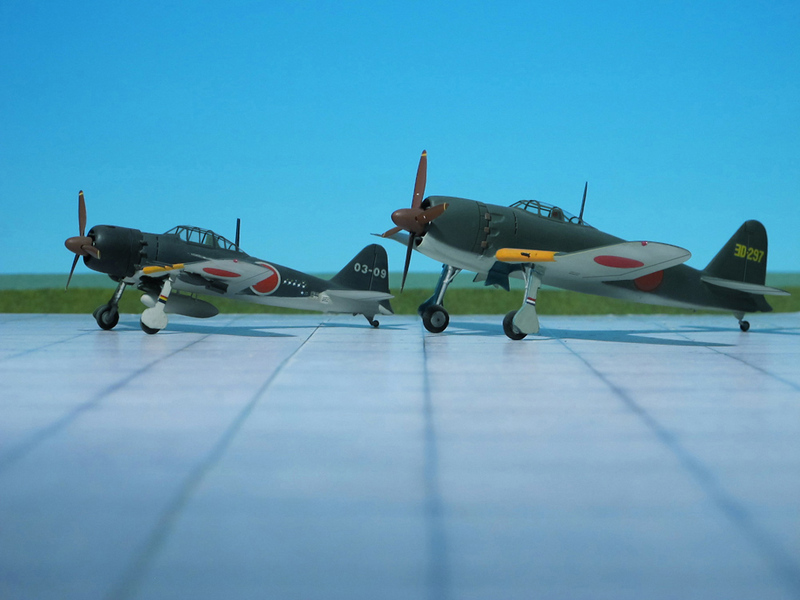 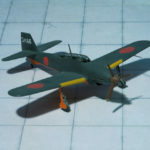 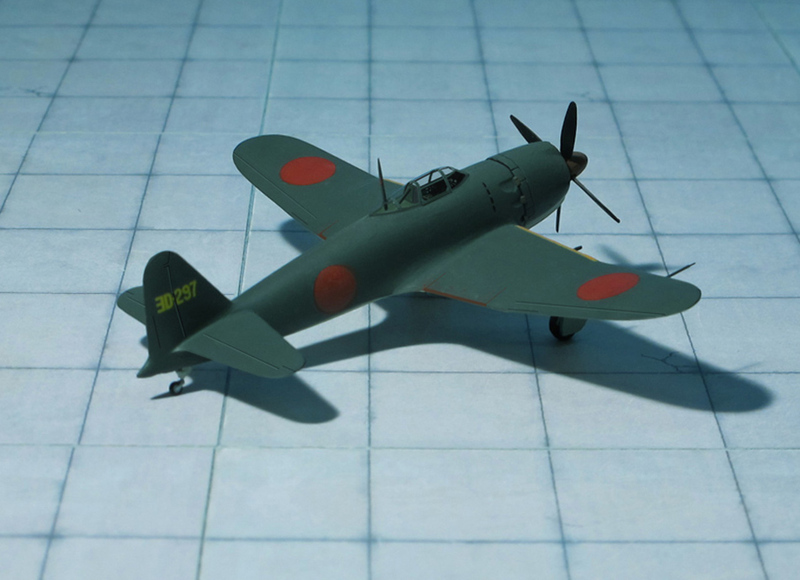 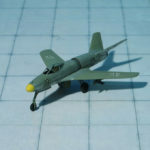 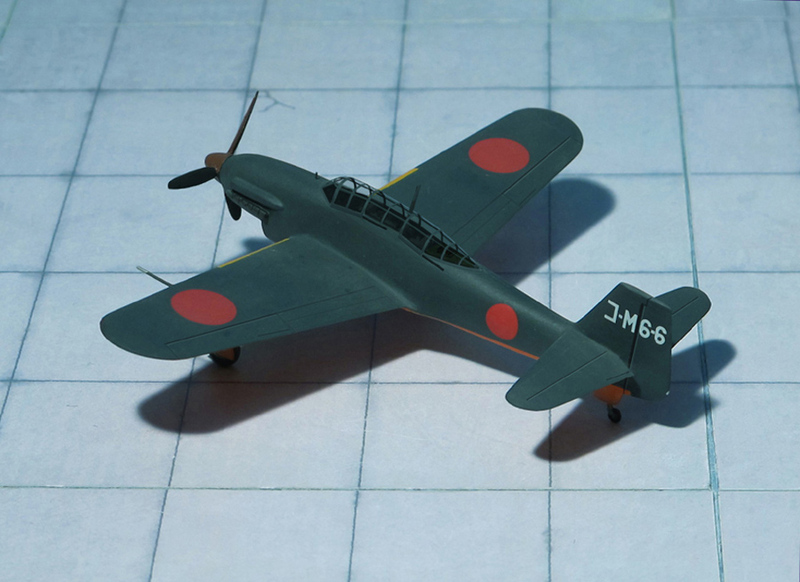 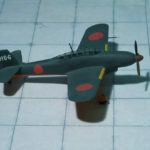 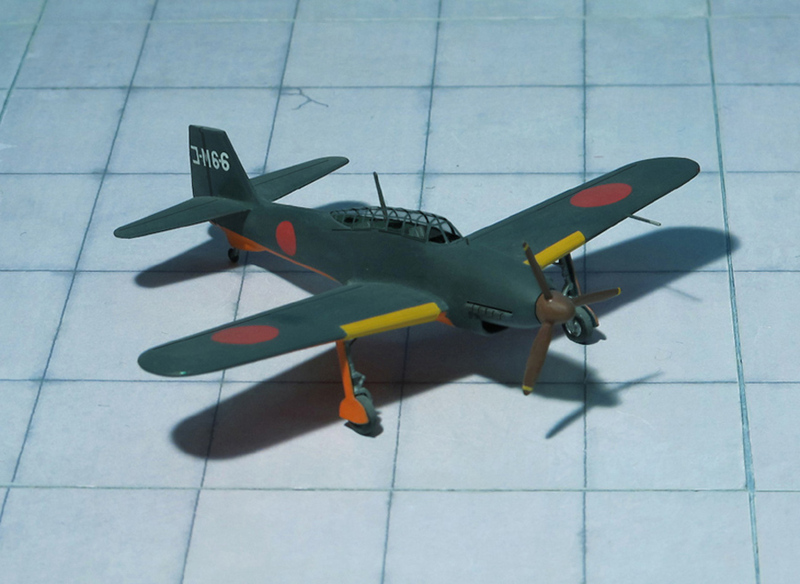 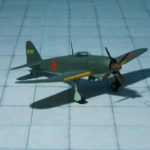 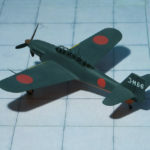 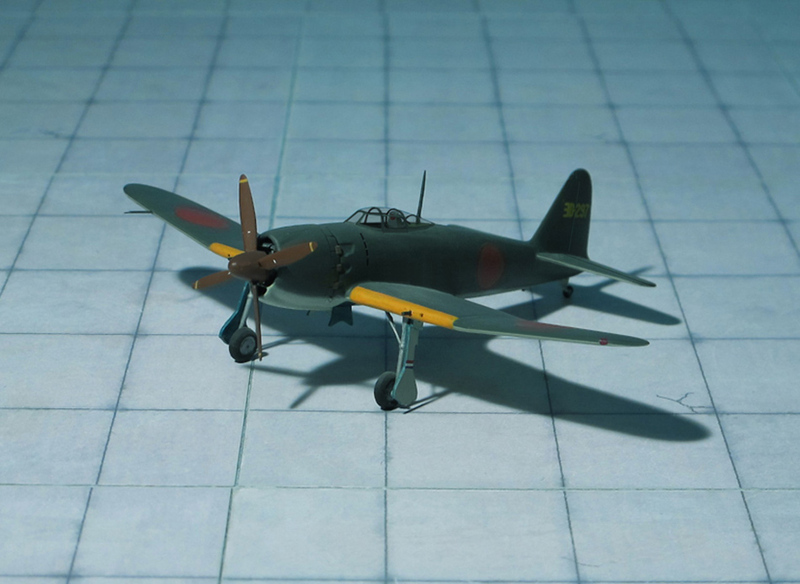 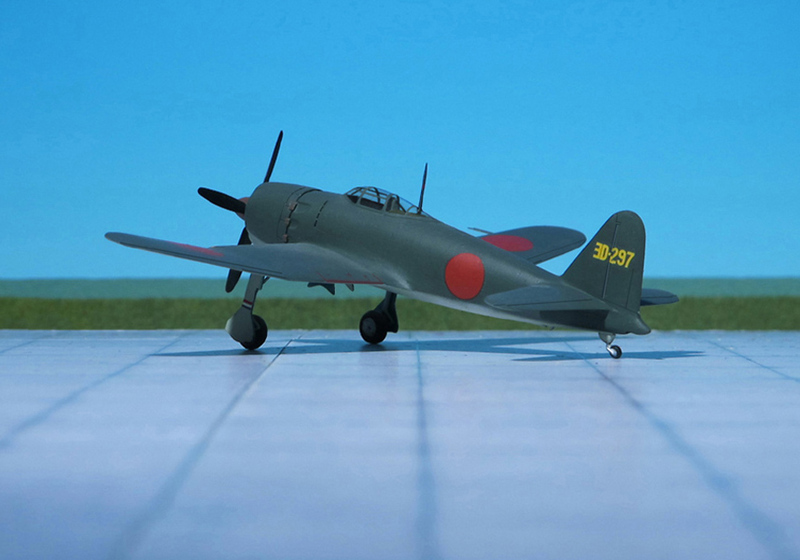 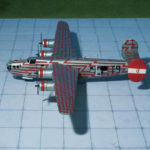 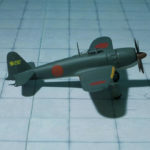 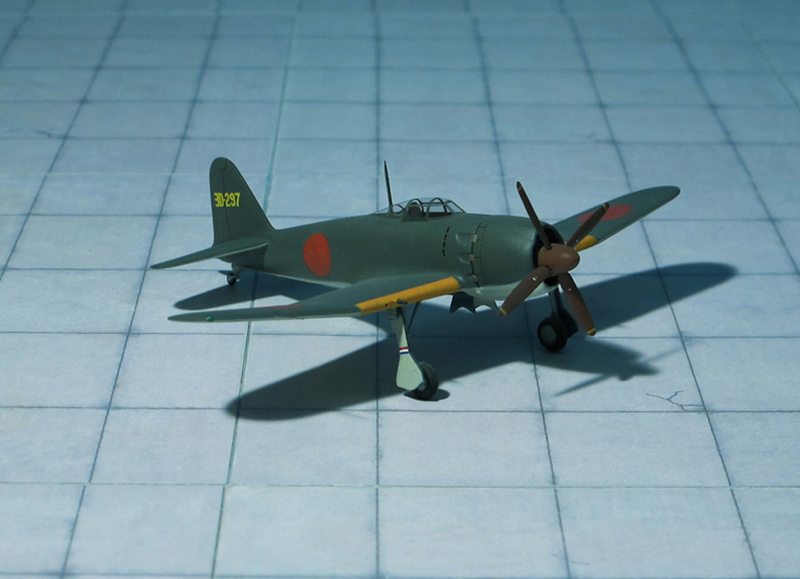 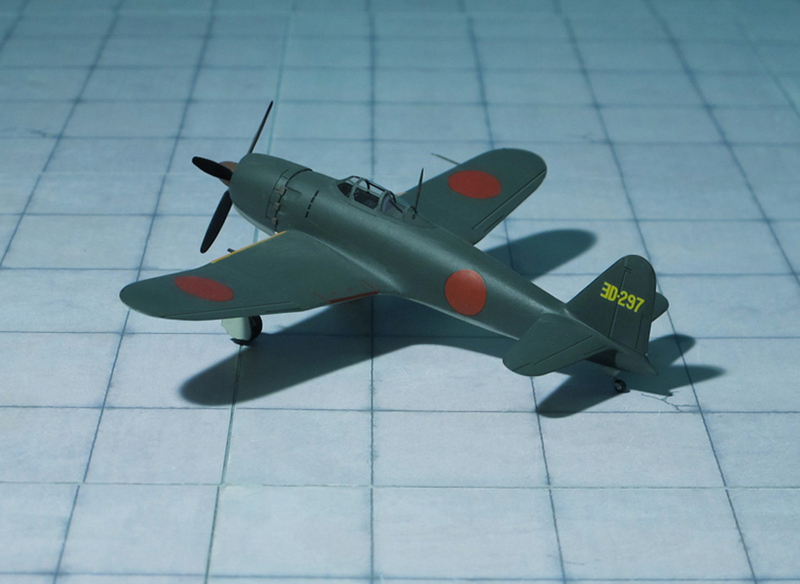 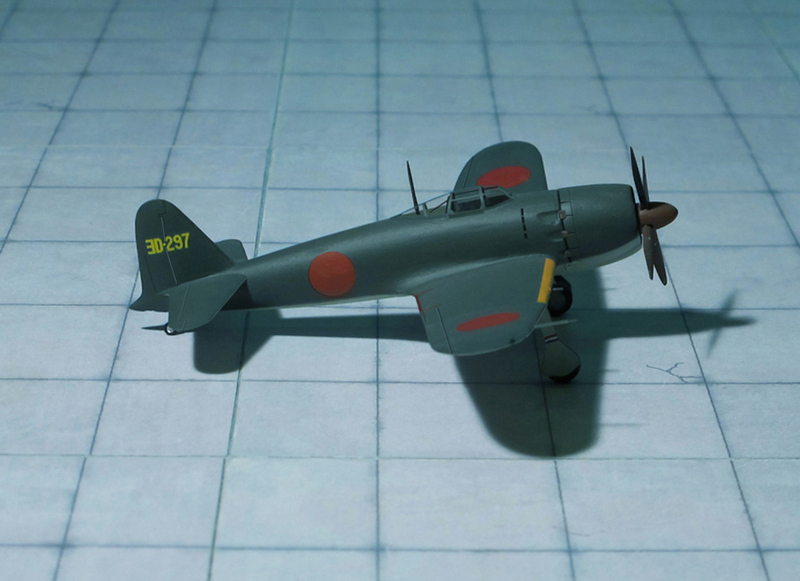 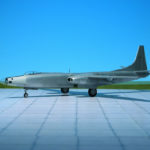 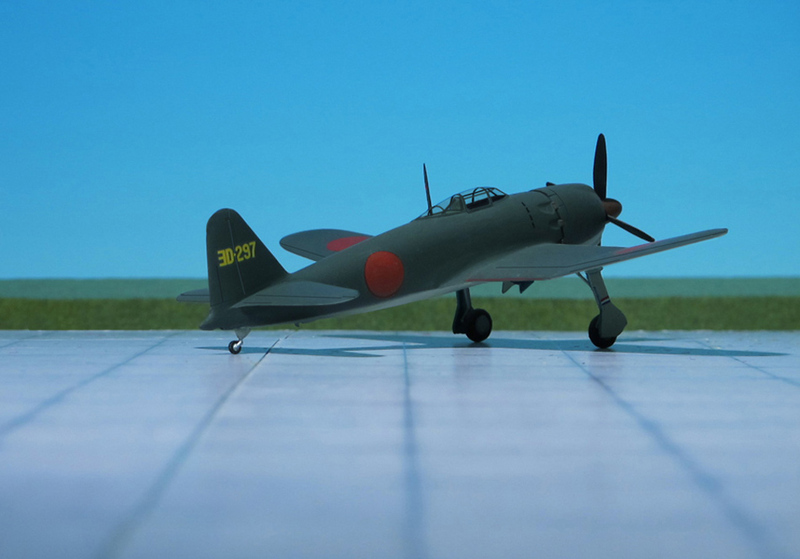 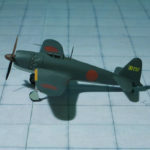 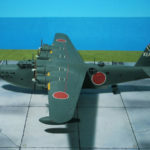 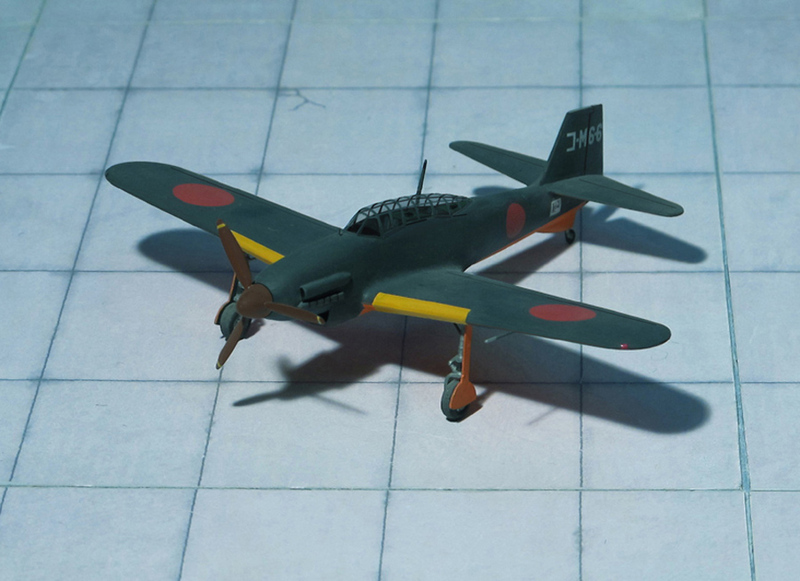 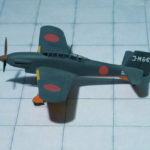 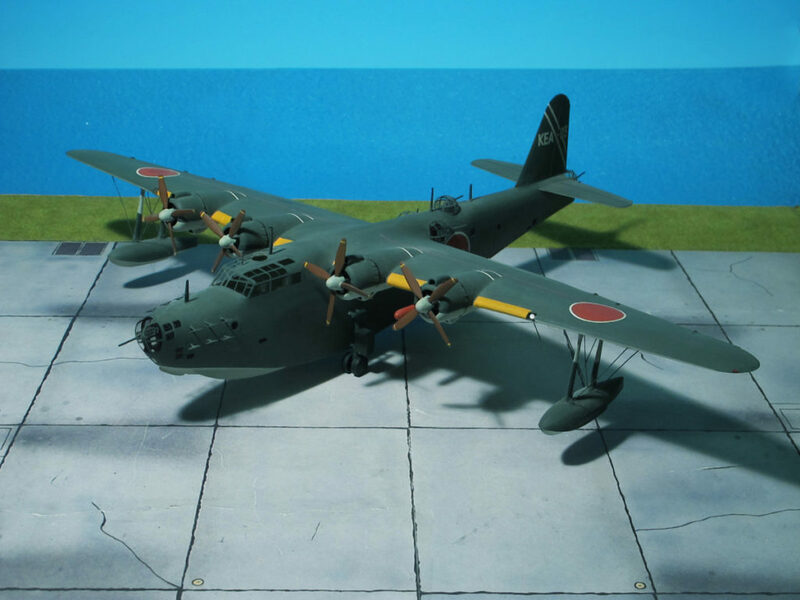 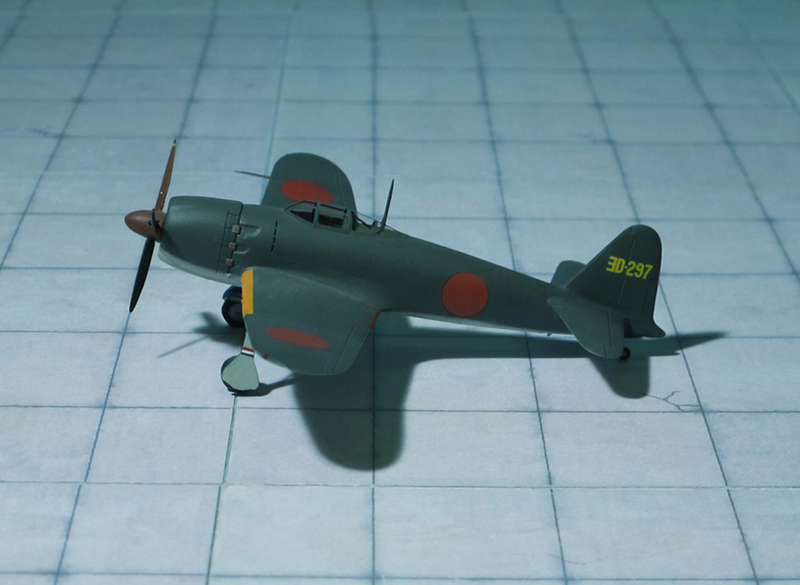 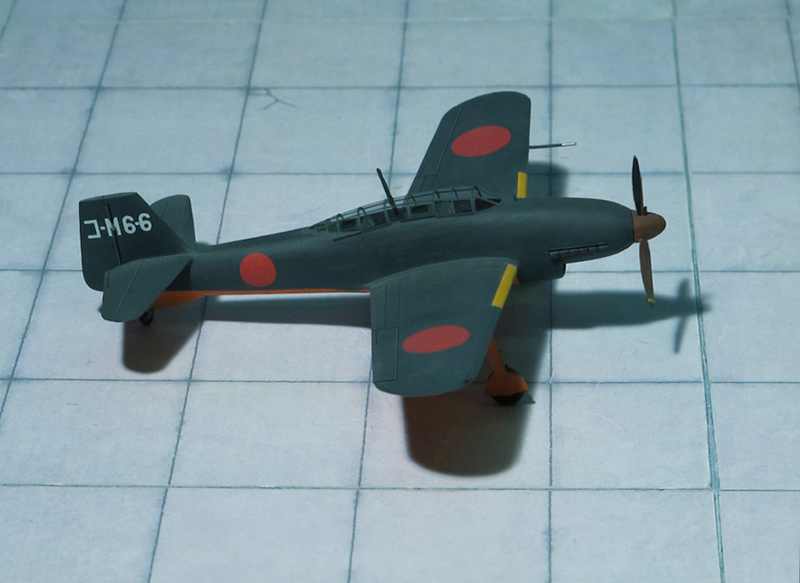 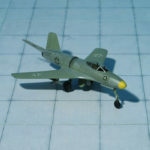 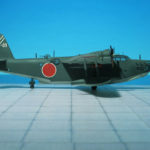 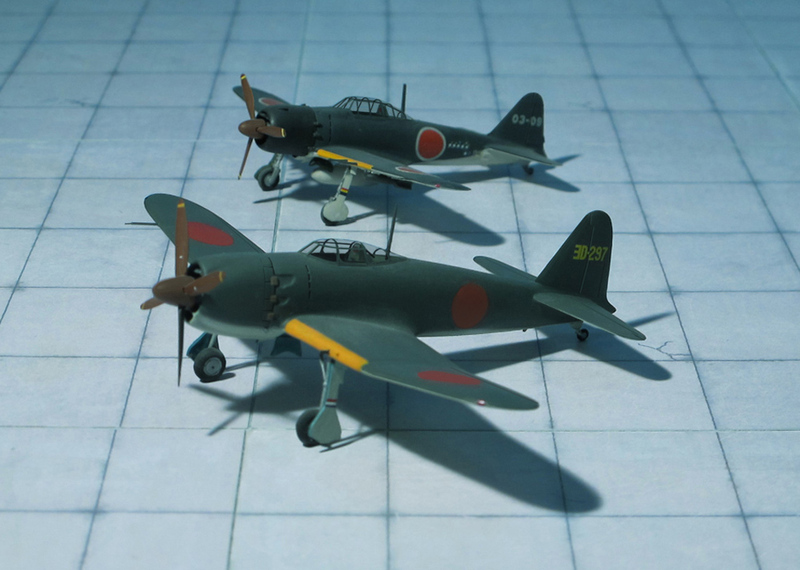 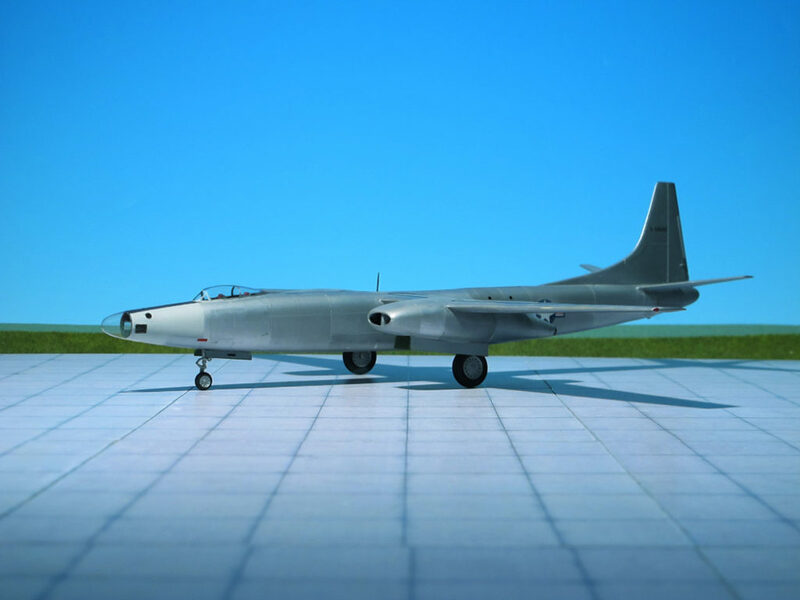 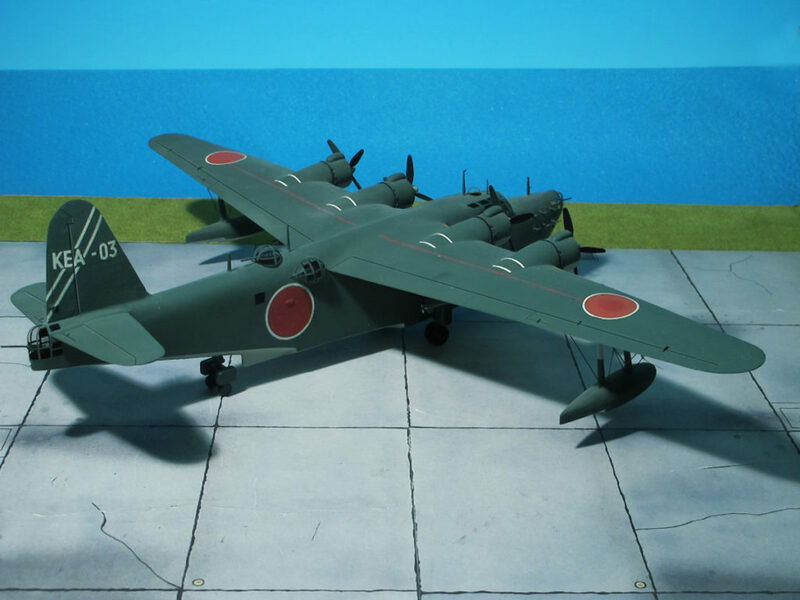 A total of 156 of the latter variant were delivered, with R-2600-12 engines. 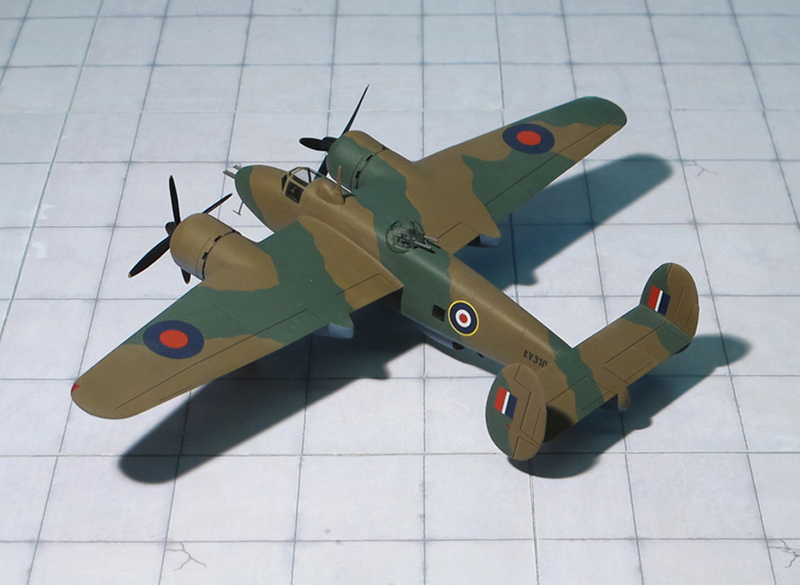 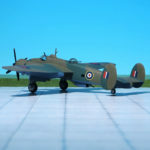 In 1943, the Martin XPBM-5 appeared with 2,100 Pratt & Whitney R-2800-22 or -34 engines, and production contracts were placed for this variant in January 1944. 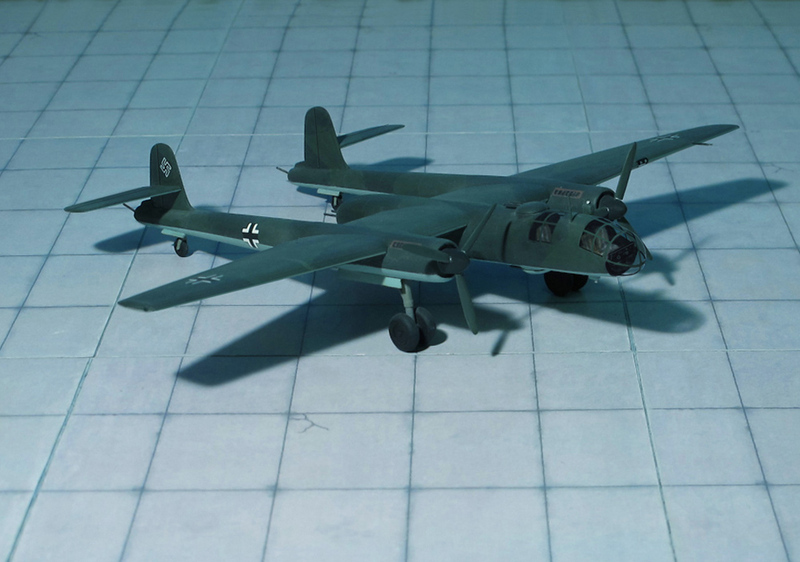 The PBM-5, delivered from August 1944 to the end of the war, had eight 0.50-in machine guns and AN/APS-15 radar. 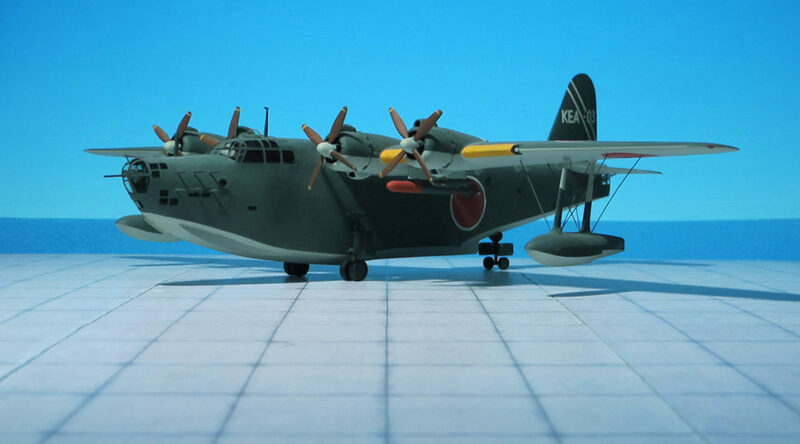 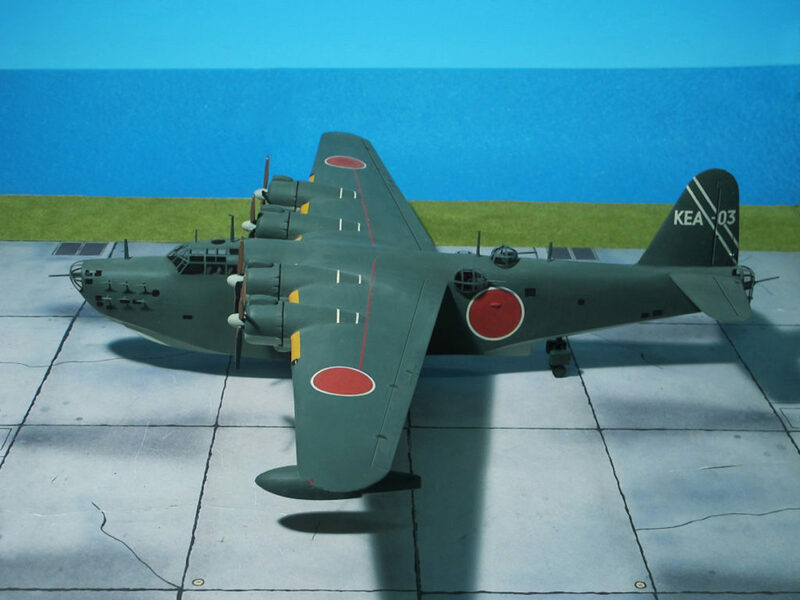 They were used as long-range reconnaissance aircraft and for the anti-submarine role. 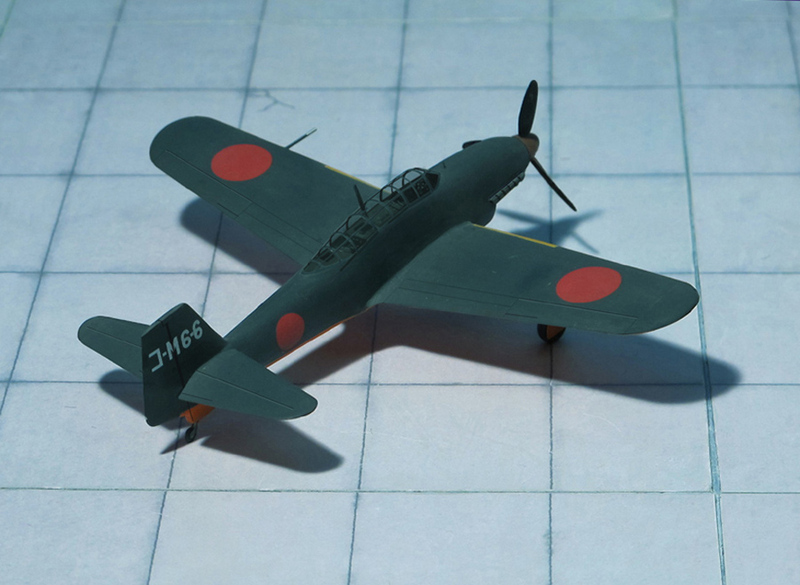 Production totaled 631 aircraft (Ref. 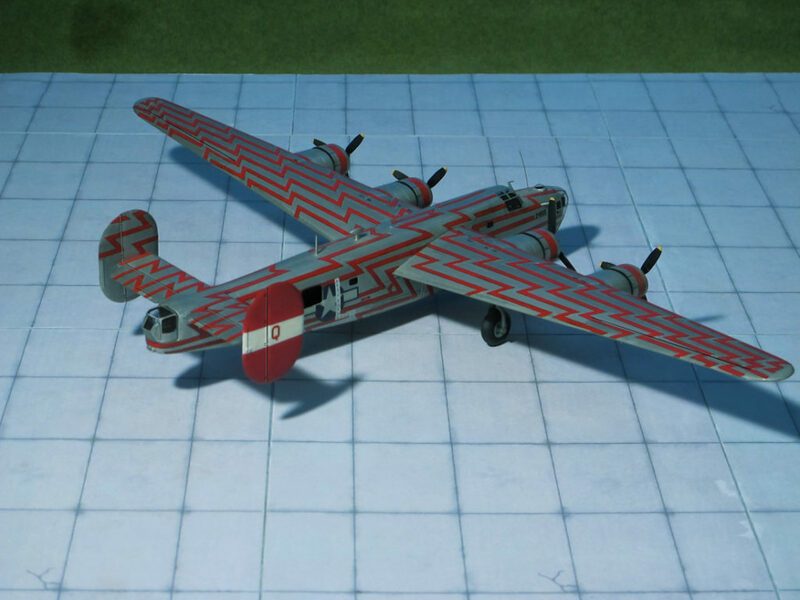 : 23).